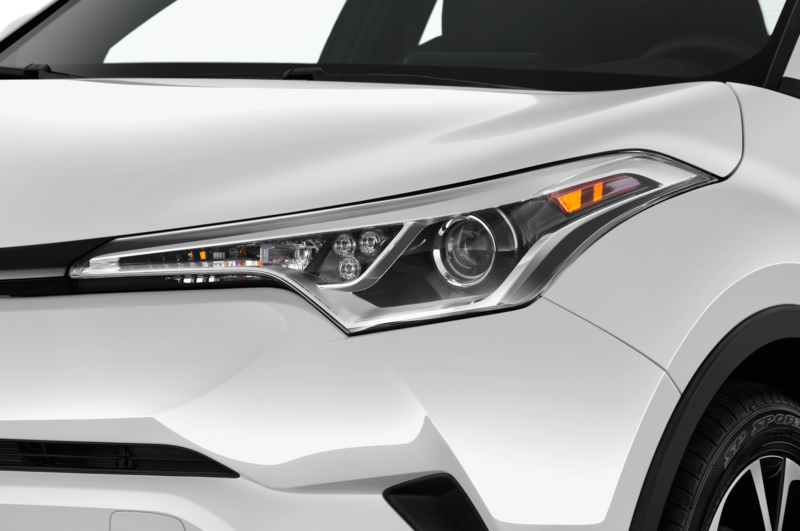 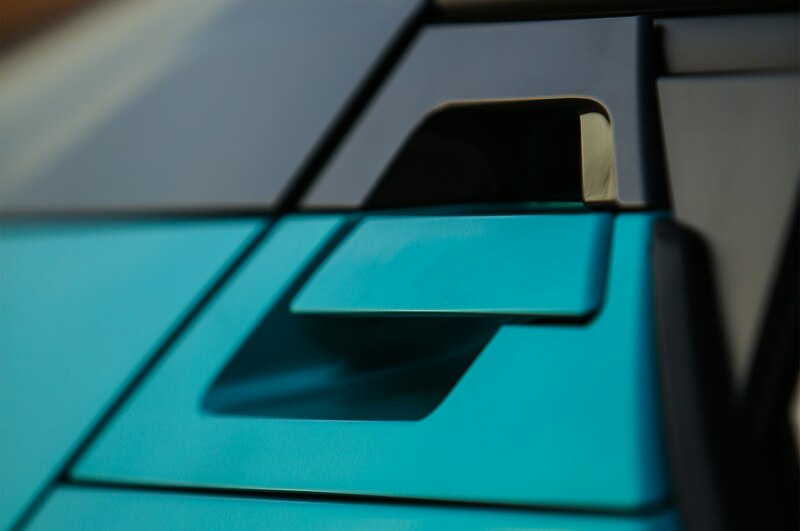 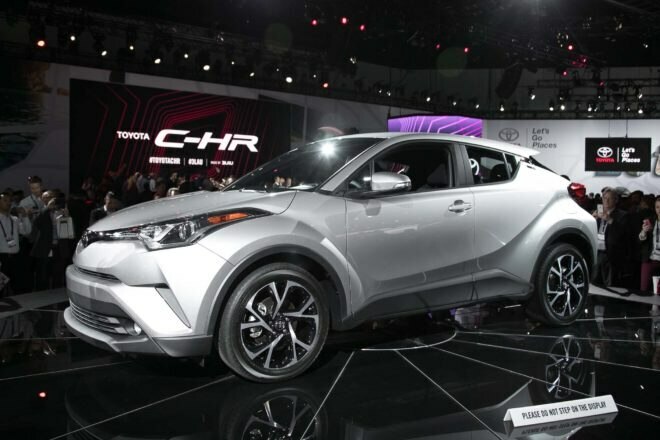 While the Euro-spec Toyota C-HR that made its debut in Geneva earlier this year — a model recently sampled by our colleagues at Motor Trend — gave us a good idea what to expect, it’s only now that we’re meeting the C-HR that will reach U.S shores this coming Spring. 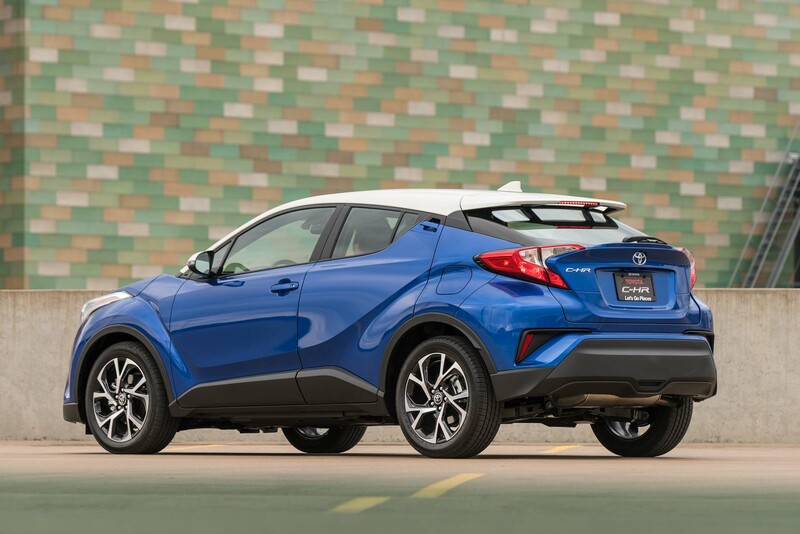 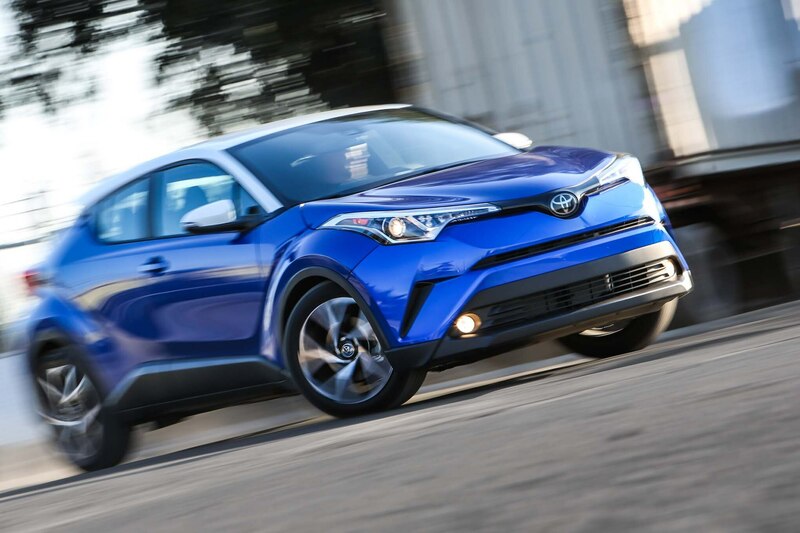 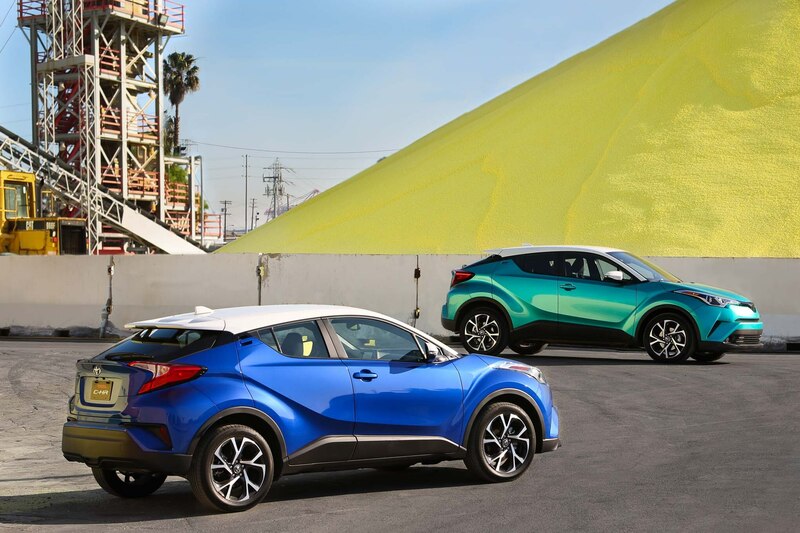 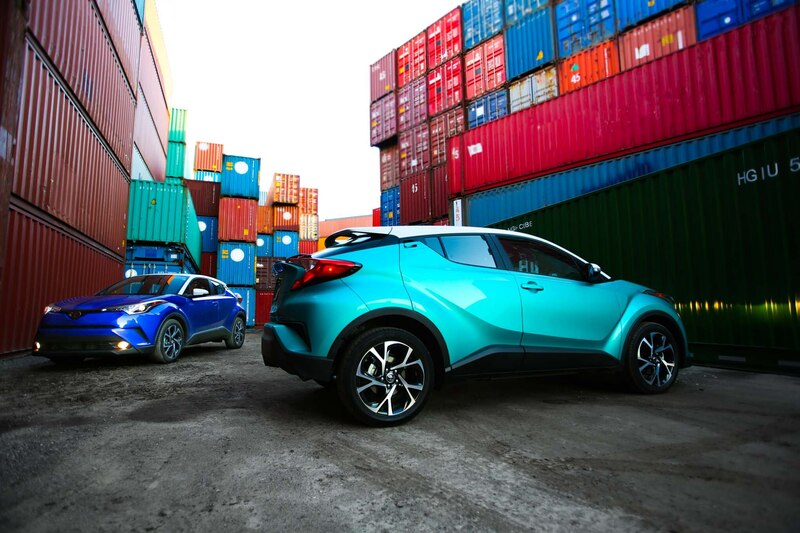 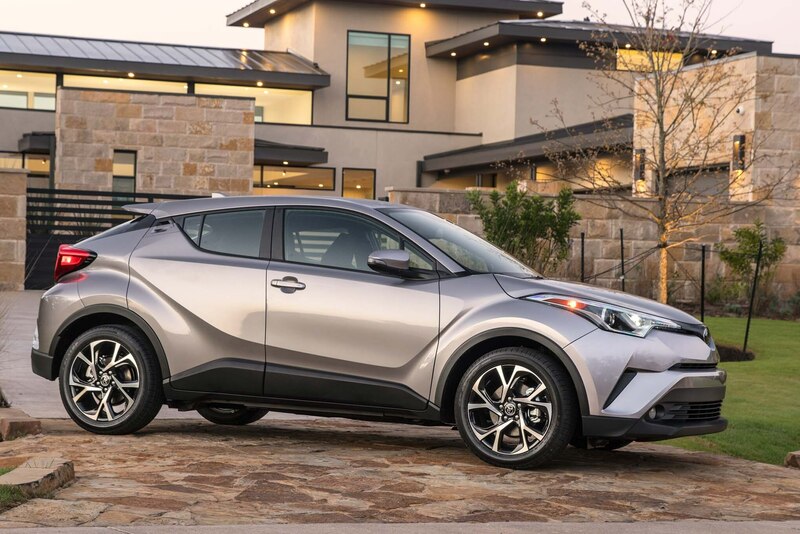 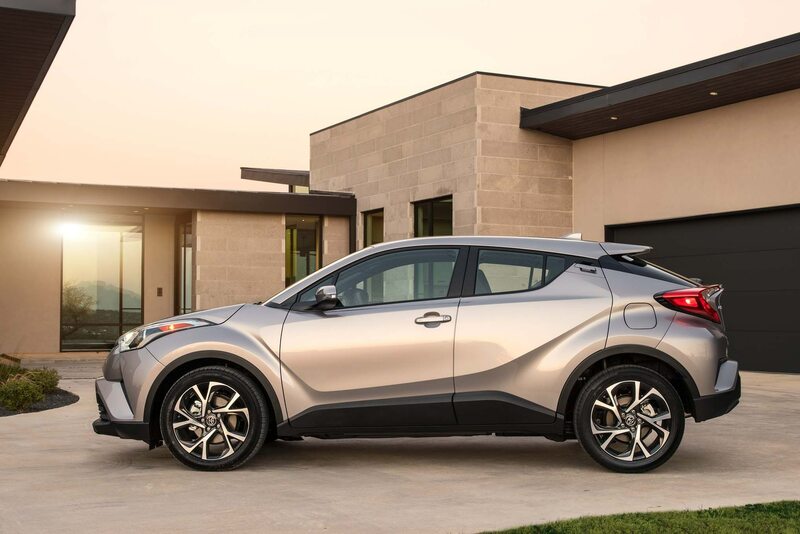 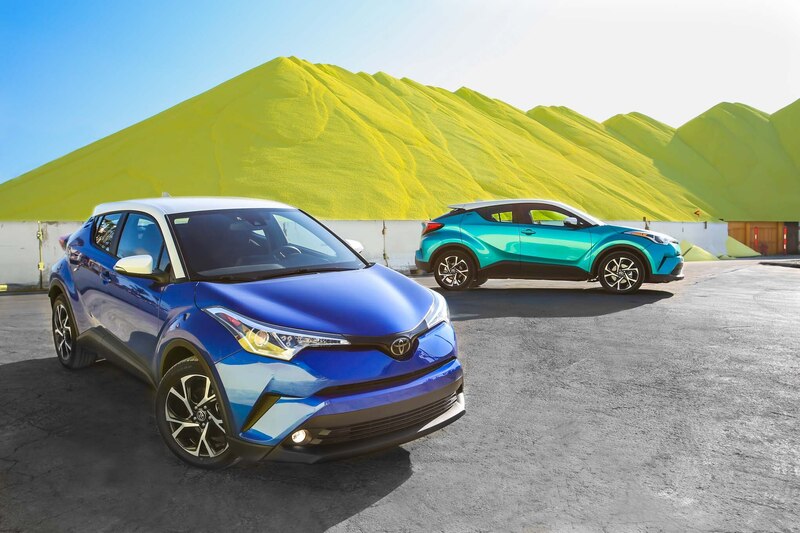 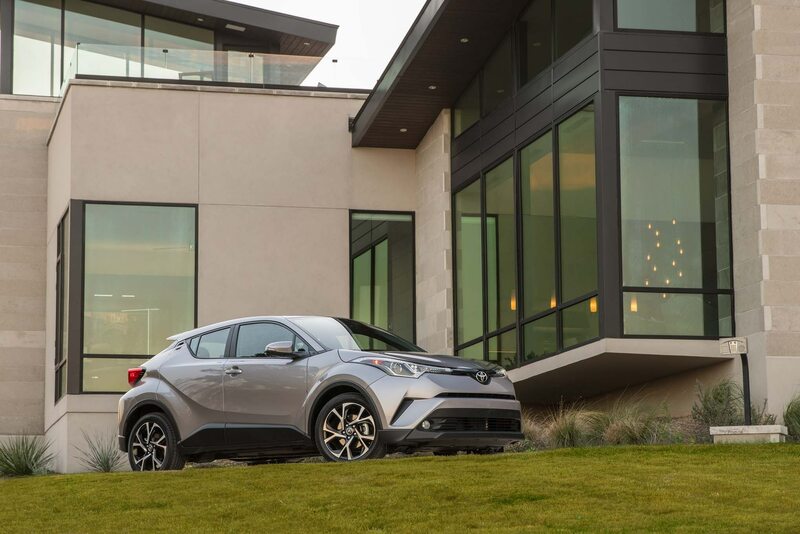 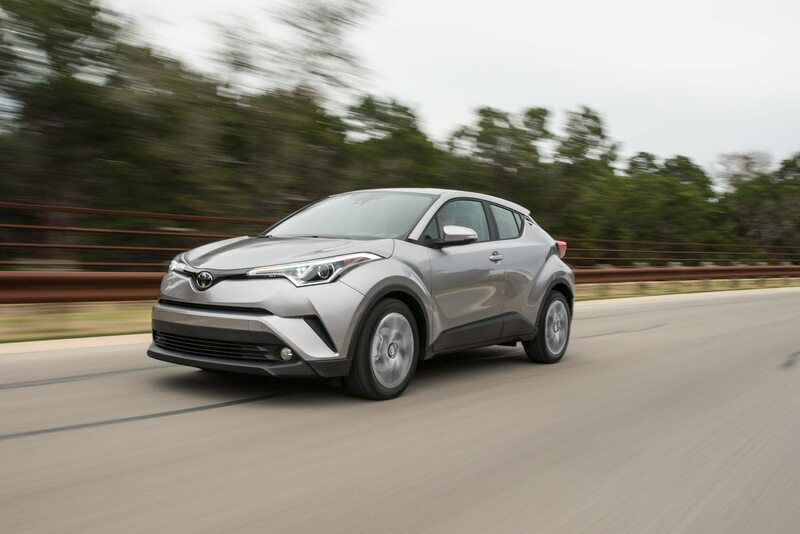 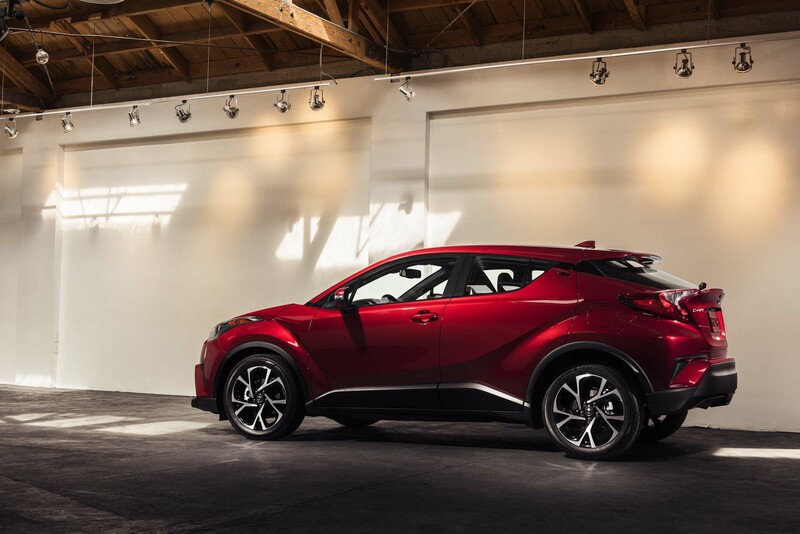 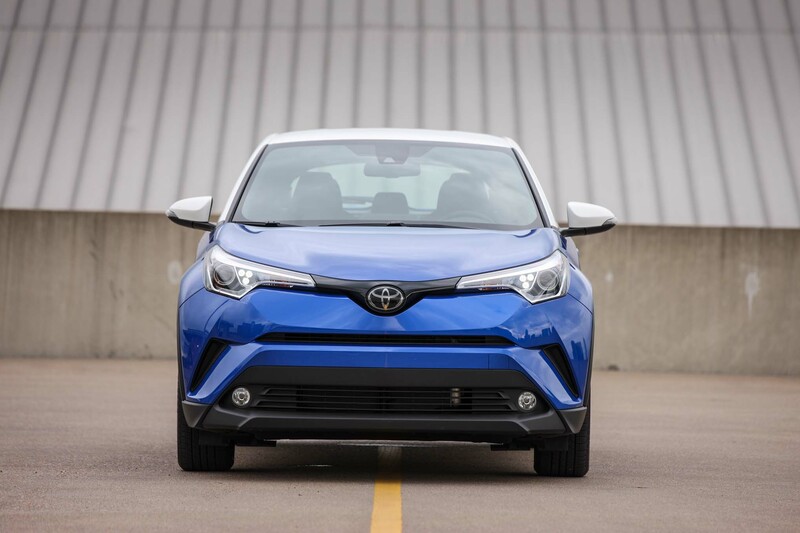 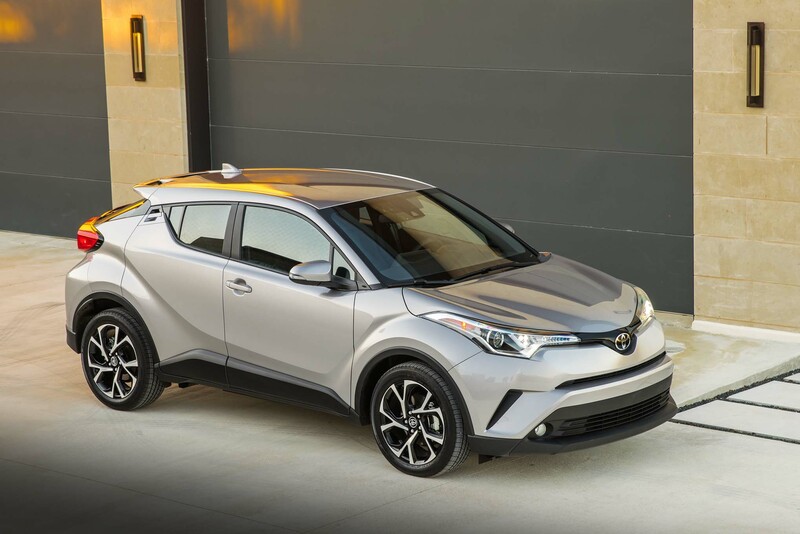 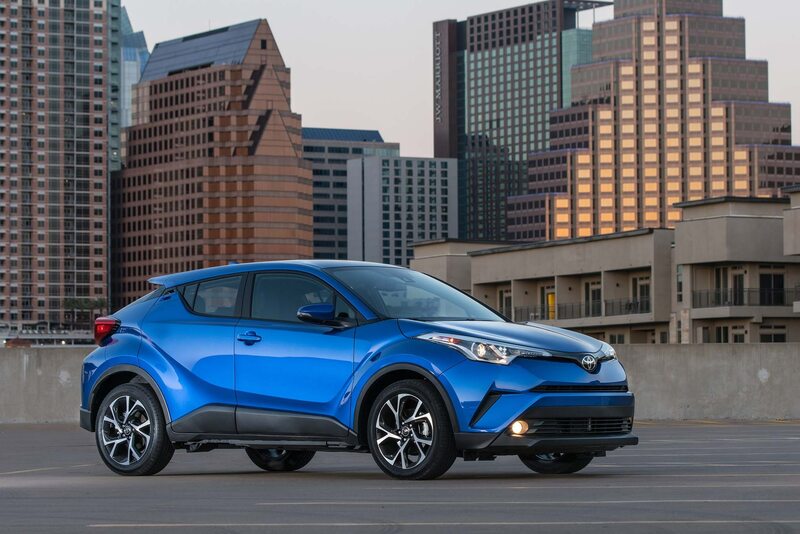 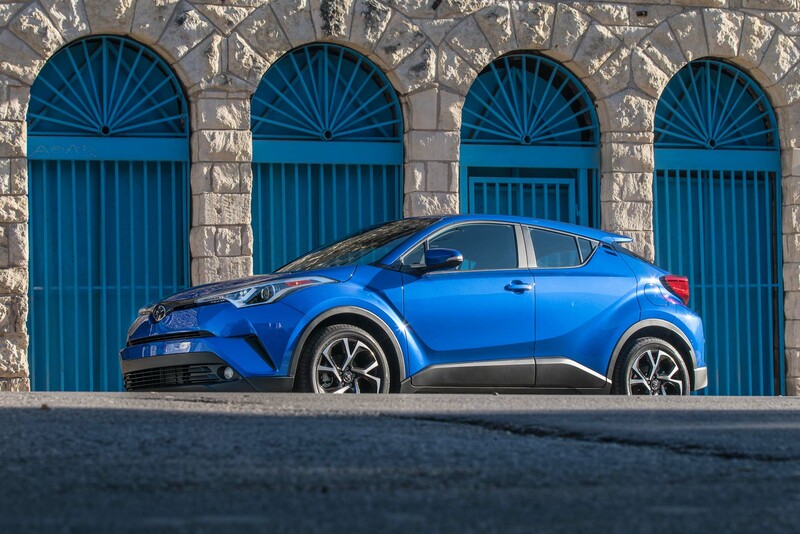 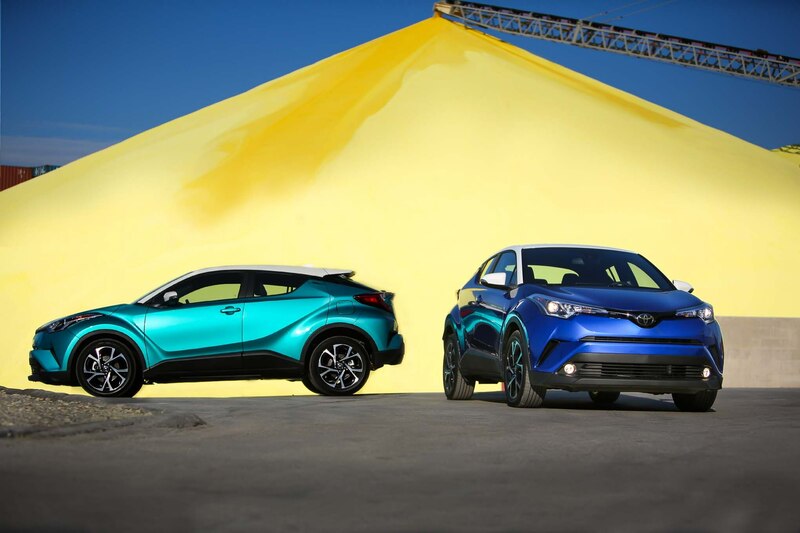 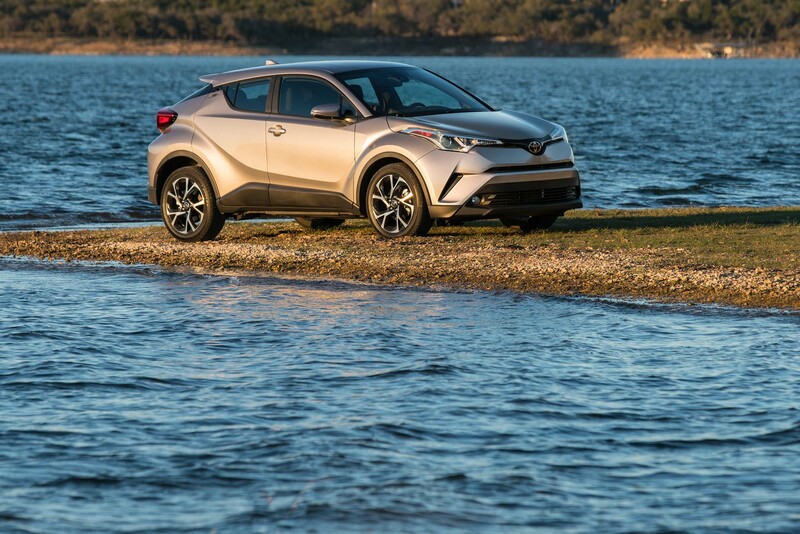 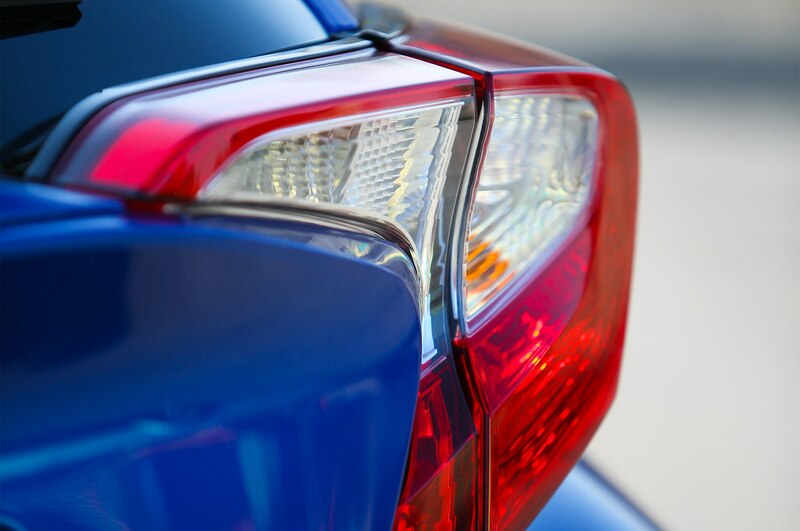 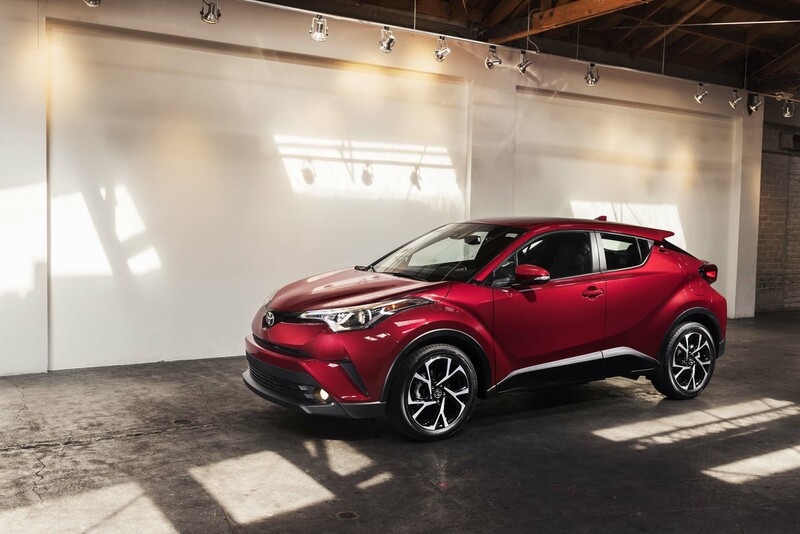 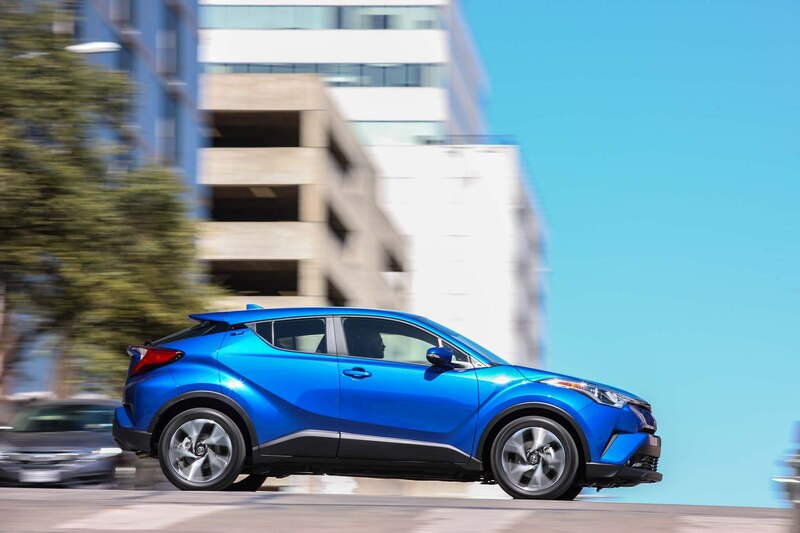 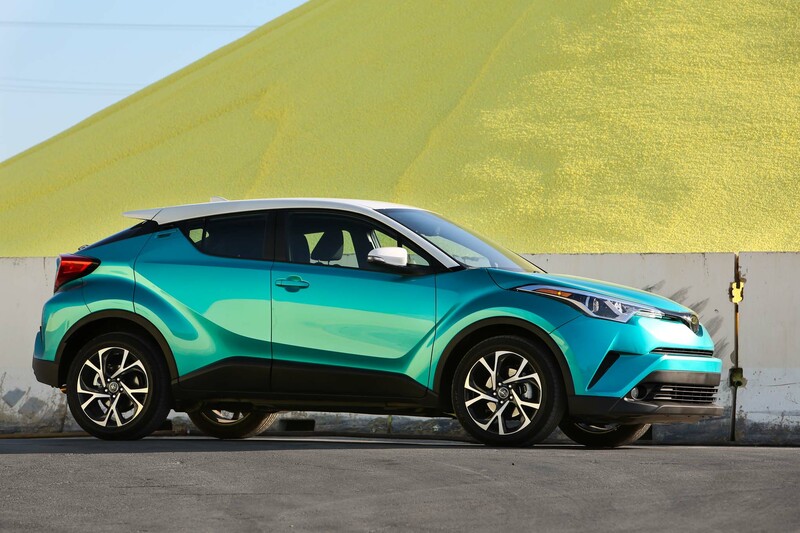 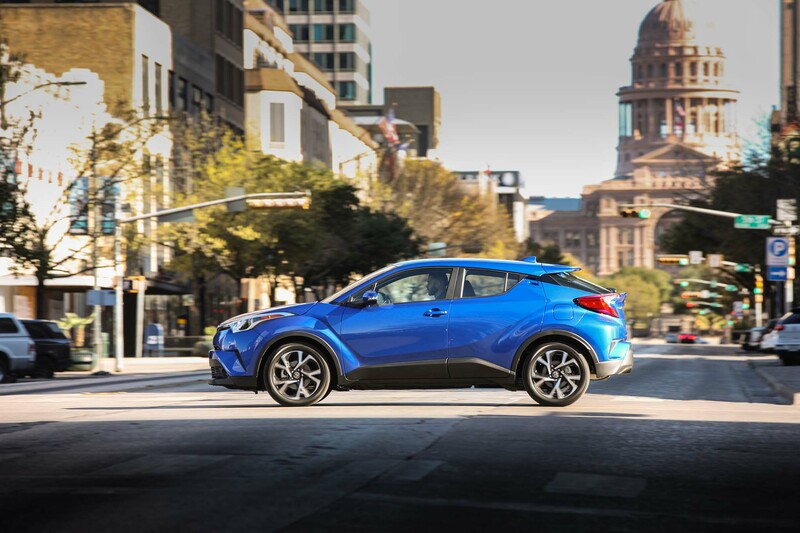 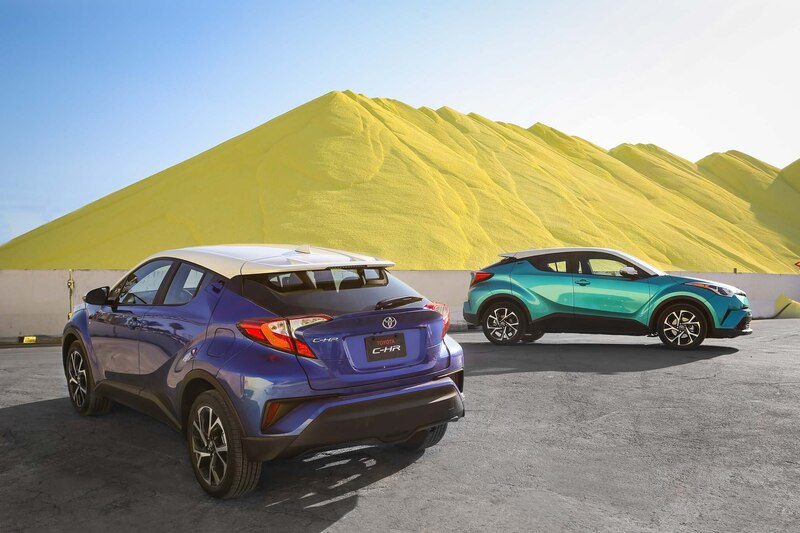 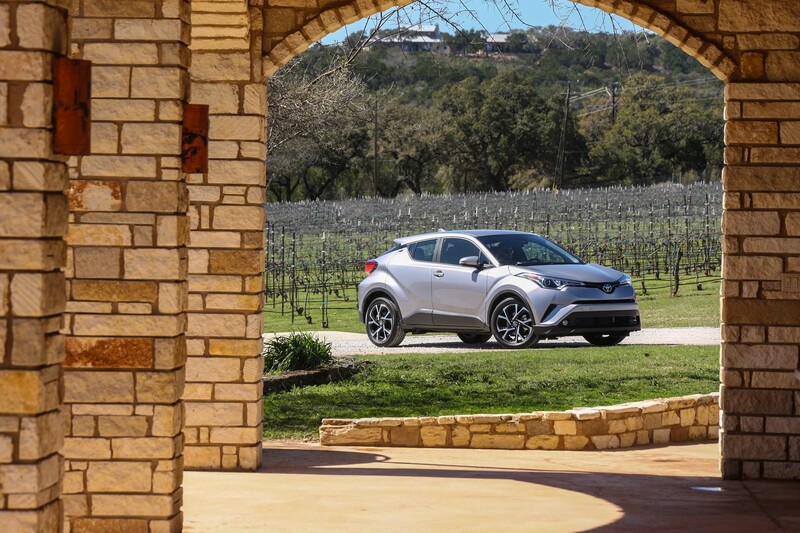 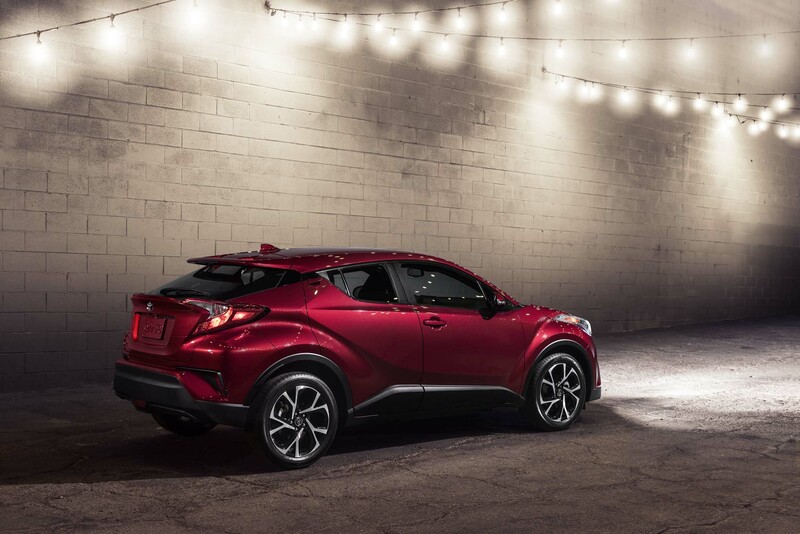 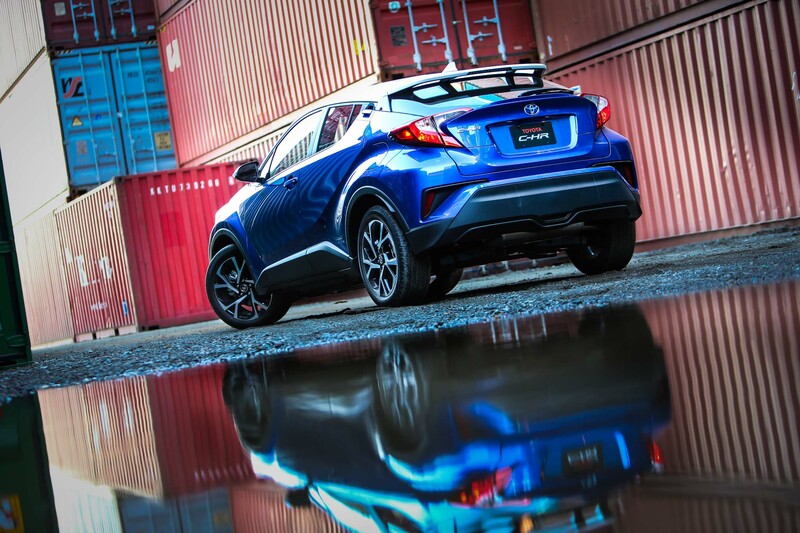 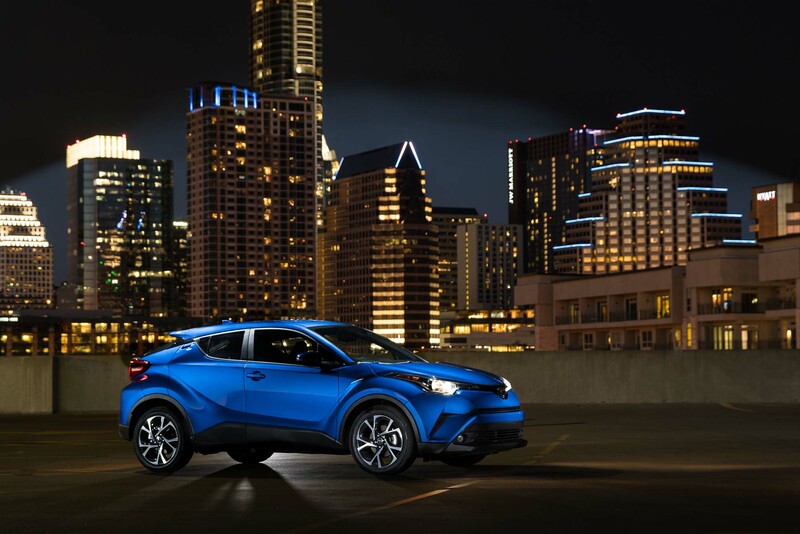 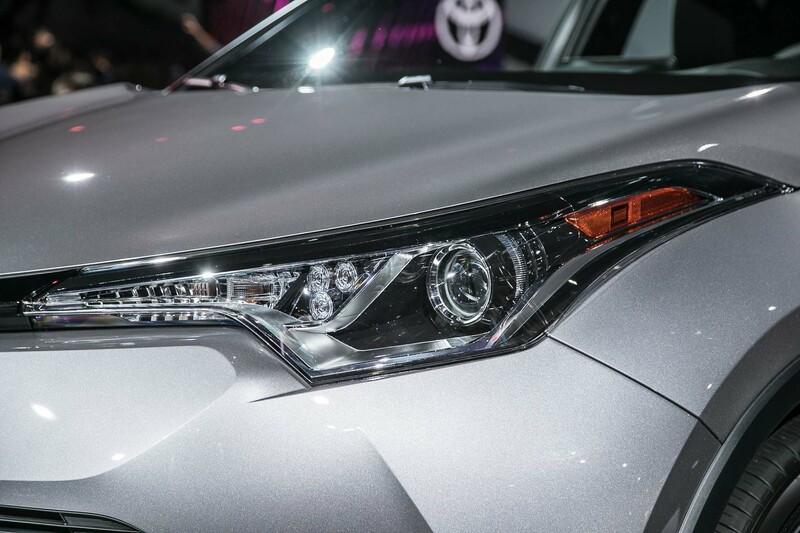 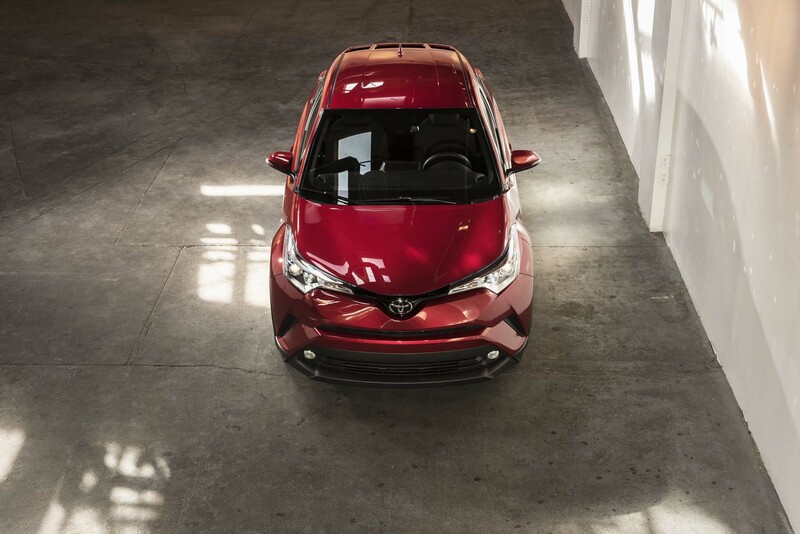 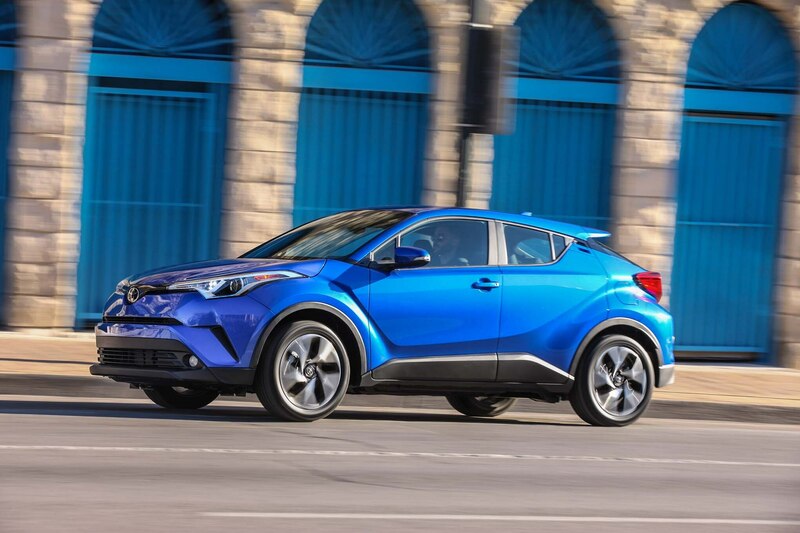 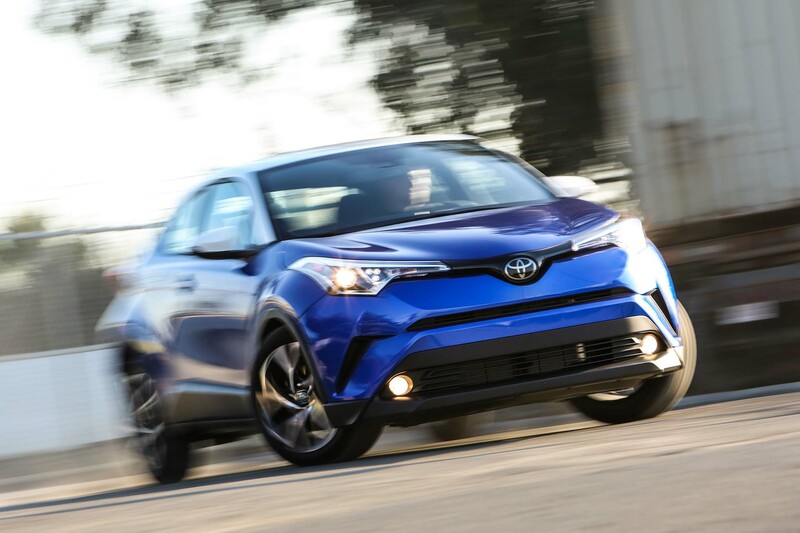 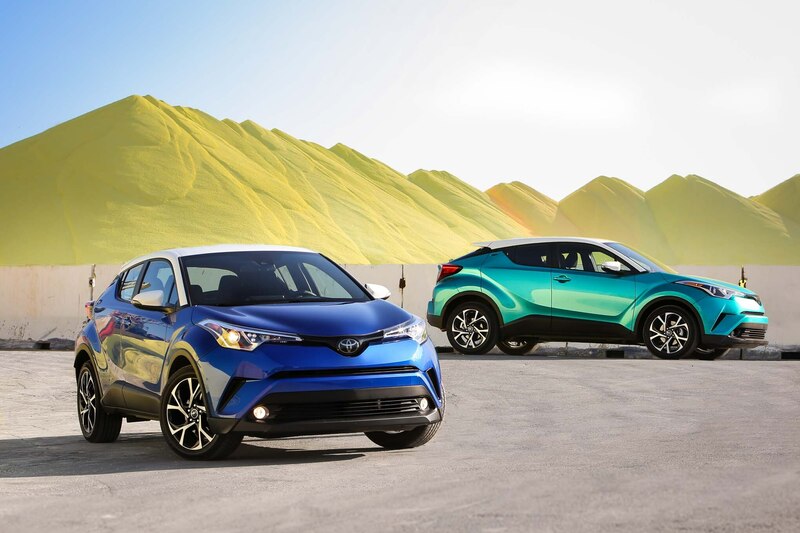 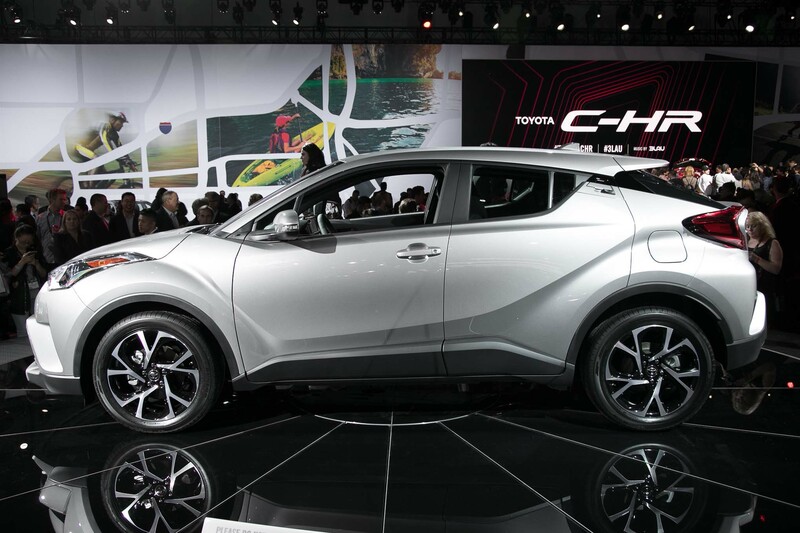 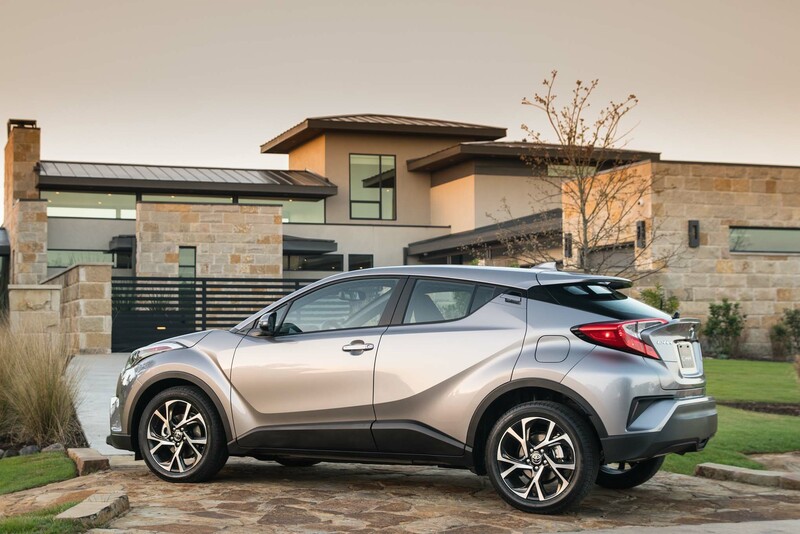 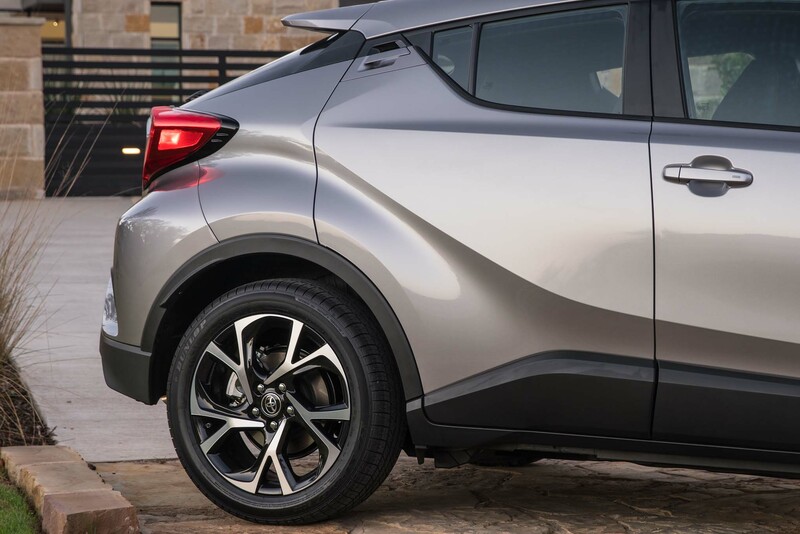 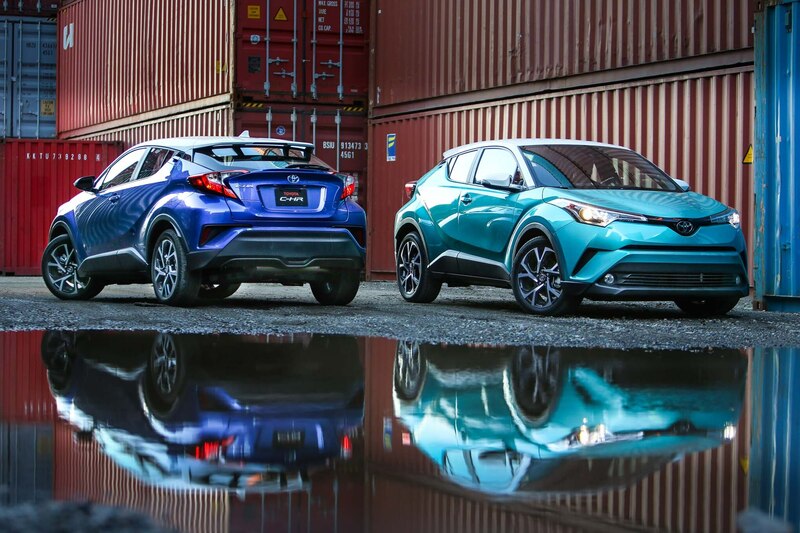 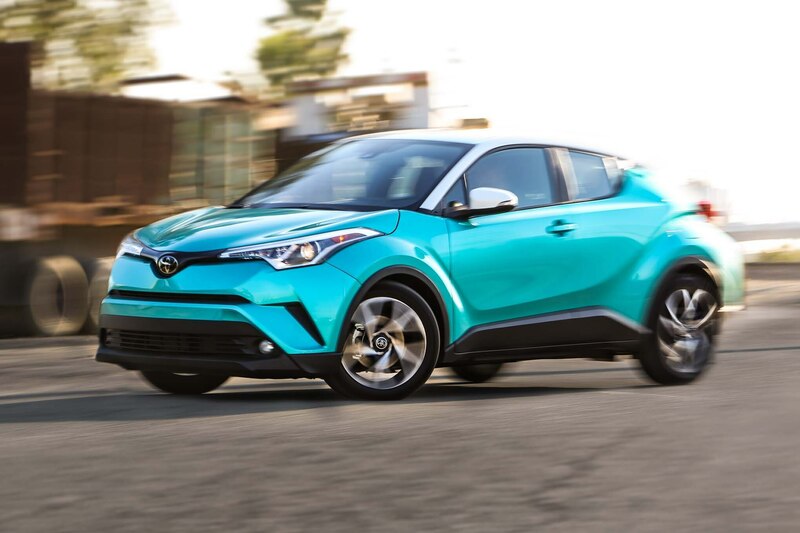 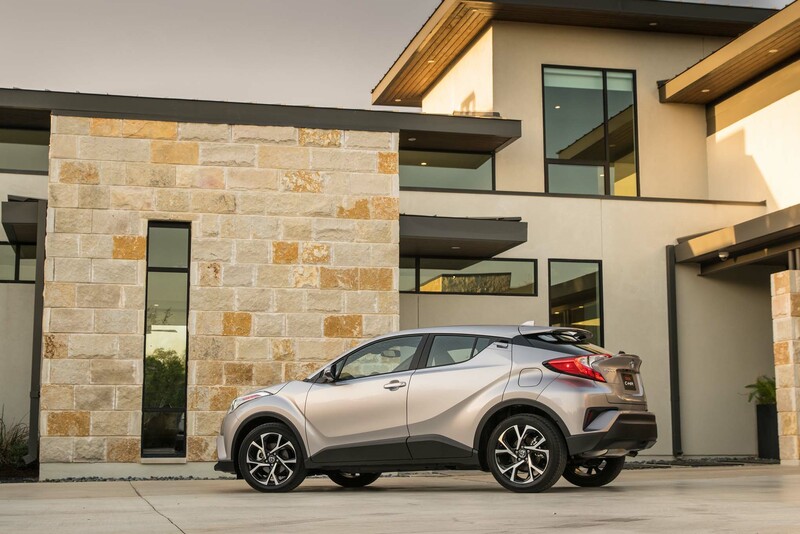 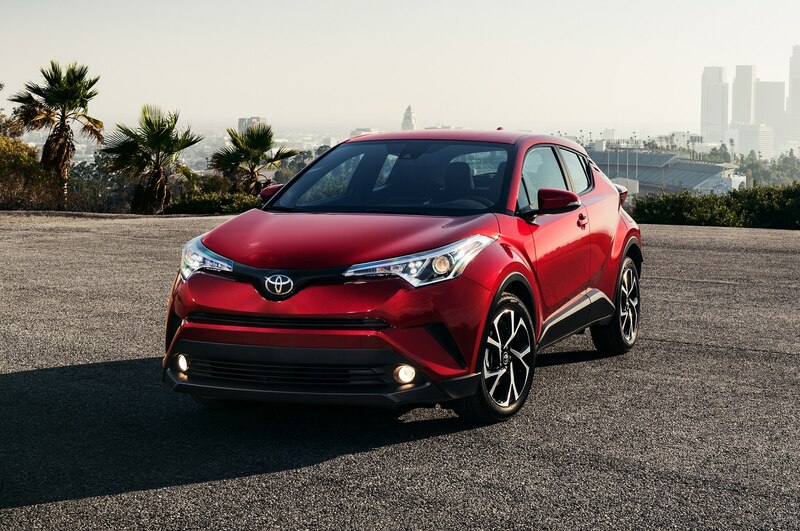 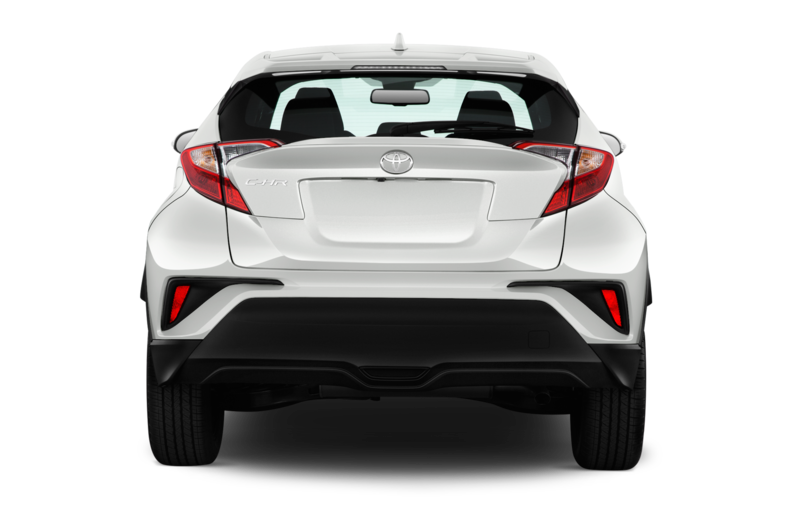 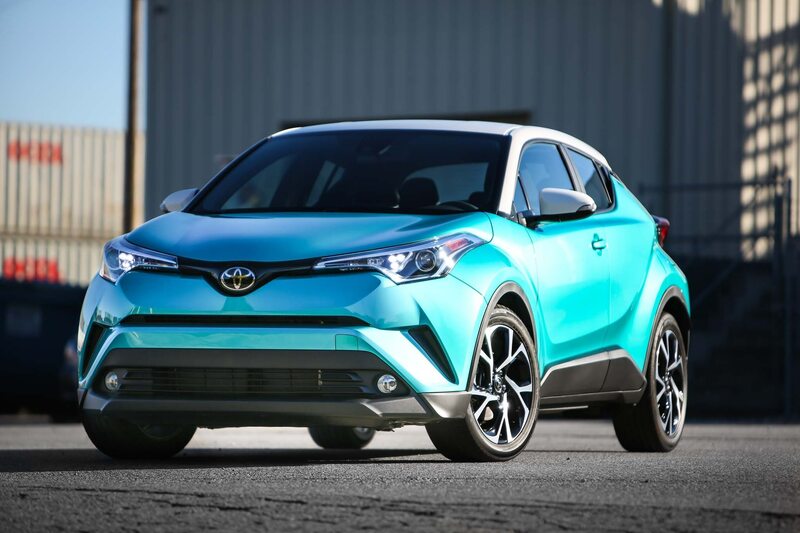 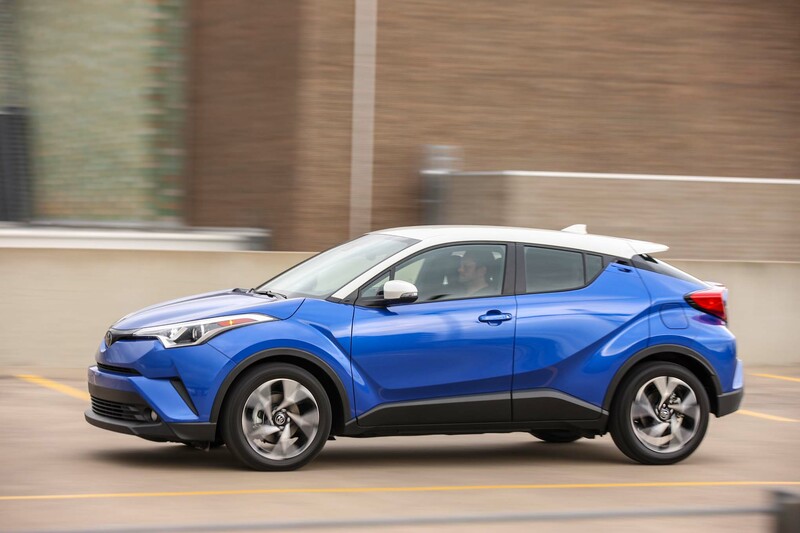 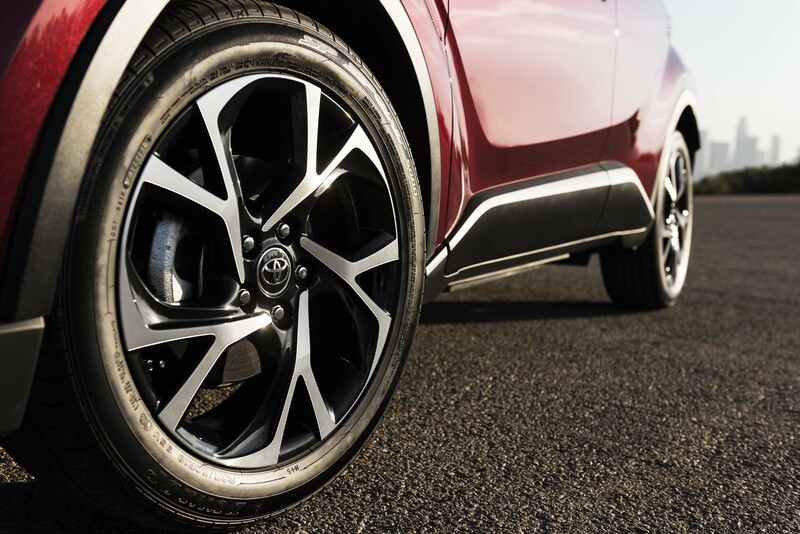 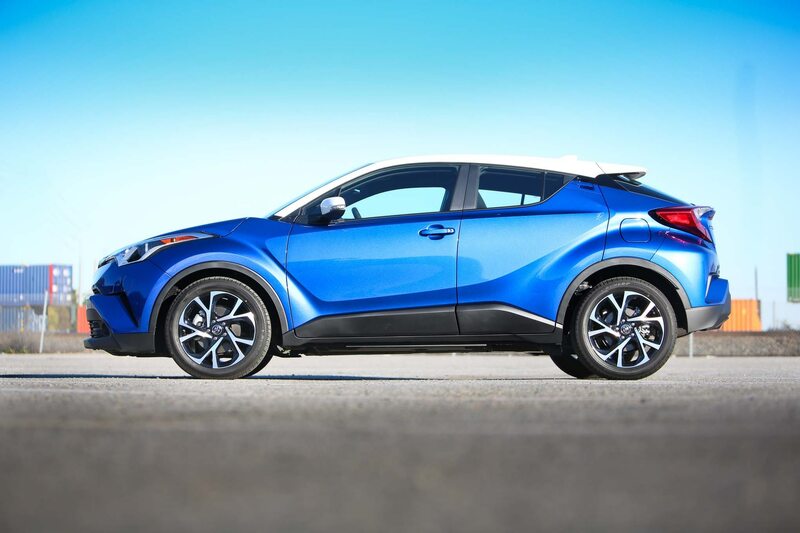 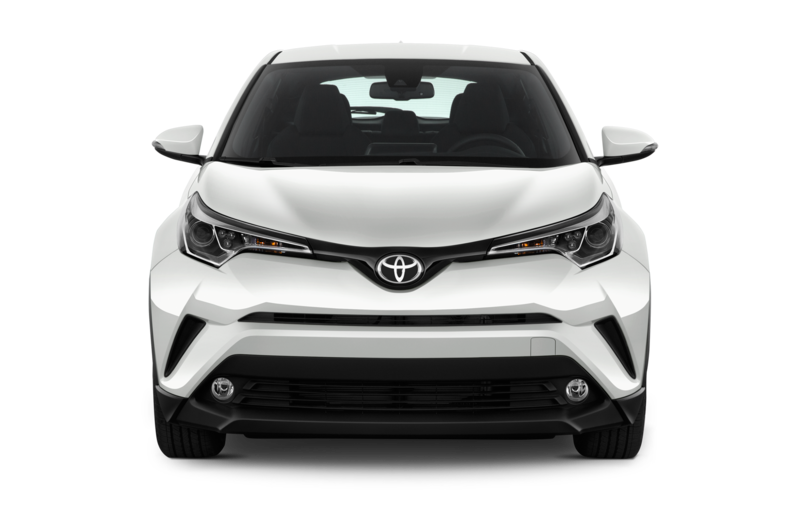 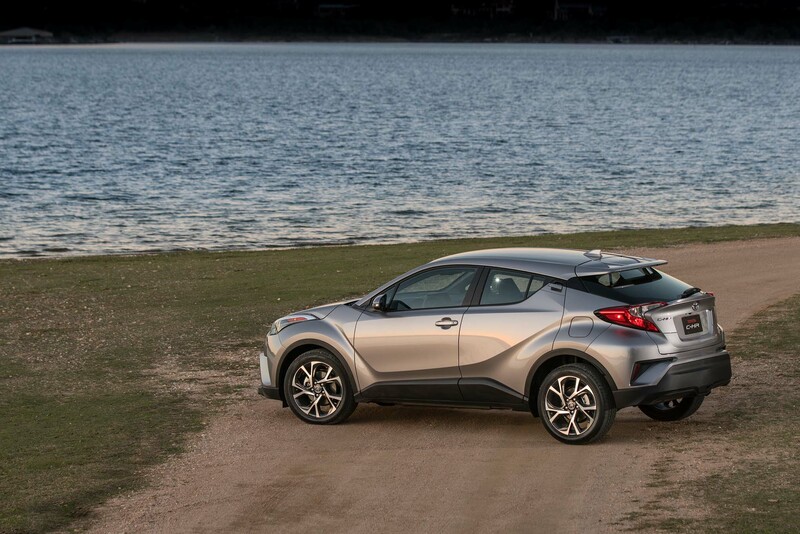 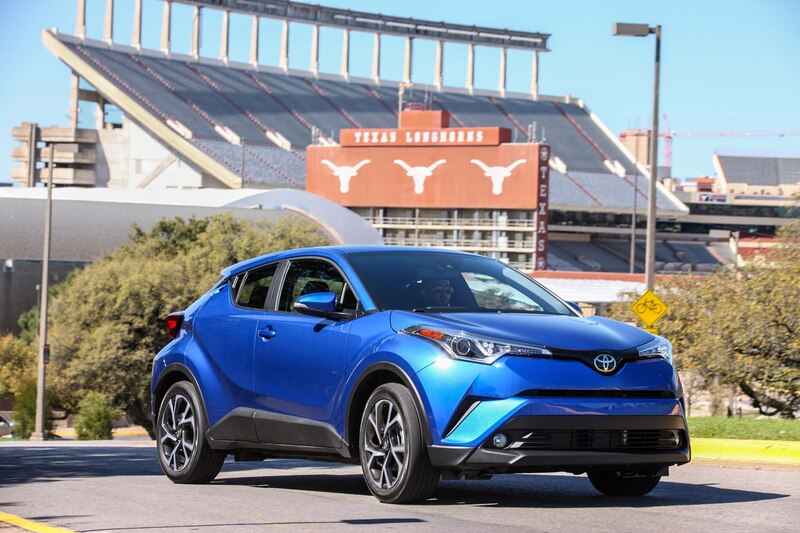 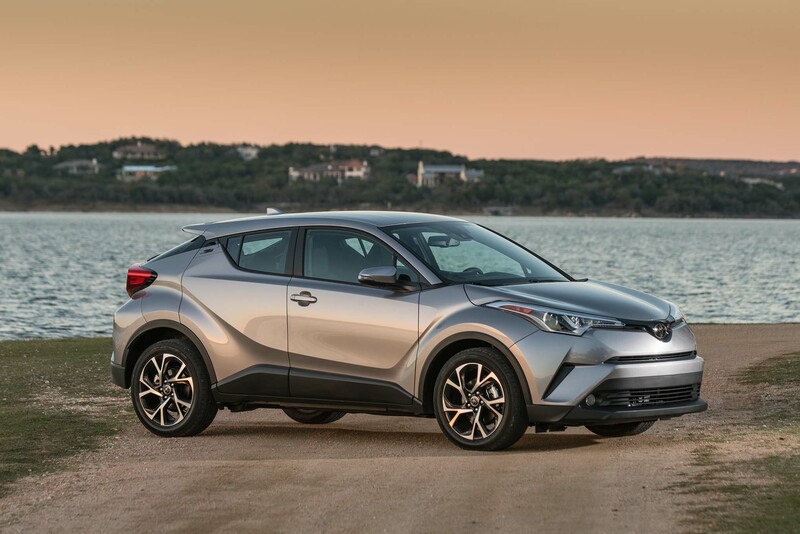 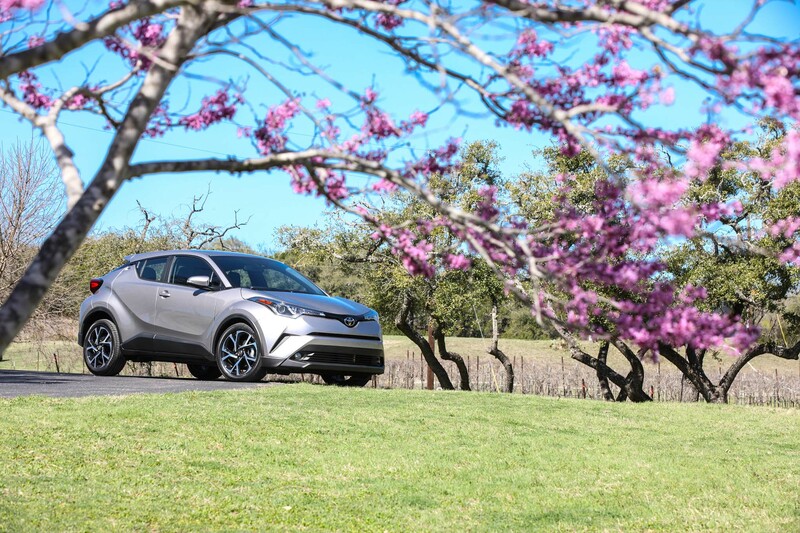 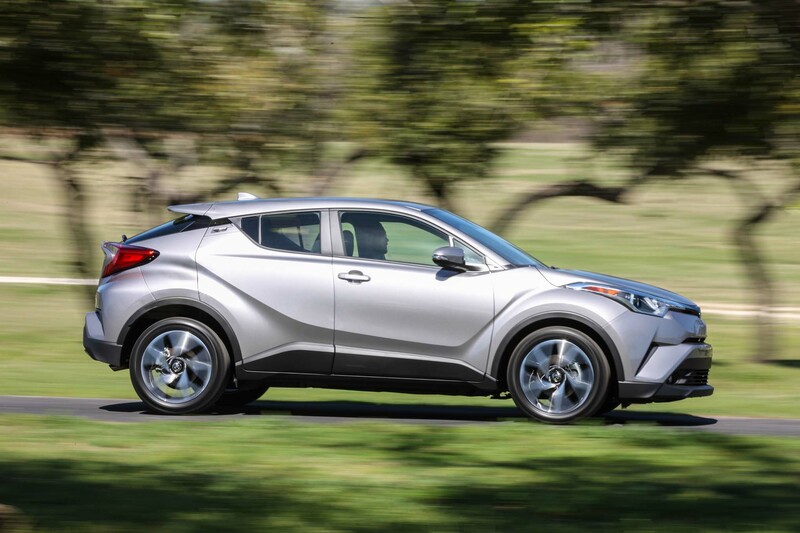 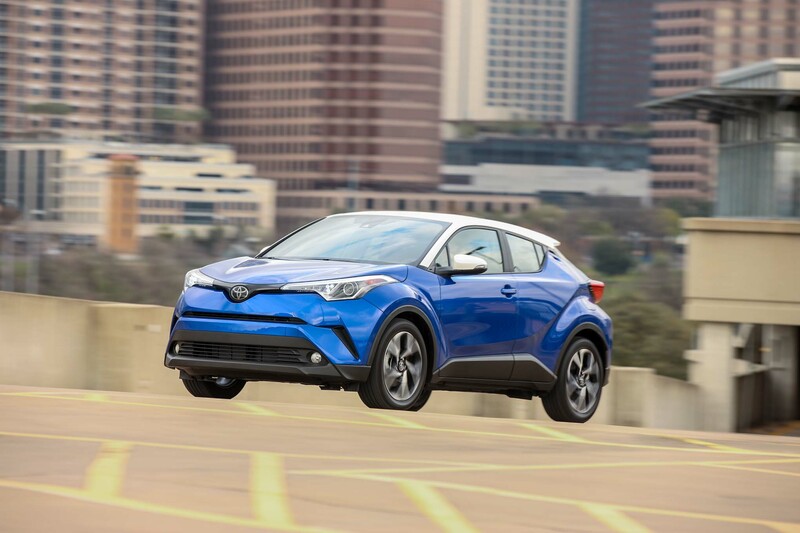 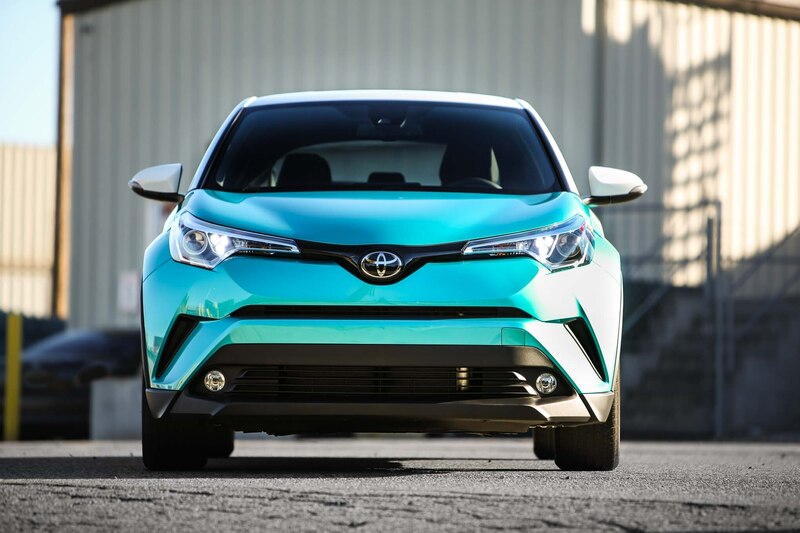 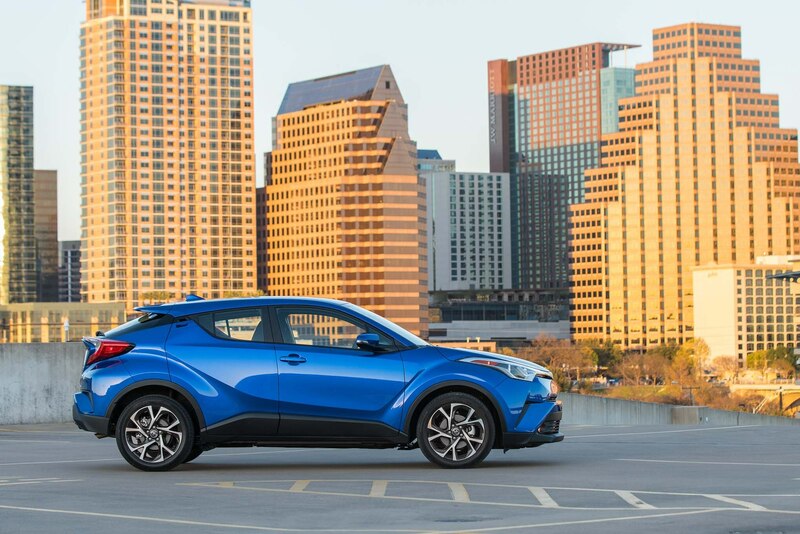 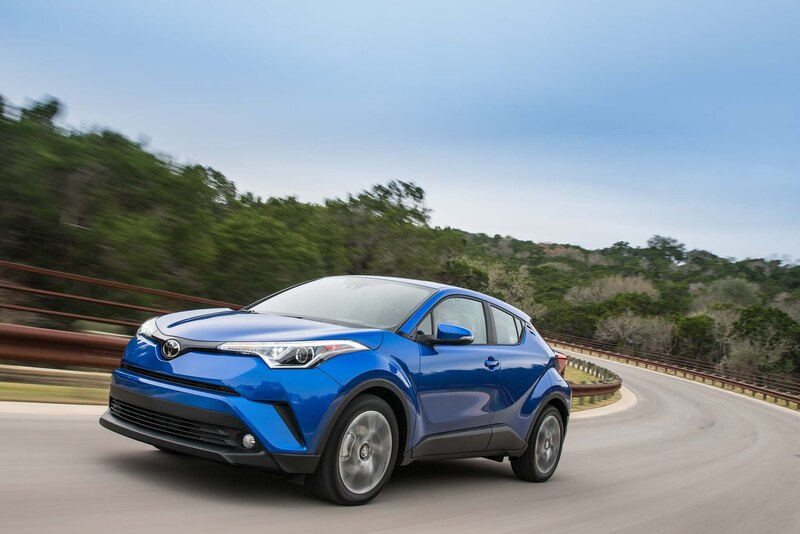 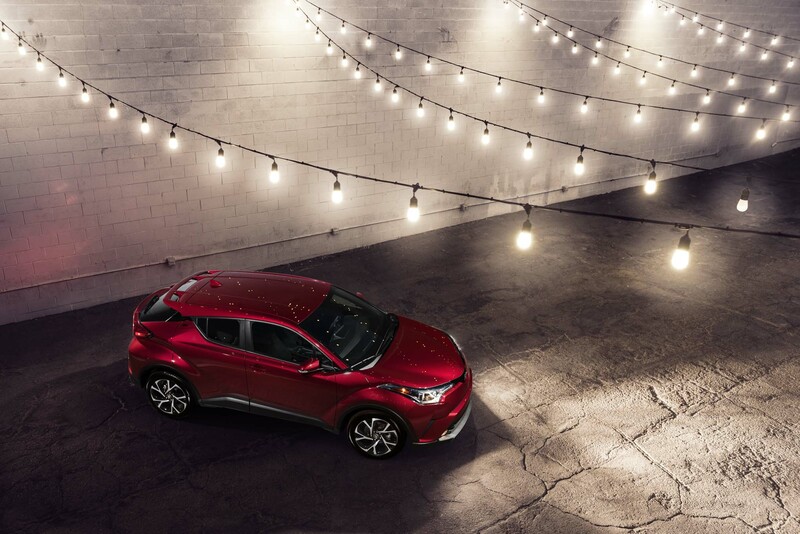 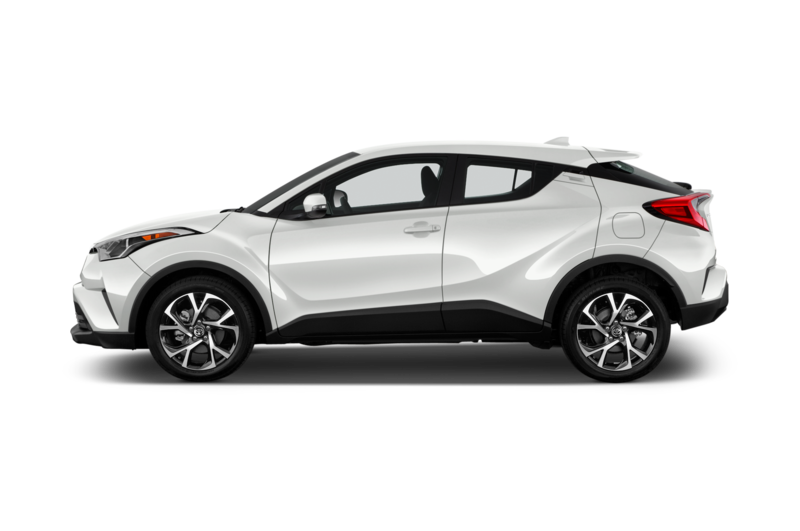 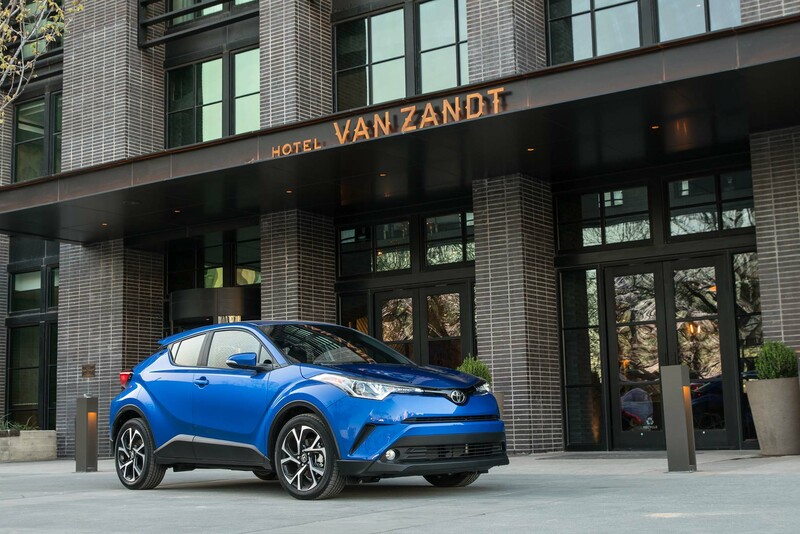 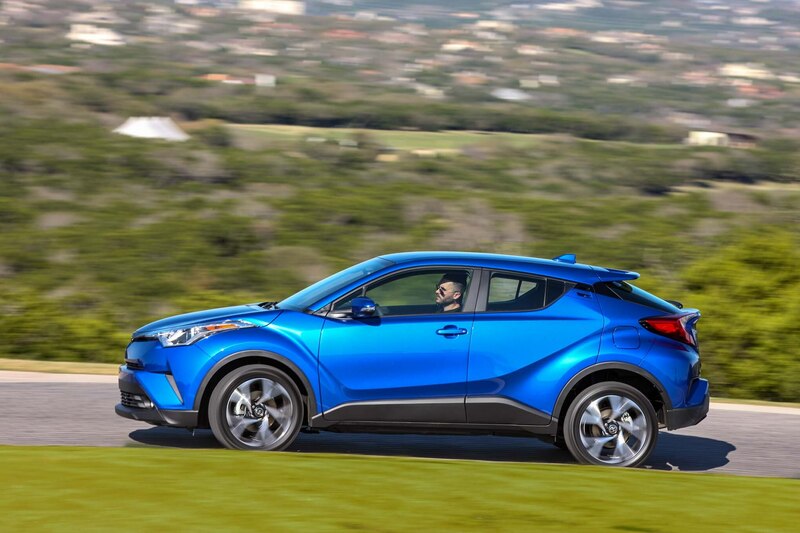 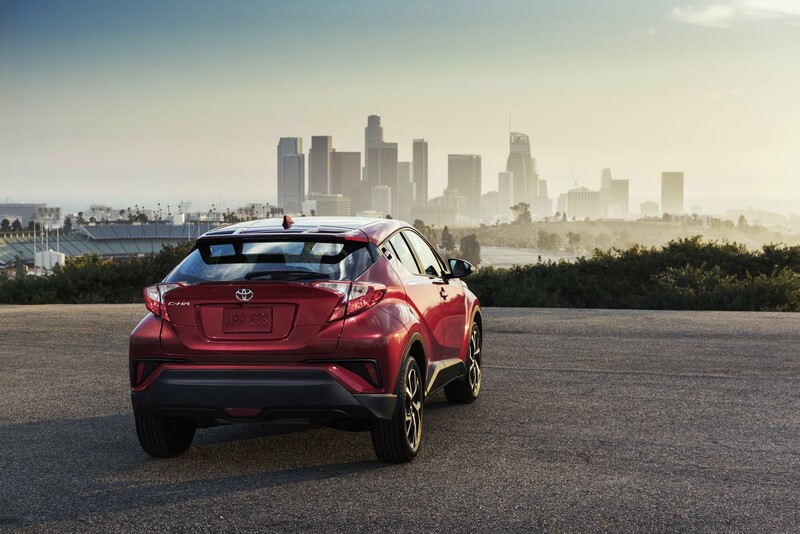 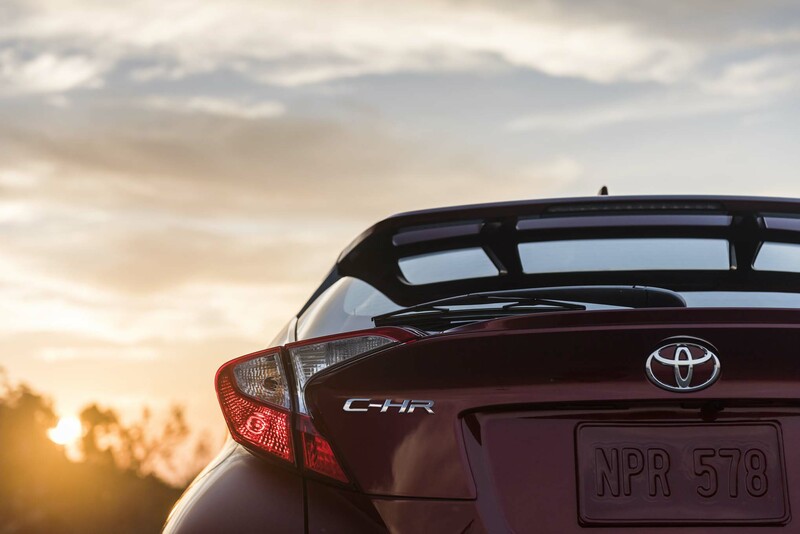 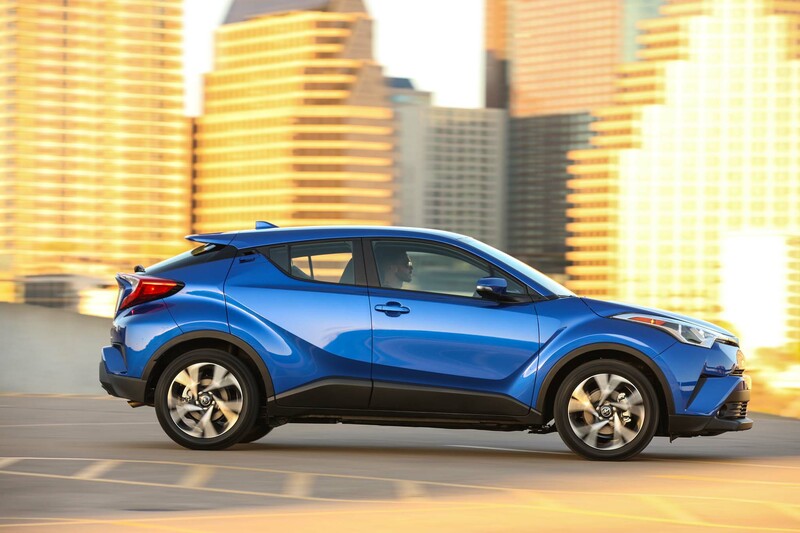 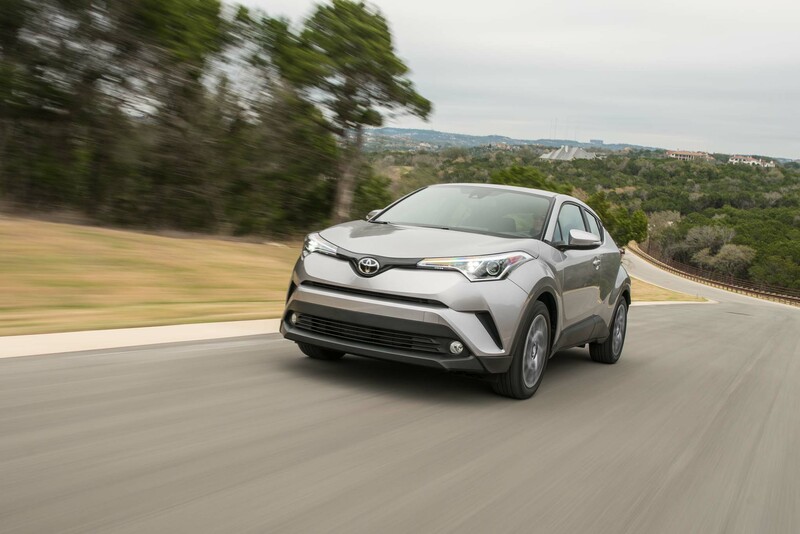 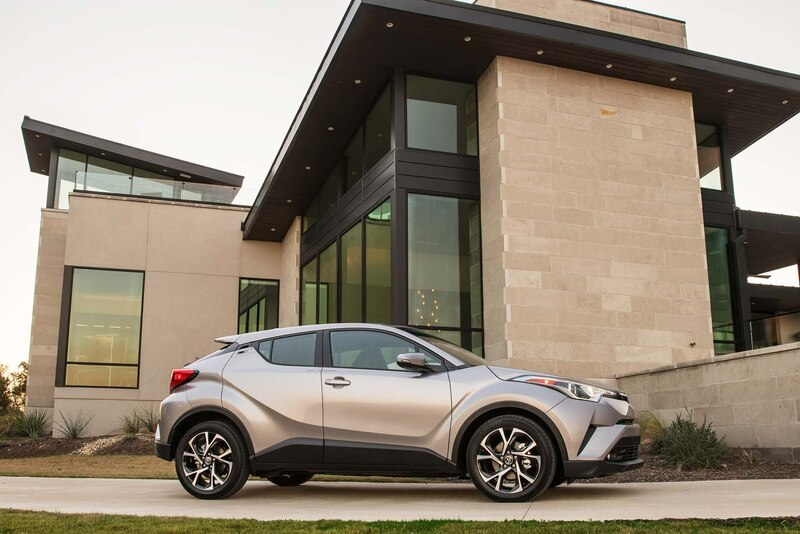 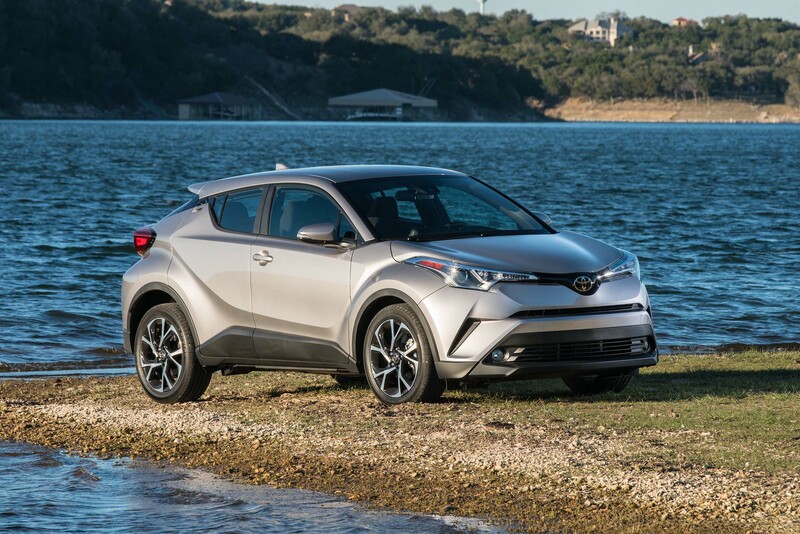 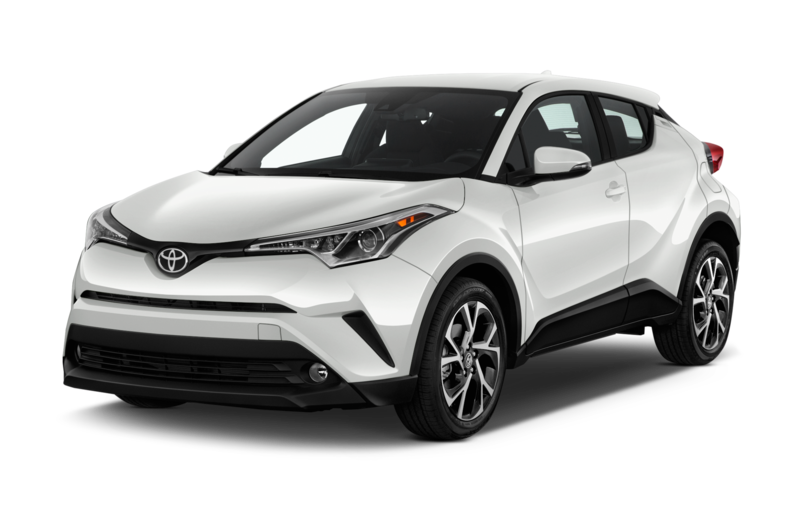 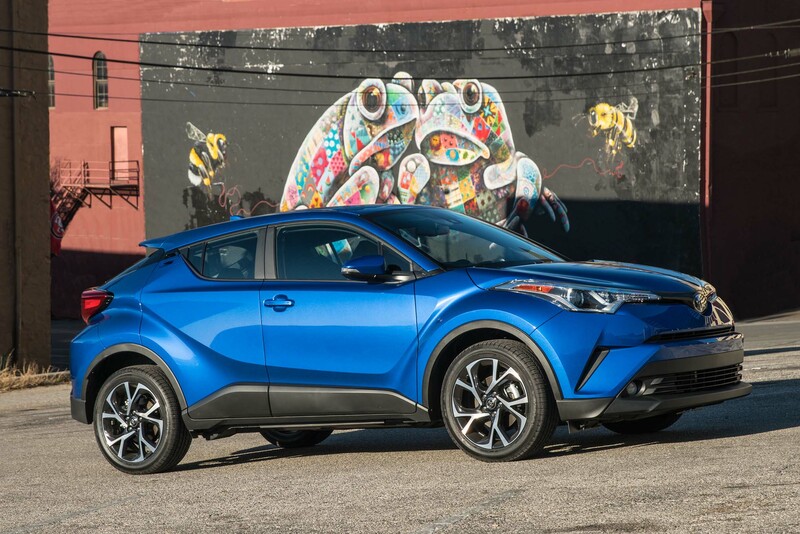 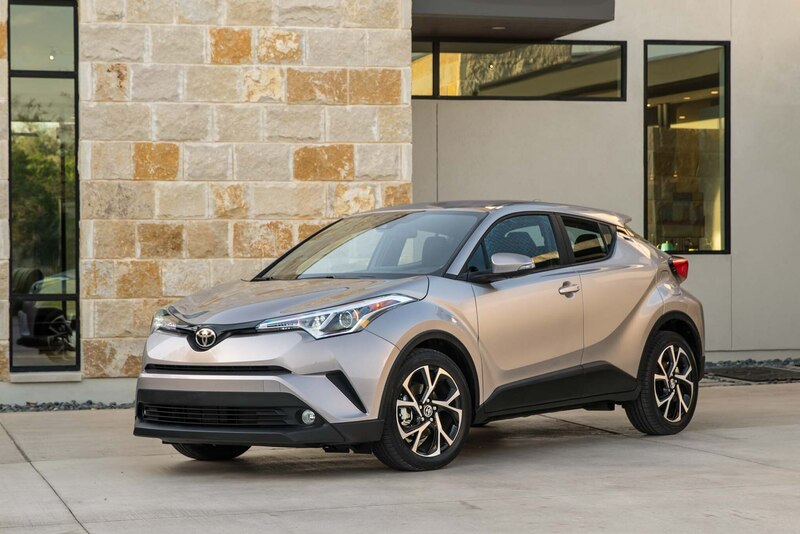 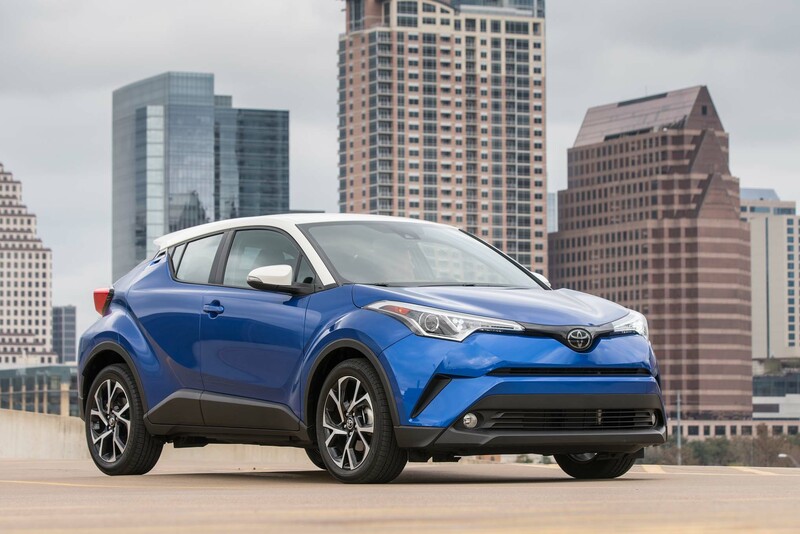 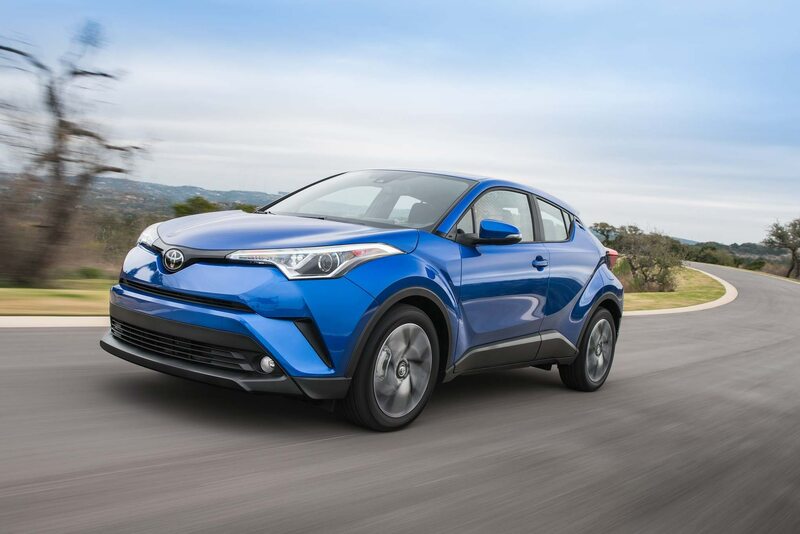 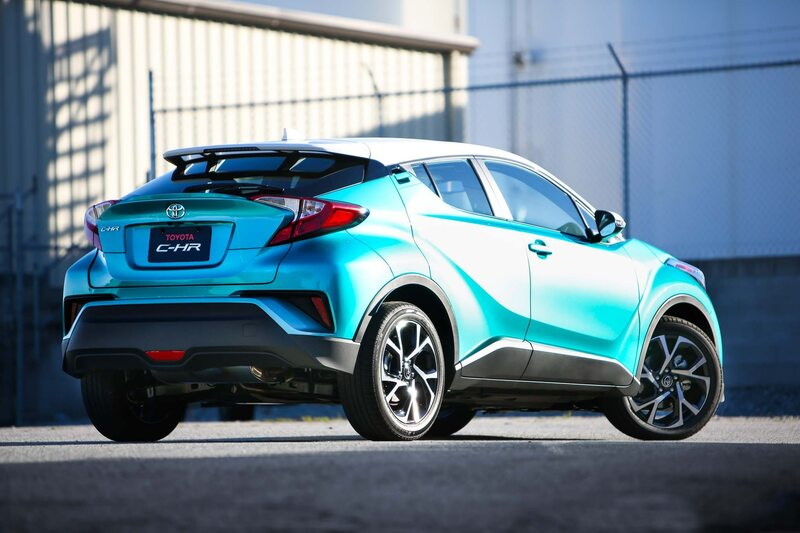 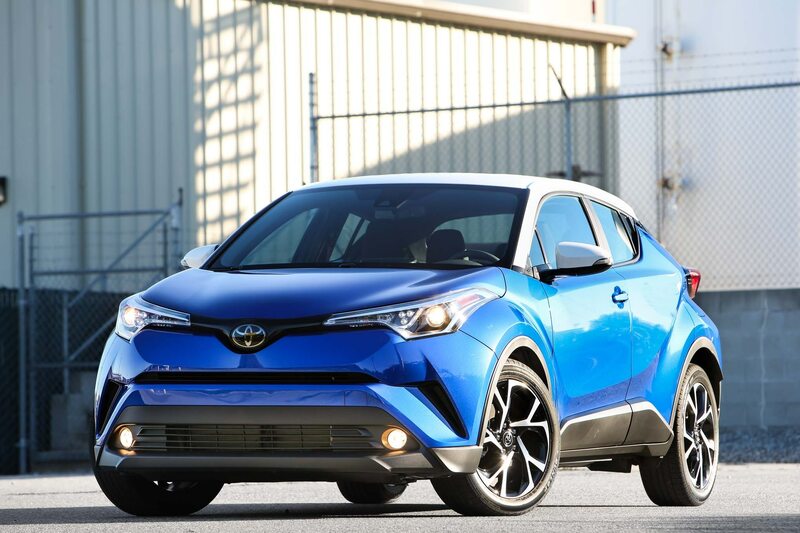 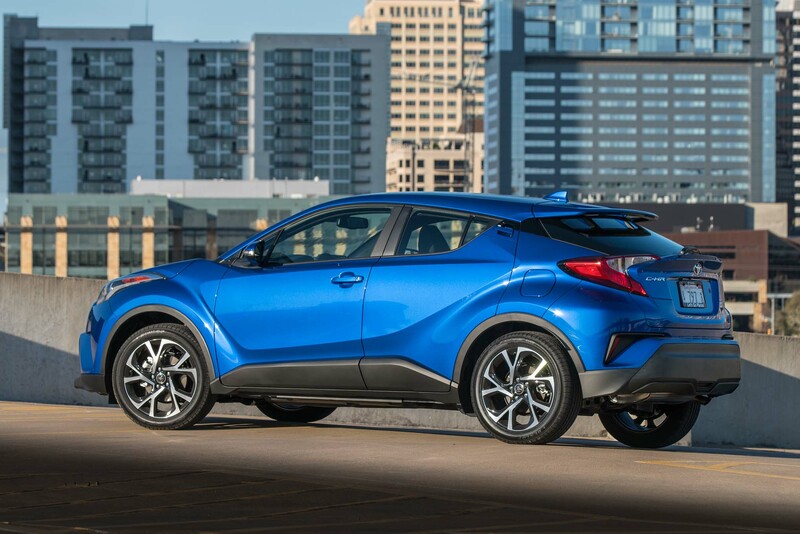 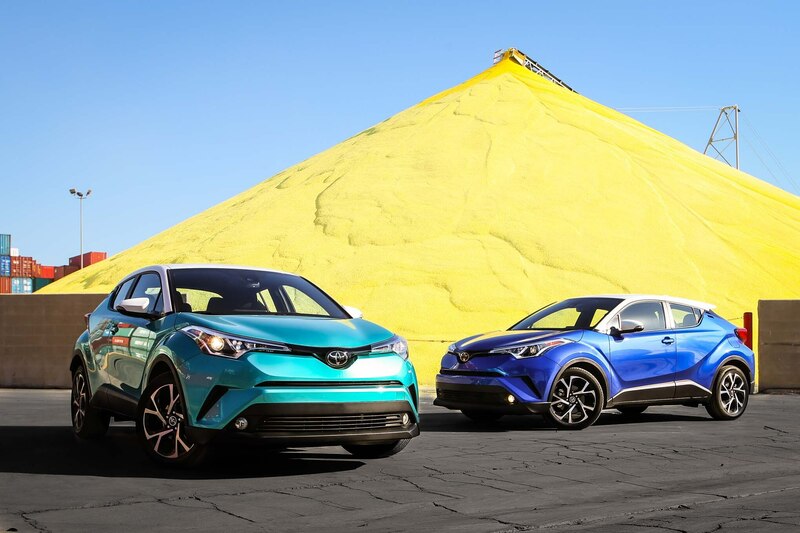 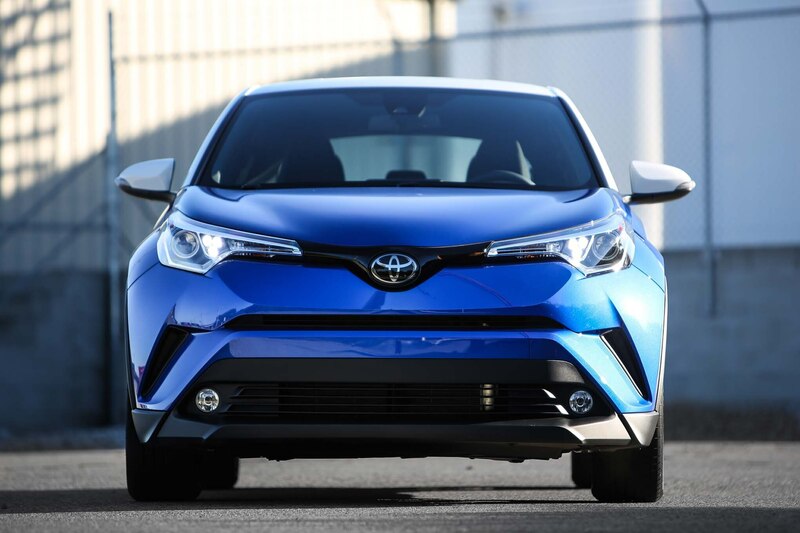 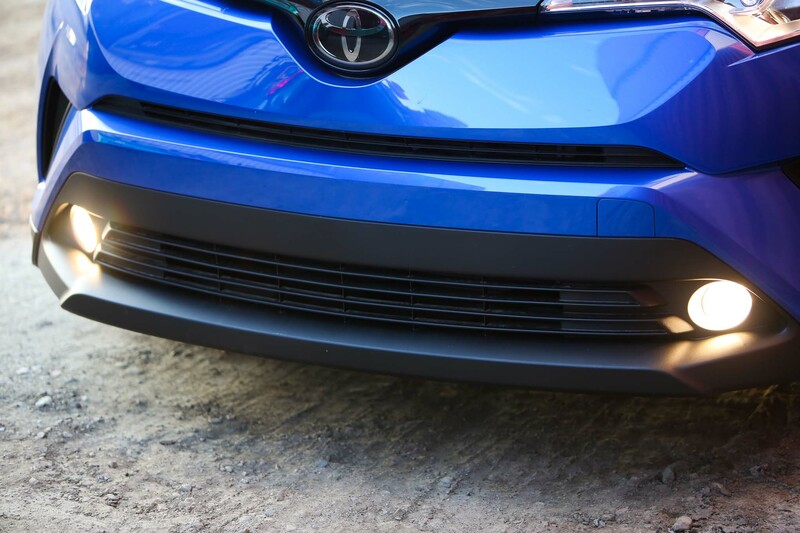 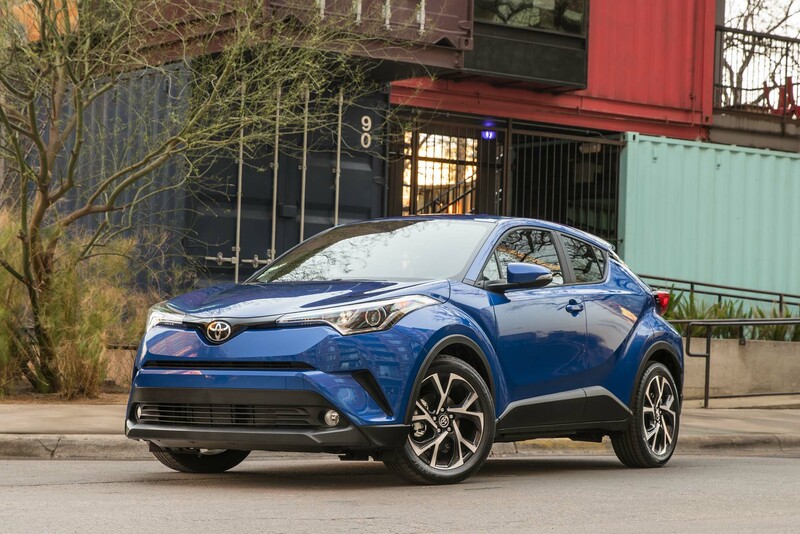 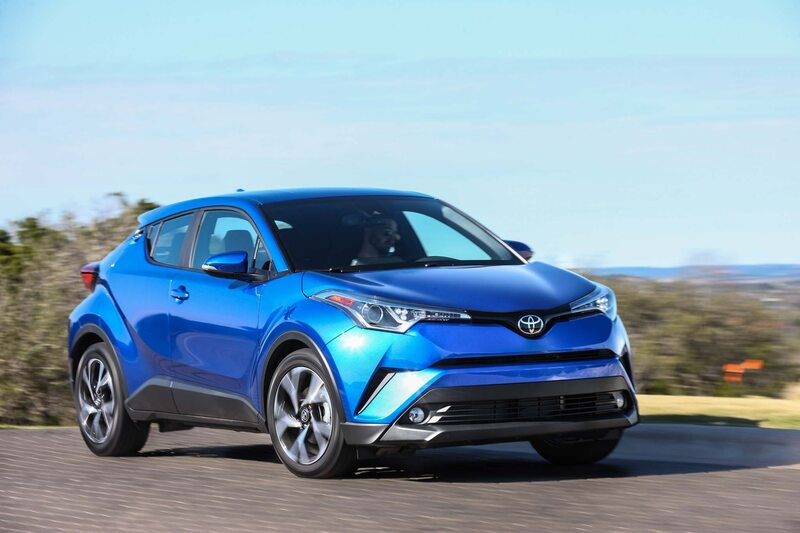 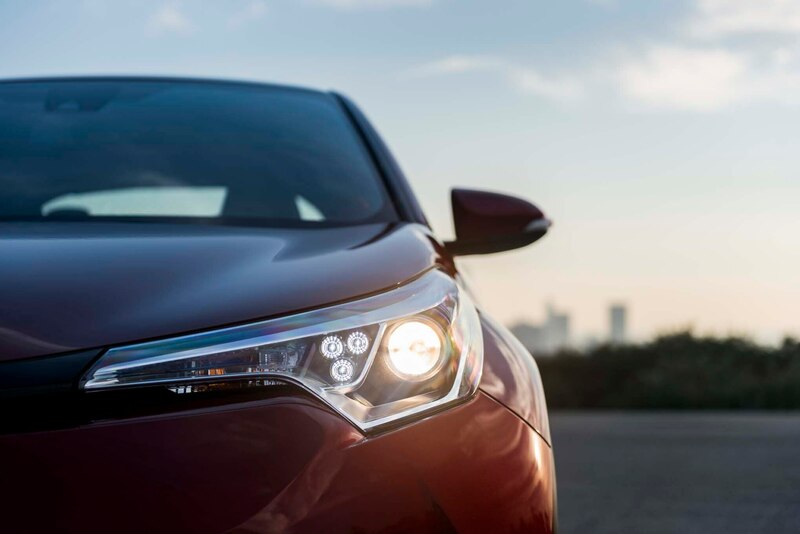 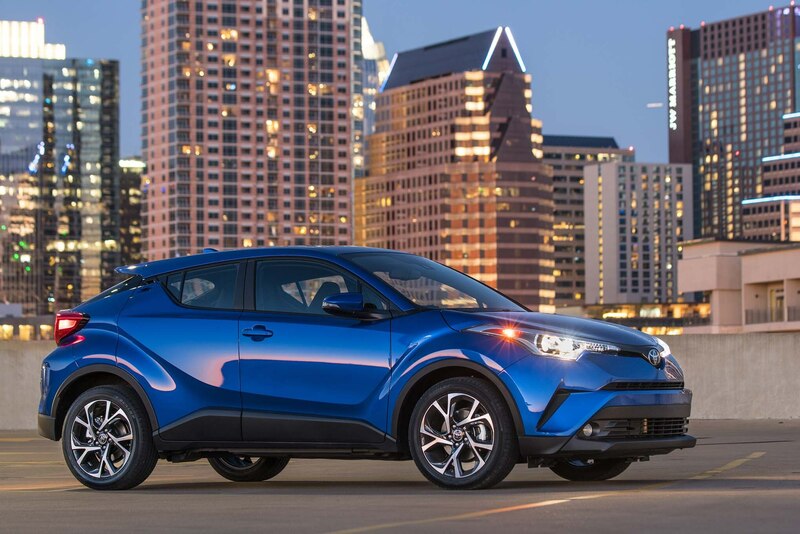 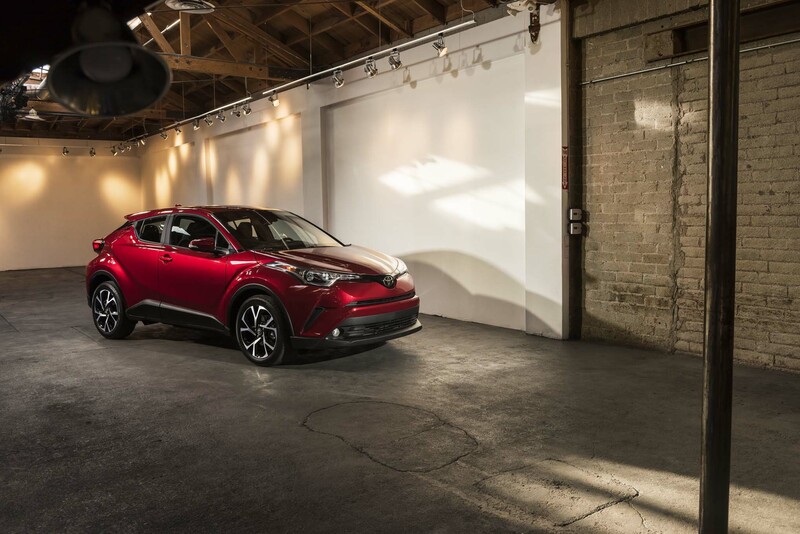 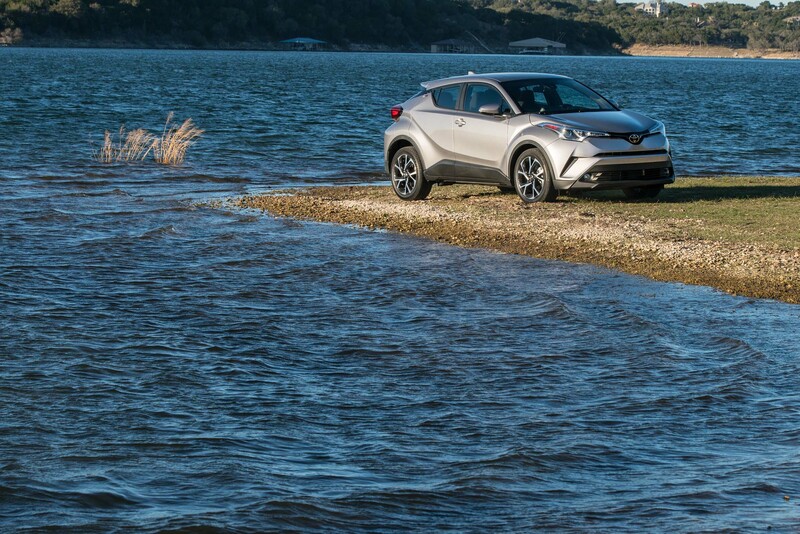 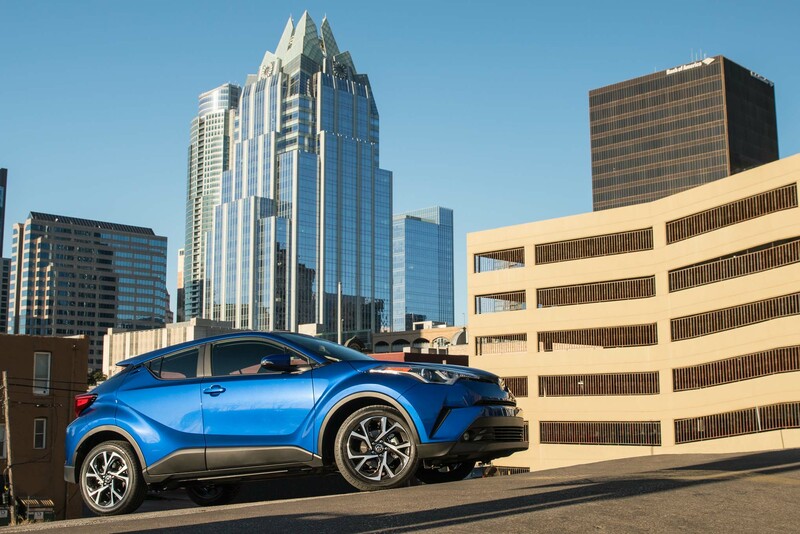 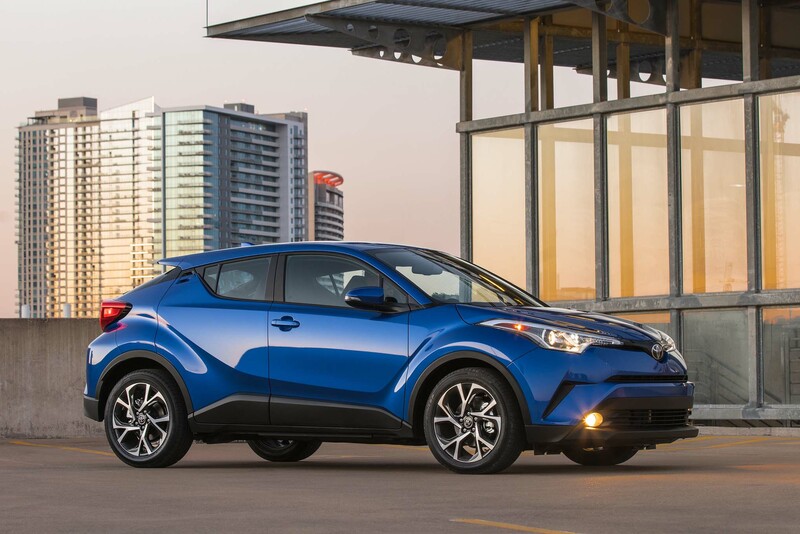 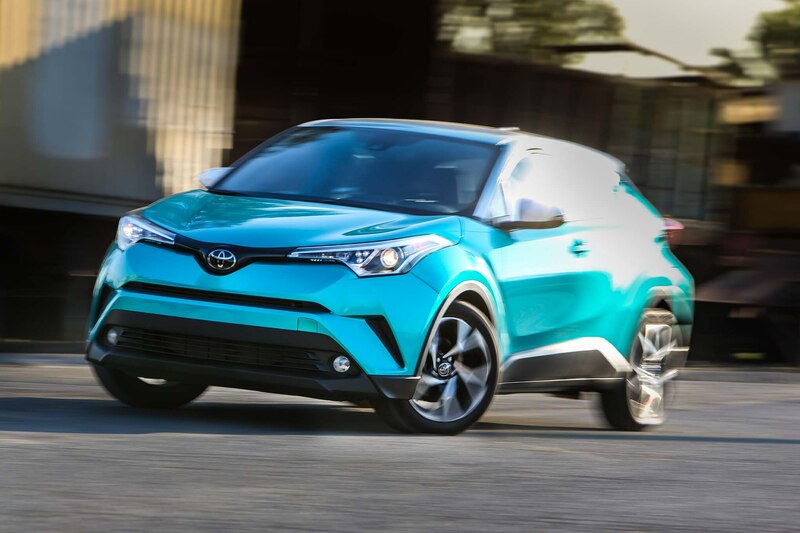 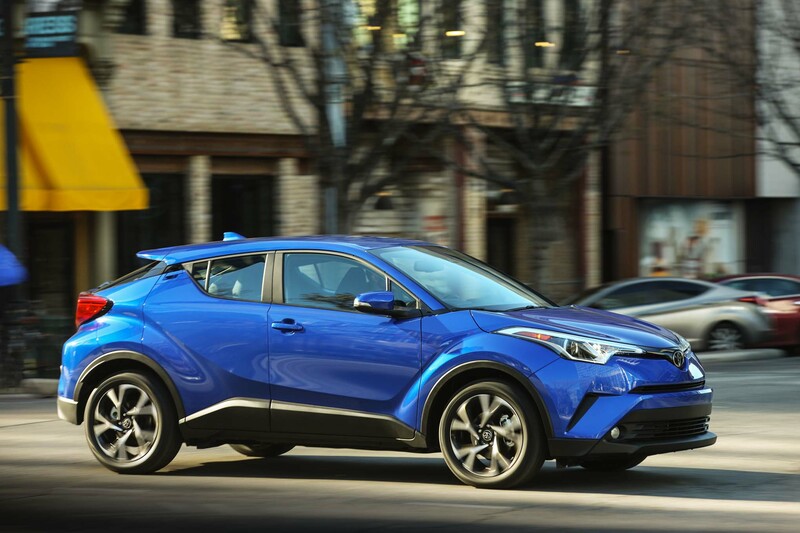 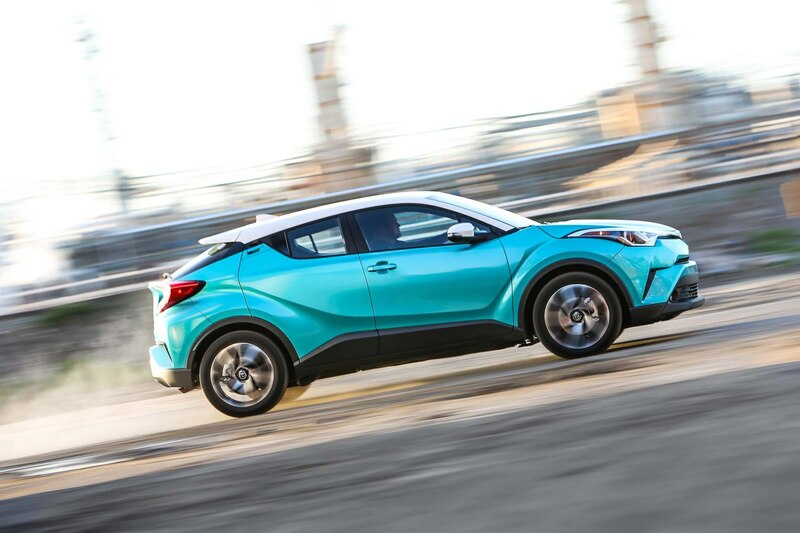 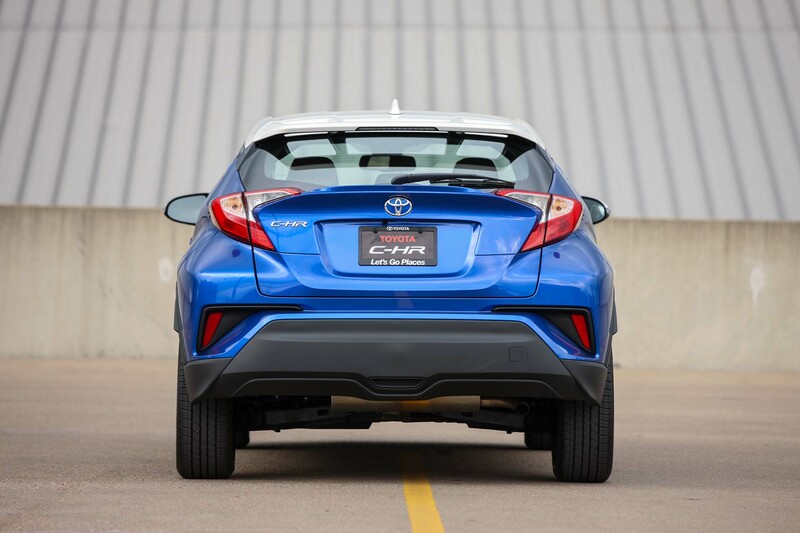 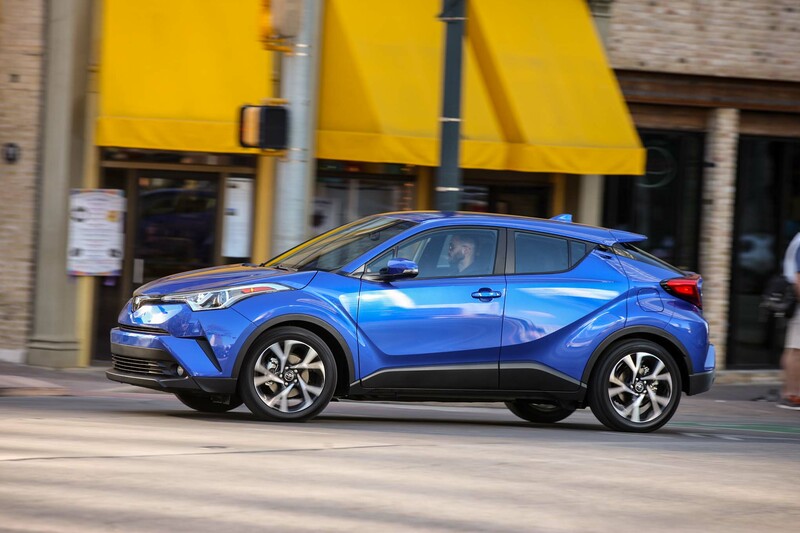 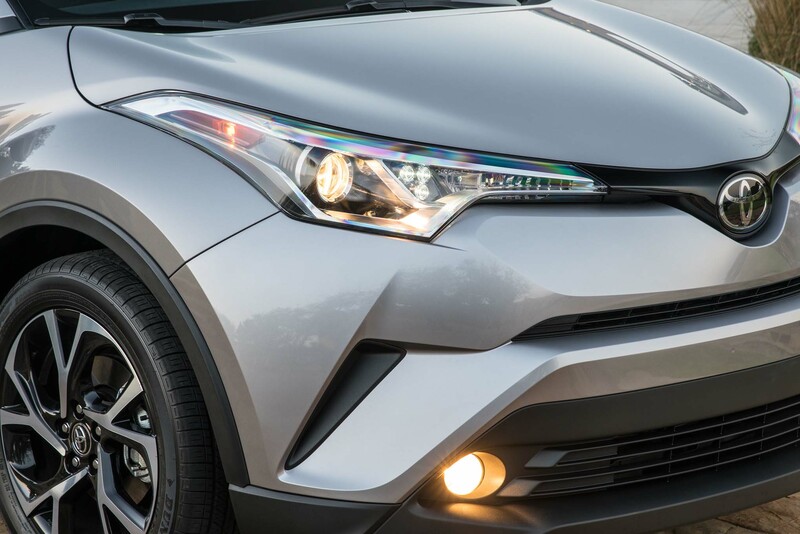 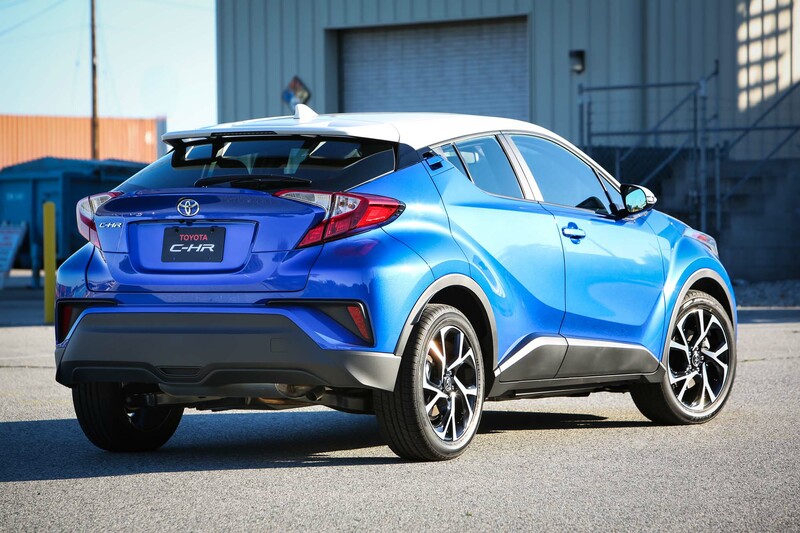 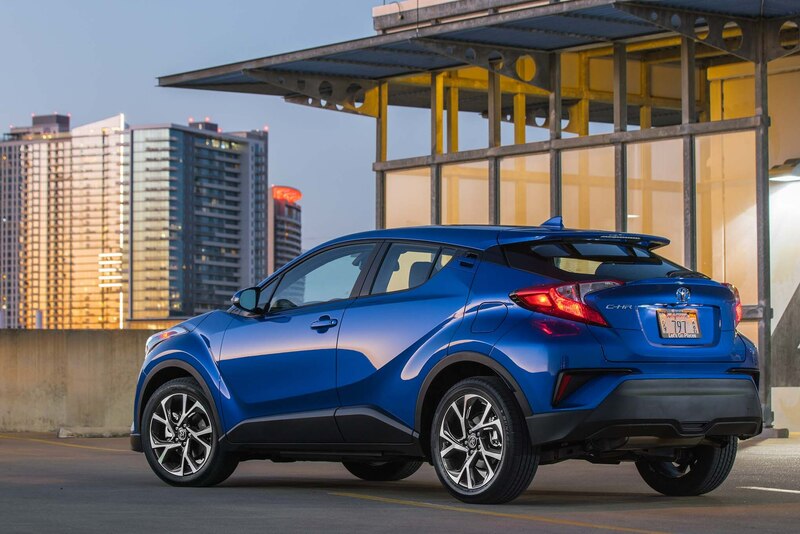 To answer those wondering what Toyota’s intent is with the 2018 C-HR, it’s a response to the appetite consumers have for sporty subcompact crossovers that lean more toward the sporty and stylish end of segment. 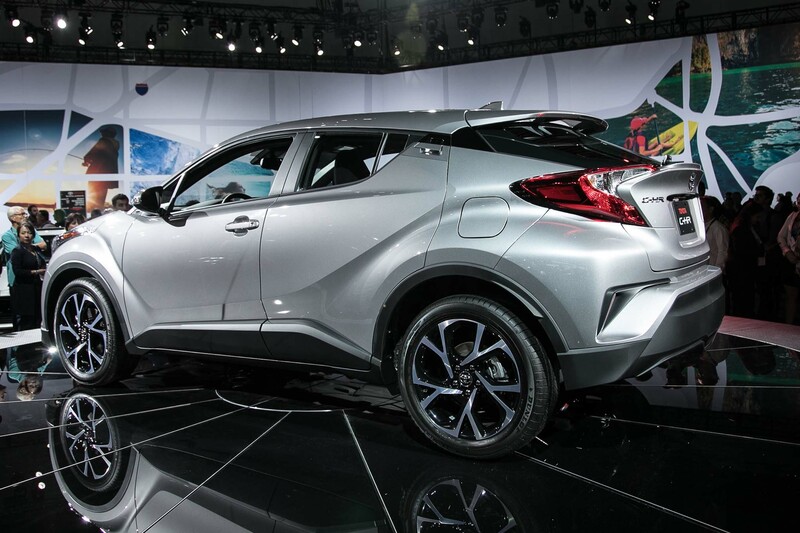 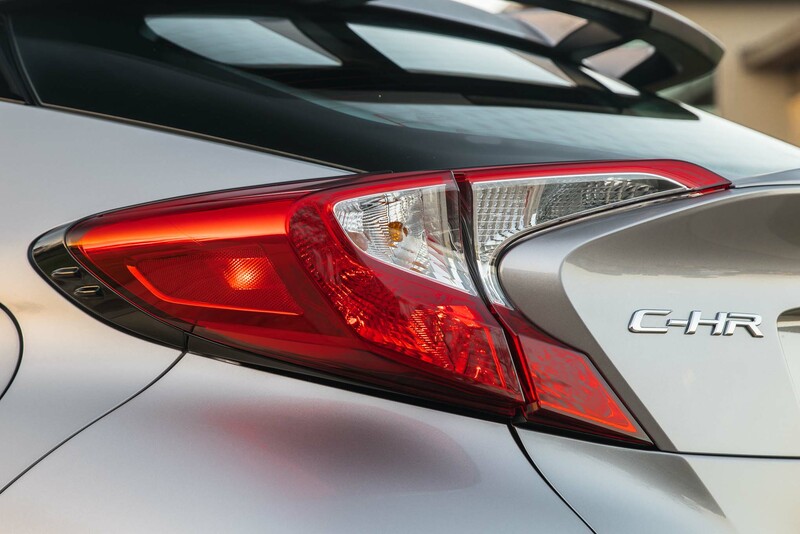 Its main competition will be the likes of the Honda HR-V, Mazda CX-3, and Nissan Juke. 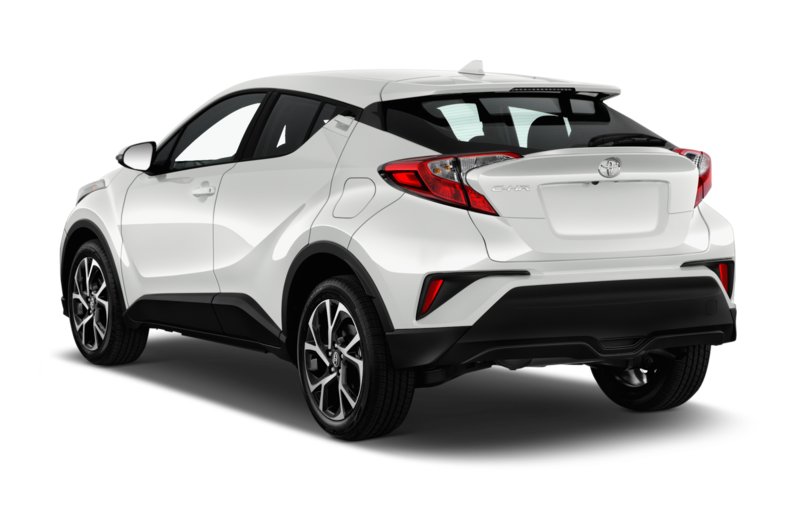 If you were hoping the C-HR would retain the expressive and unique styling of its overseas brethren, you’re in luck. 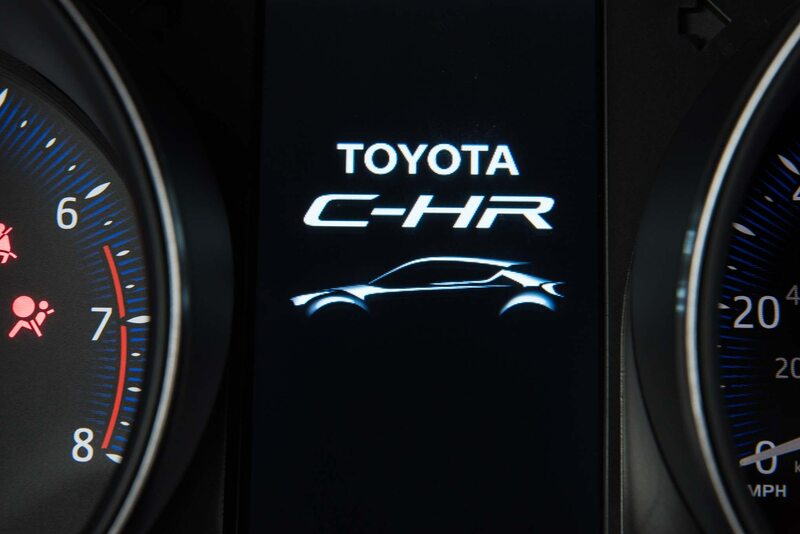 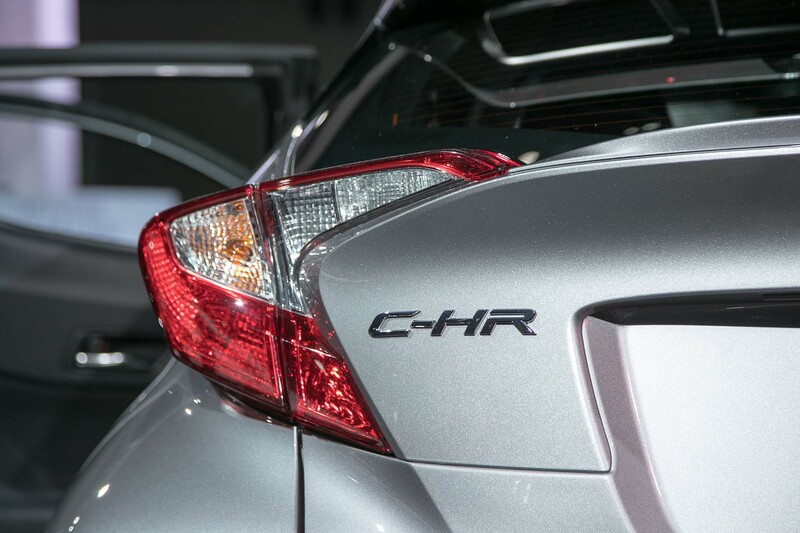 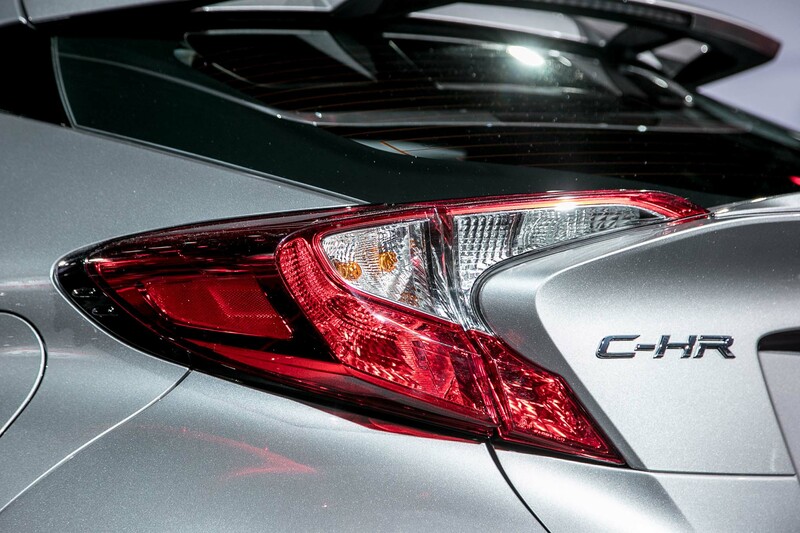 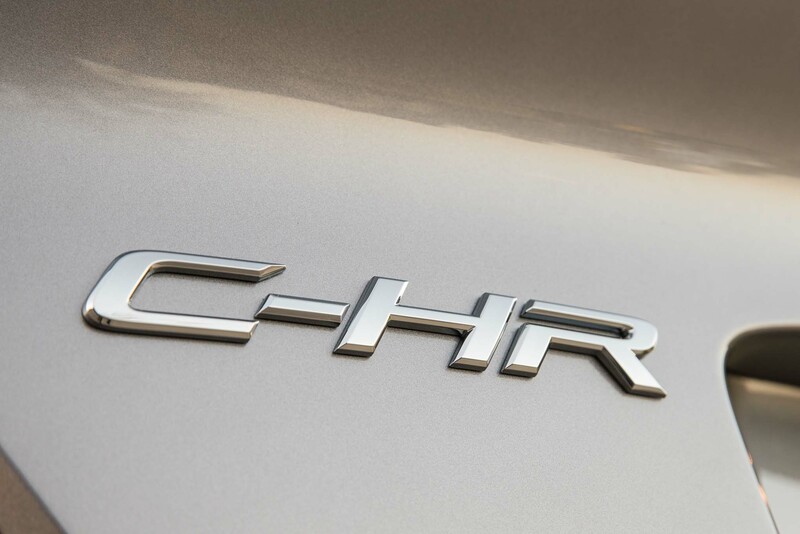 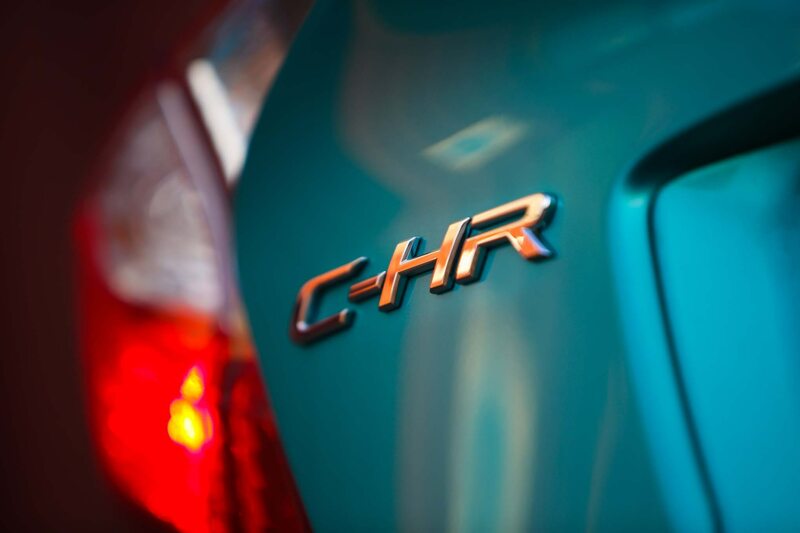 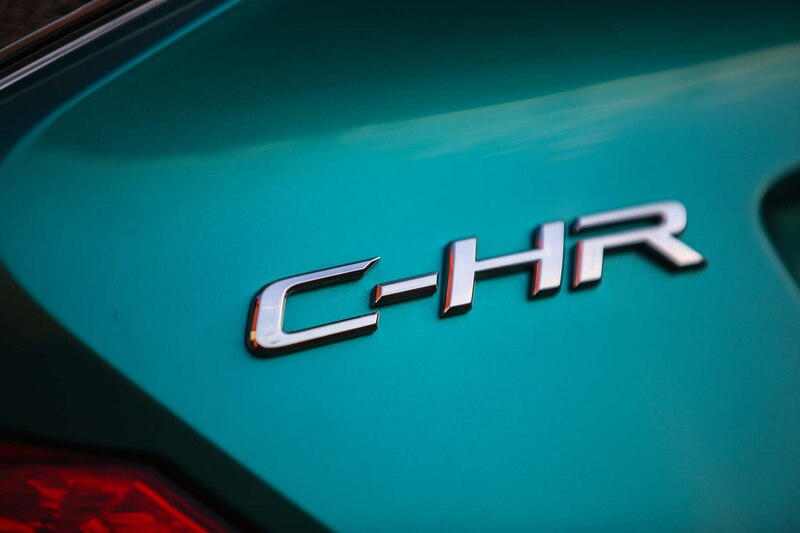 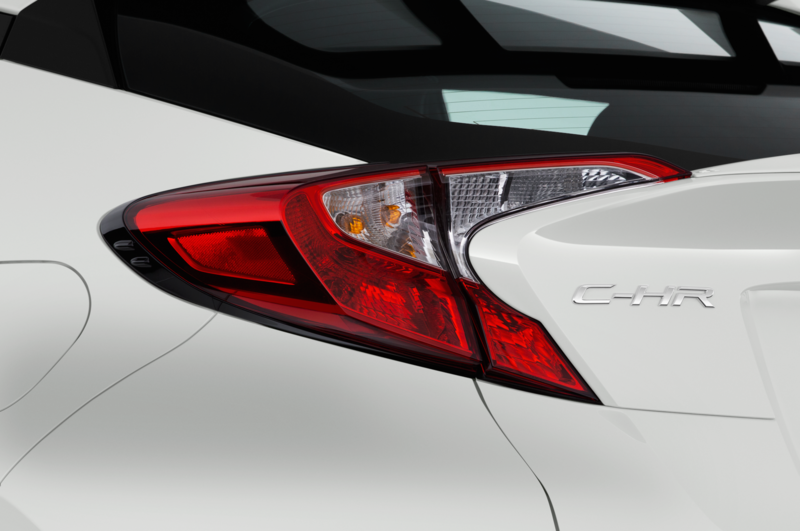 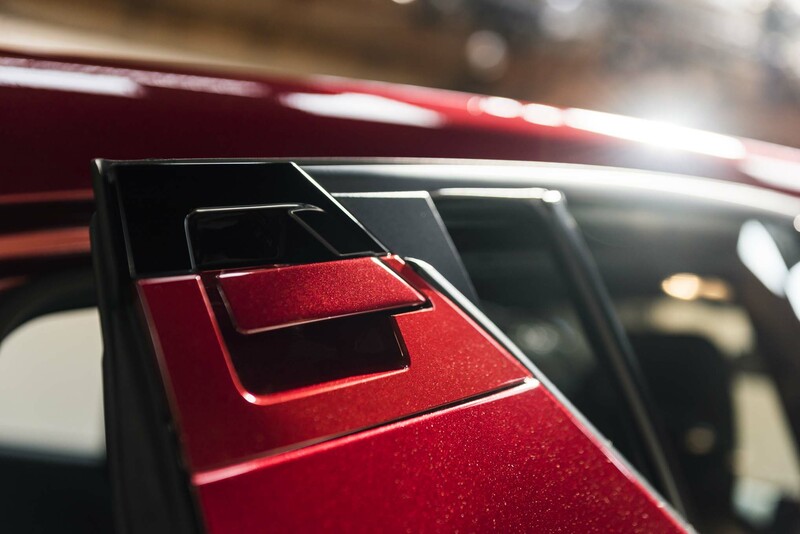 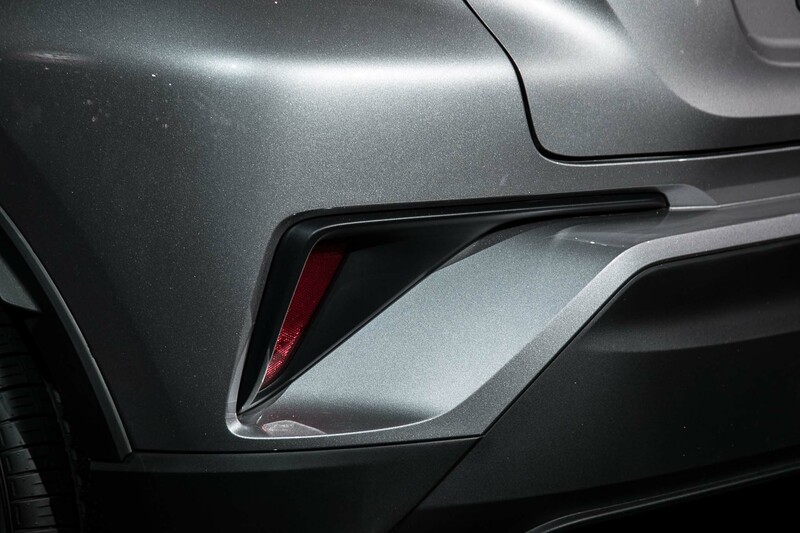 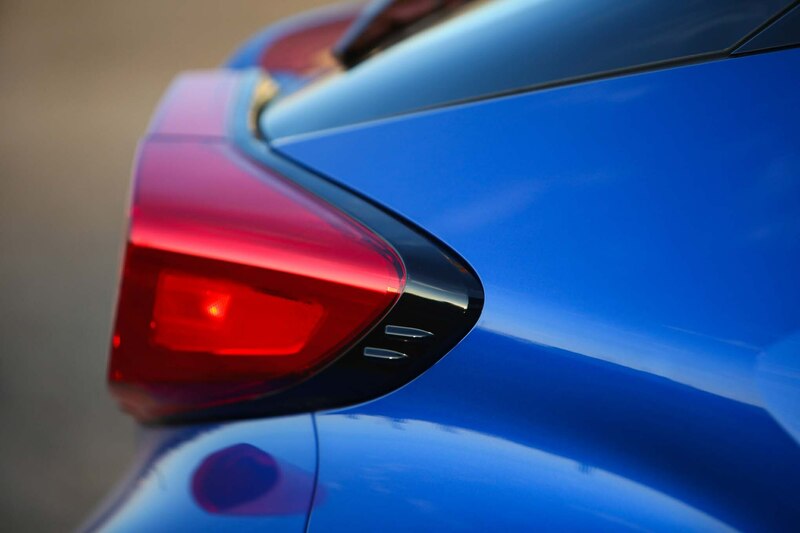 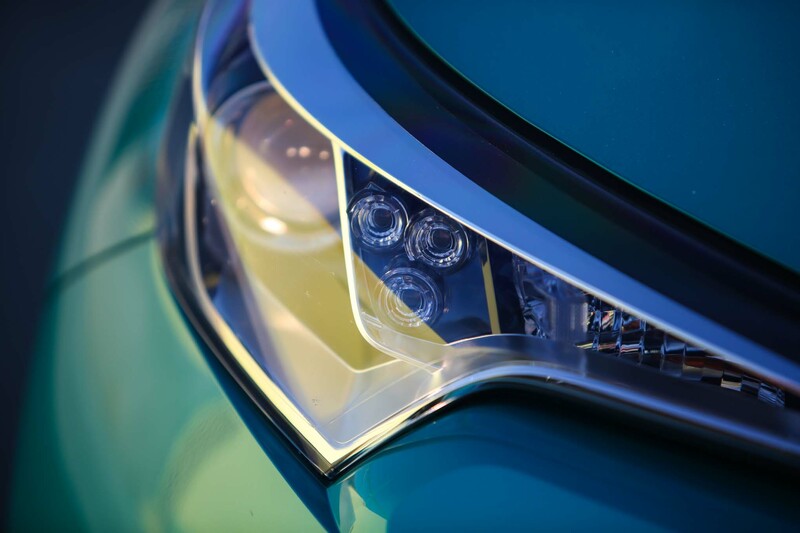 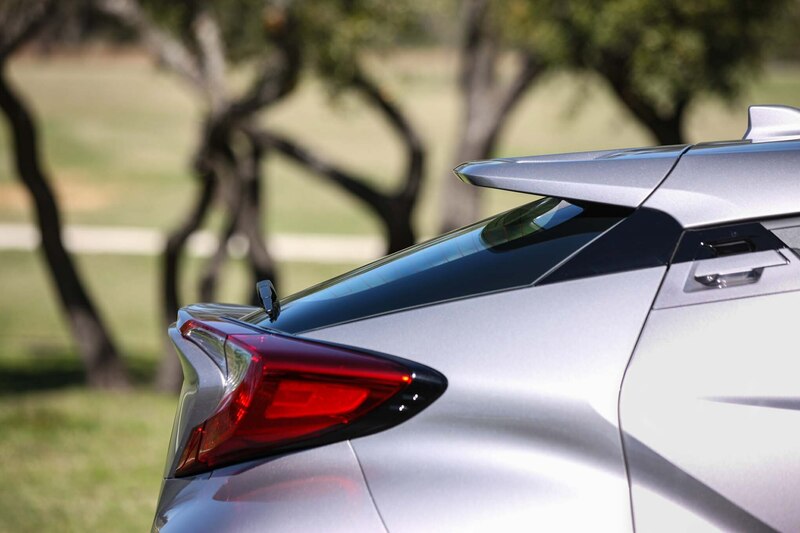 Apart from some alterations to headlight and taillight signals, the C-HR will arrive in America with the same sharp looks as it flaunts in other parts of the world. 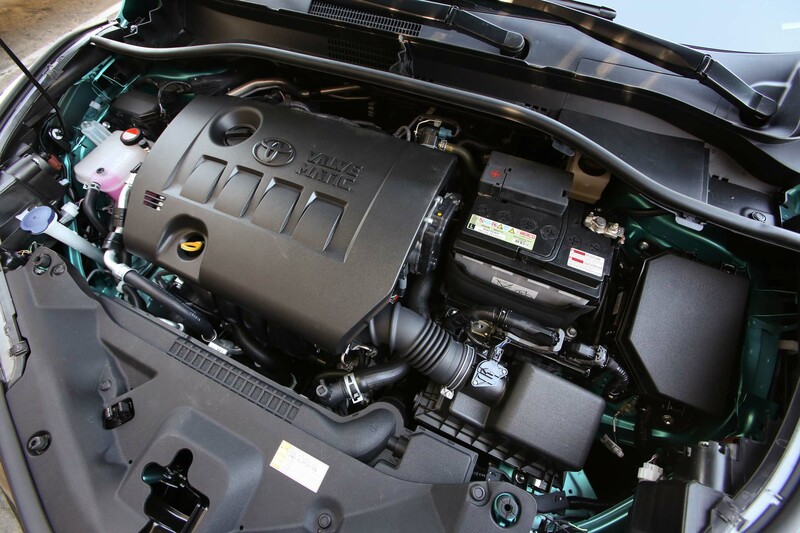 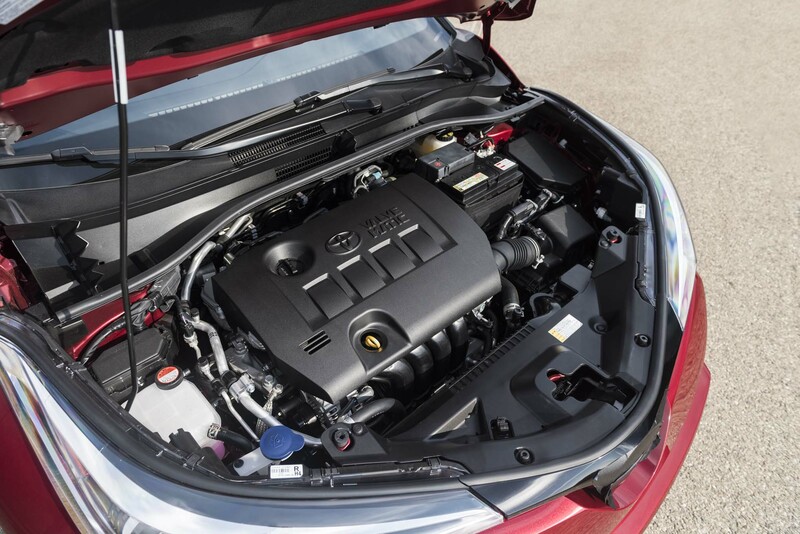 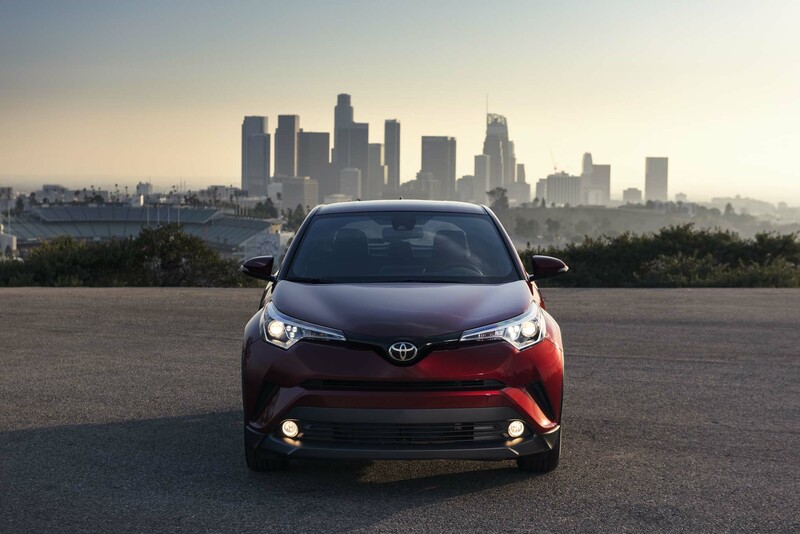 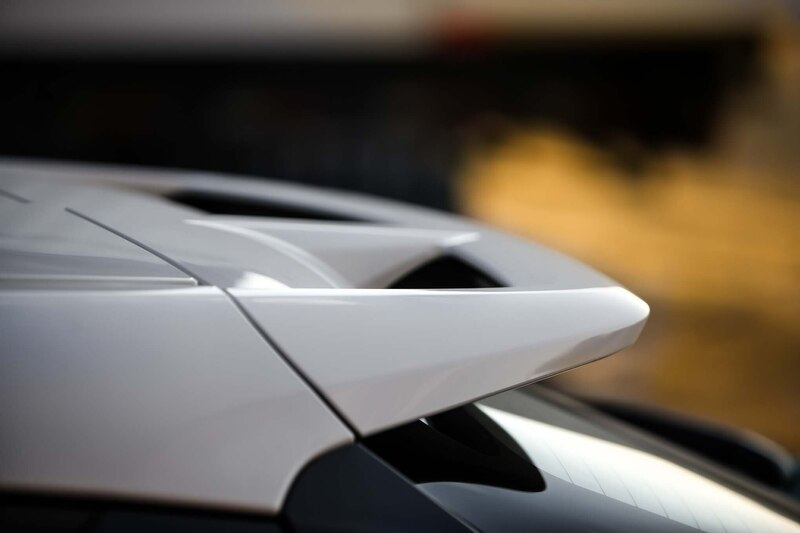 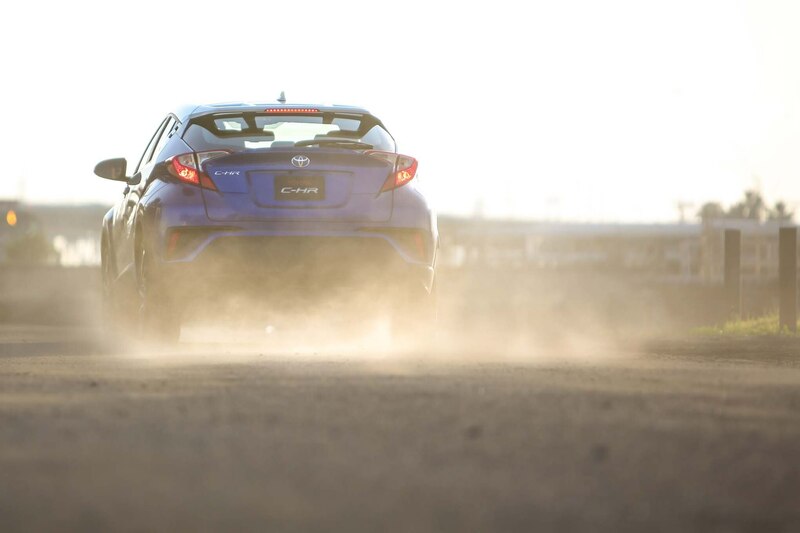 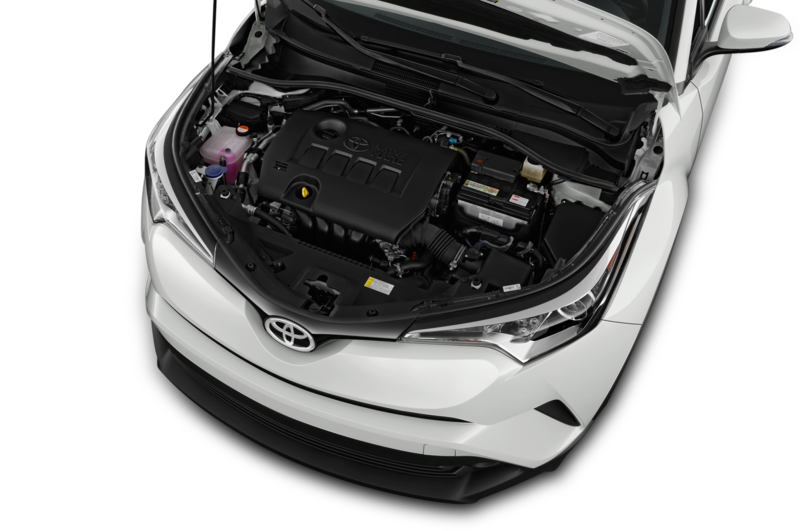 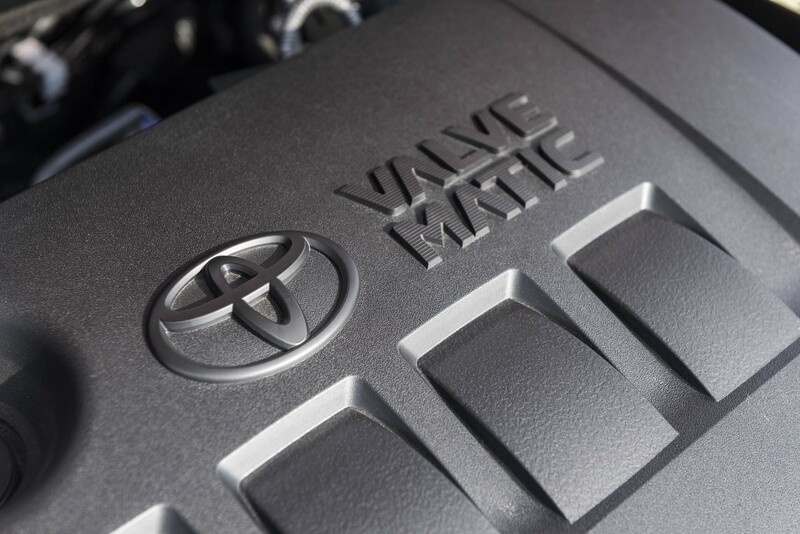 Under the hood, Toyota’s naturally aspirated 2.0-liter I-4 will deliver 144 hp and 140 lb.-ft. of torque to the front wheels via a continuously variable transmission. 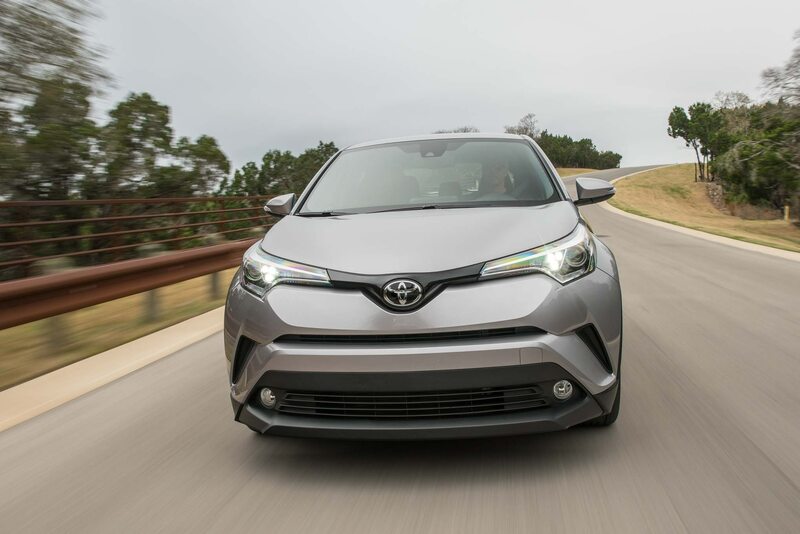 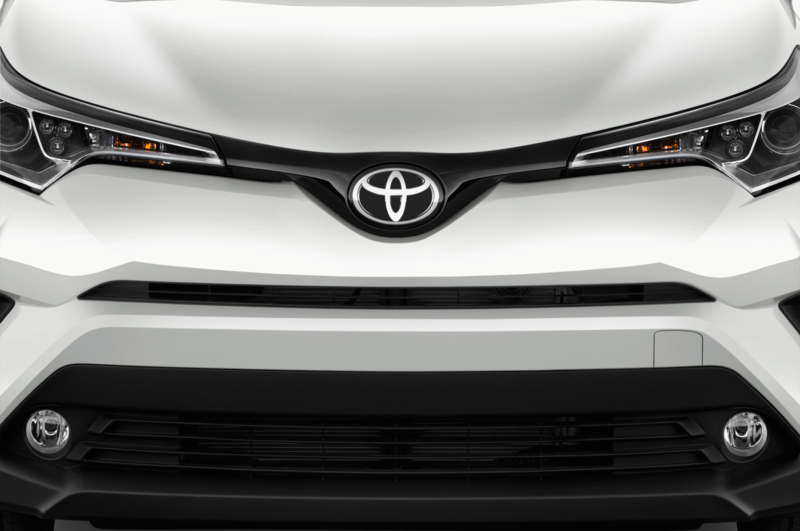 Other parts of the world will see all-wheel-drive and hybrid variants, but Toyota has yet to announce if or when either drivetrain will be offered in North America. 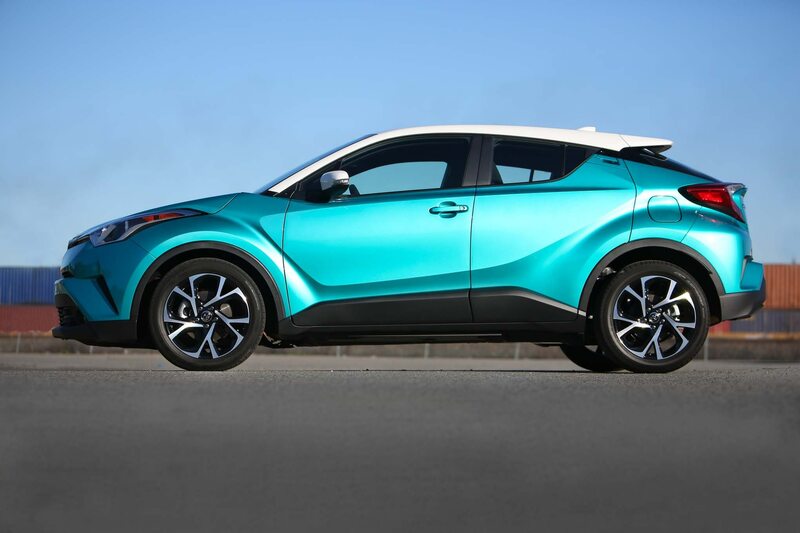 However, we’re counting on seeing one if not both arrive stateside in the future. 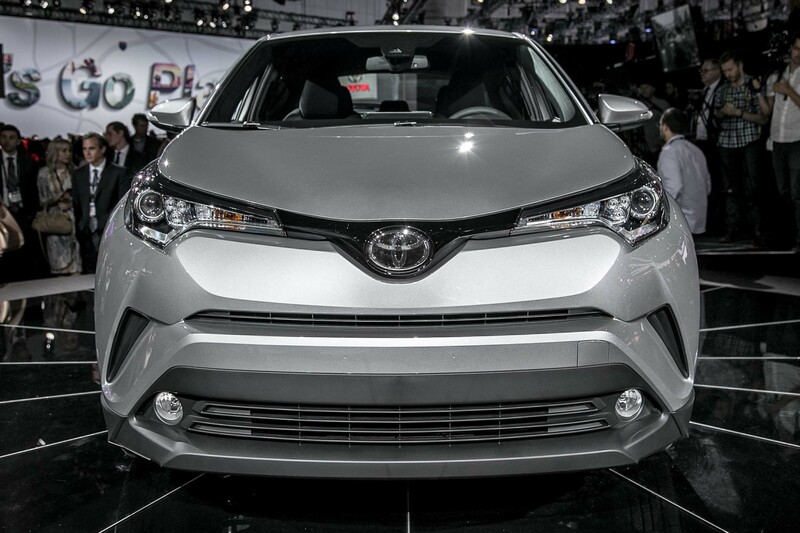 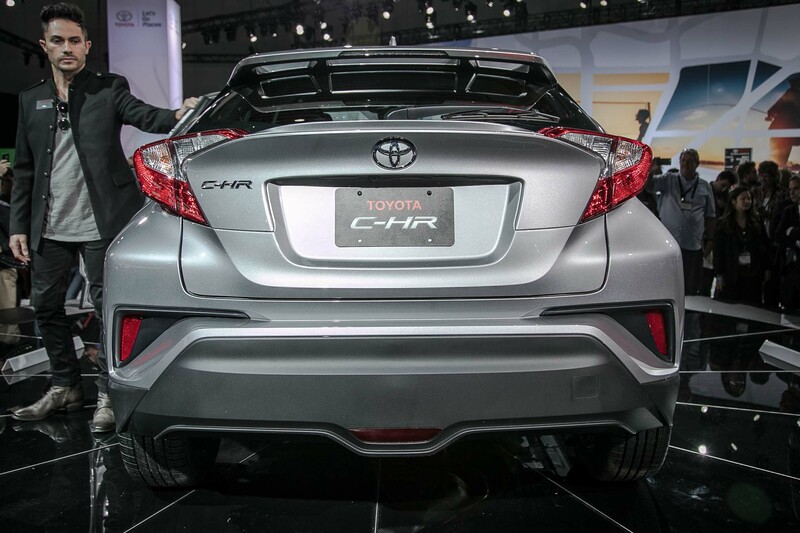 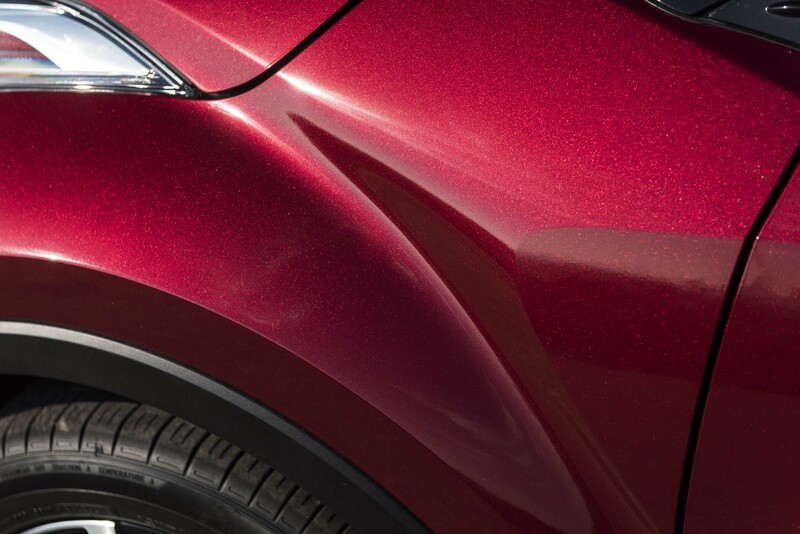 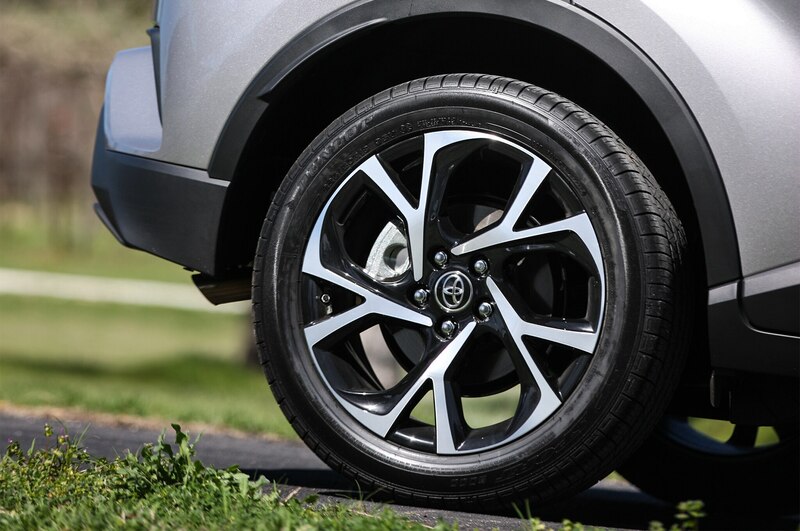 At launch, the U.S.-spec C-HR will be offered in two trims: XLE and XLE Premium. 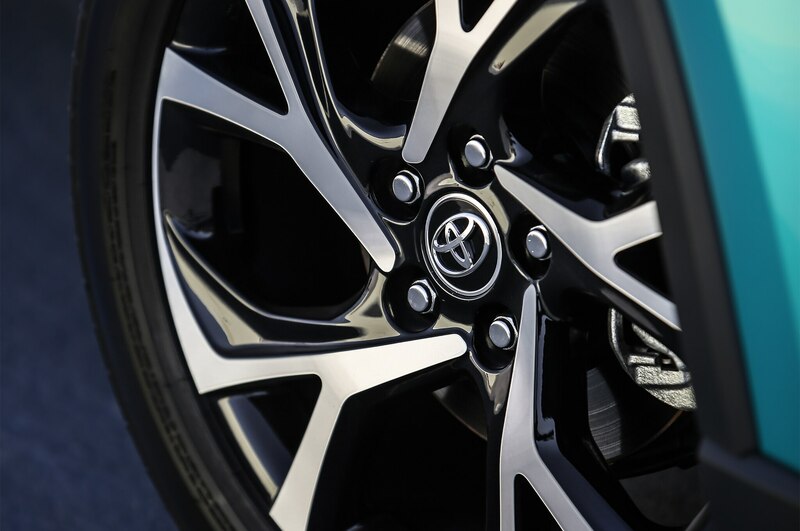 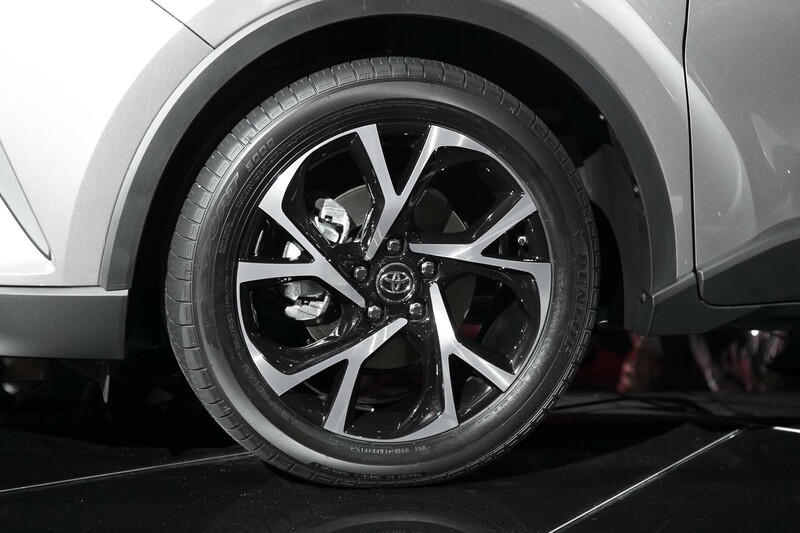 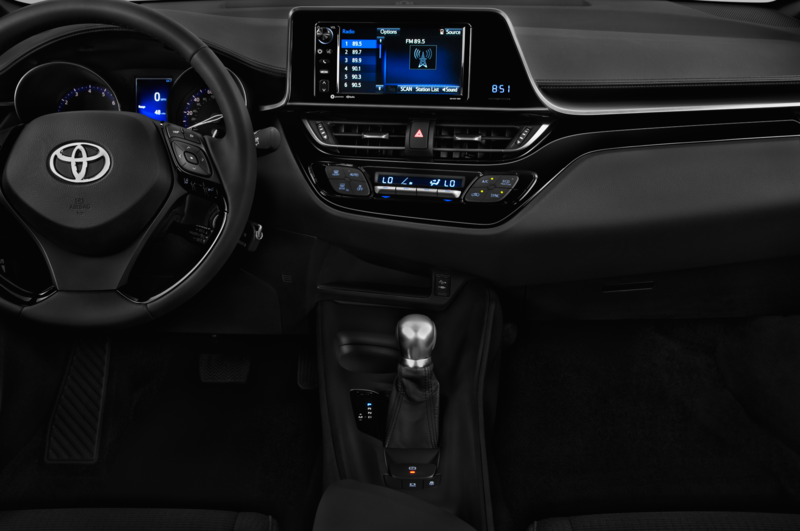 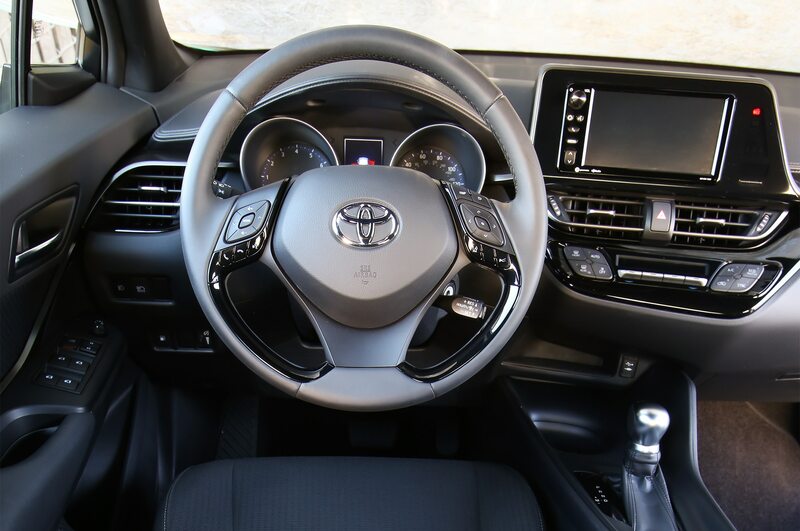 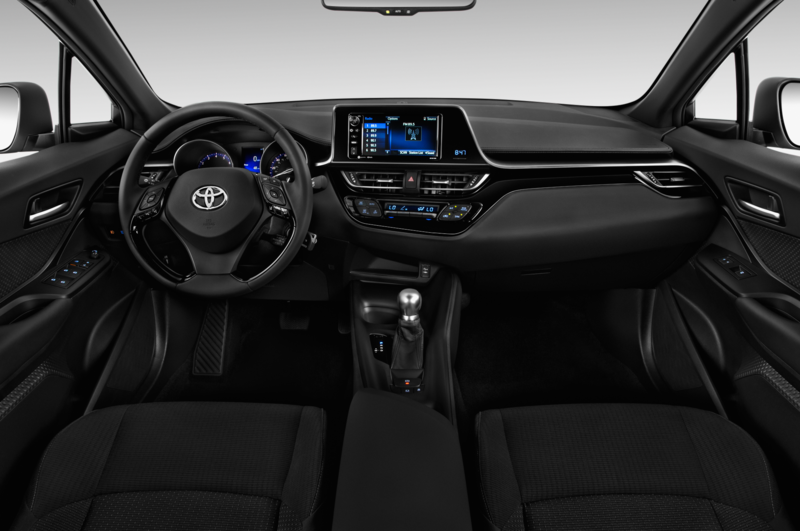 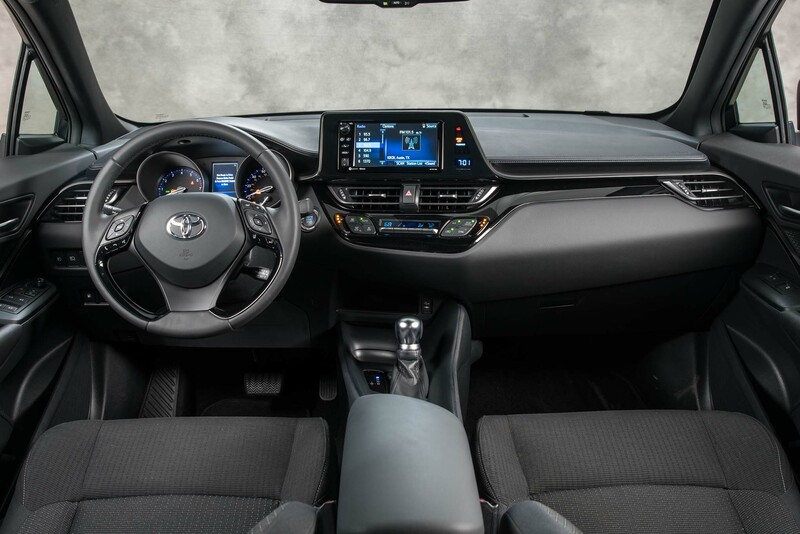 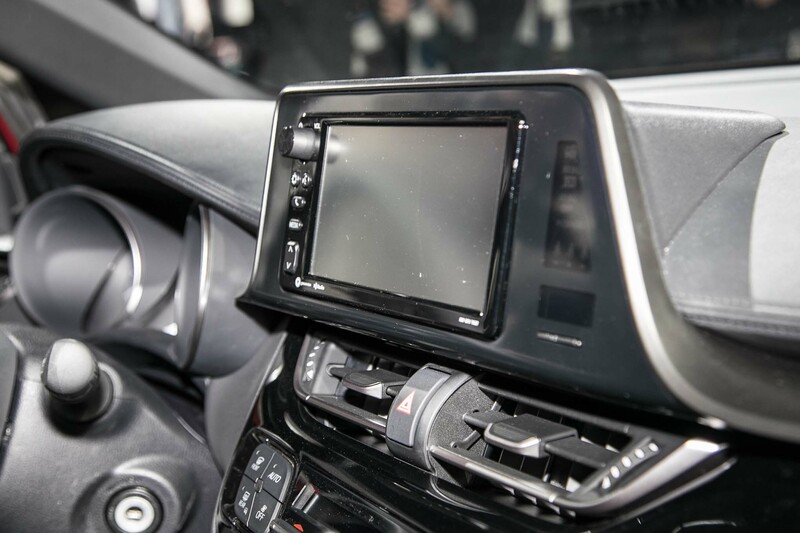 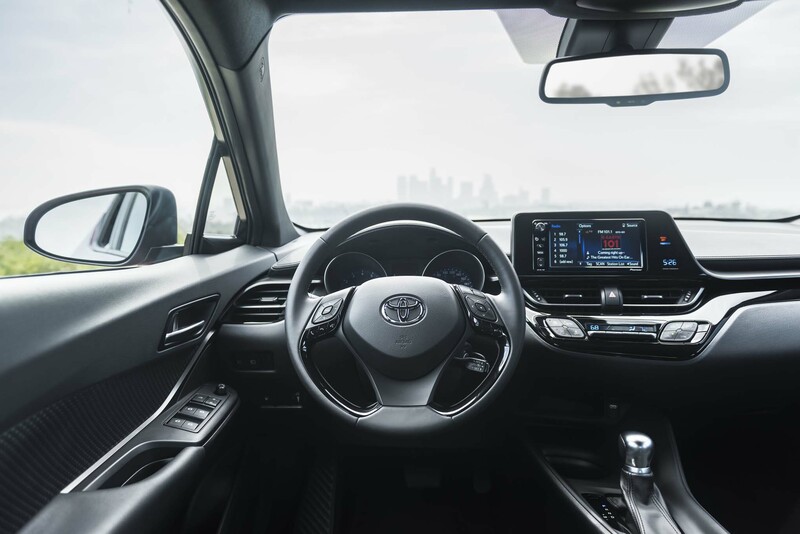 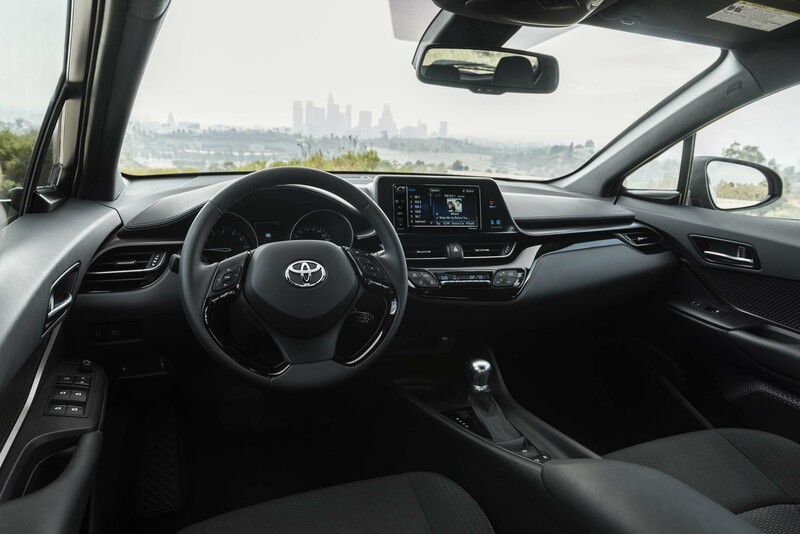 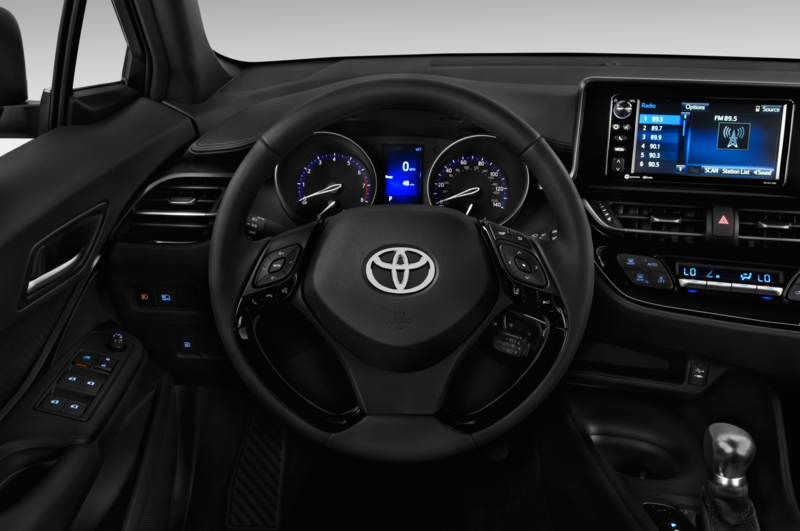 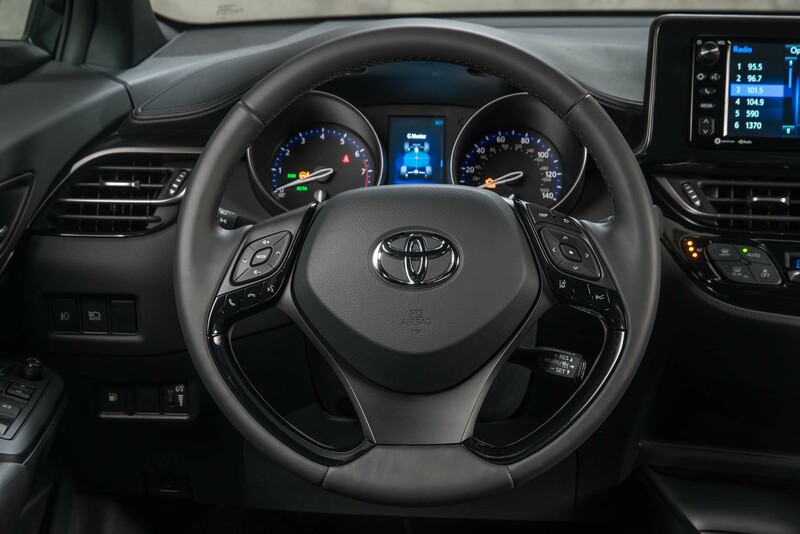 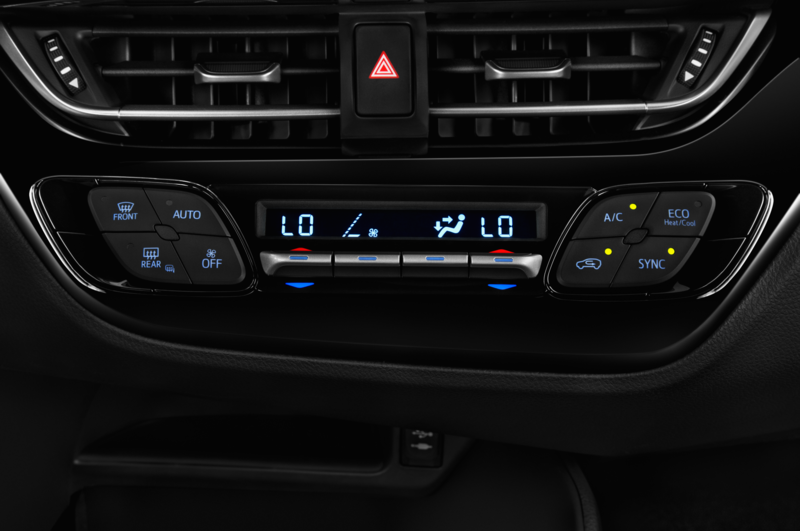 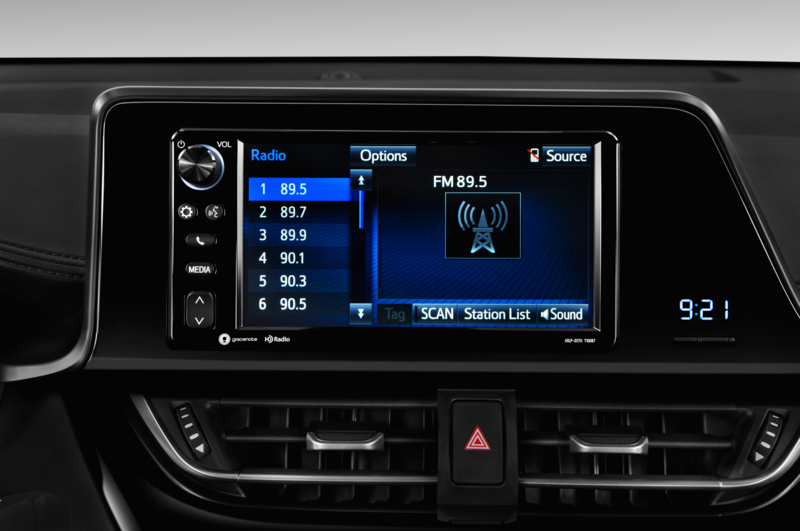 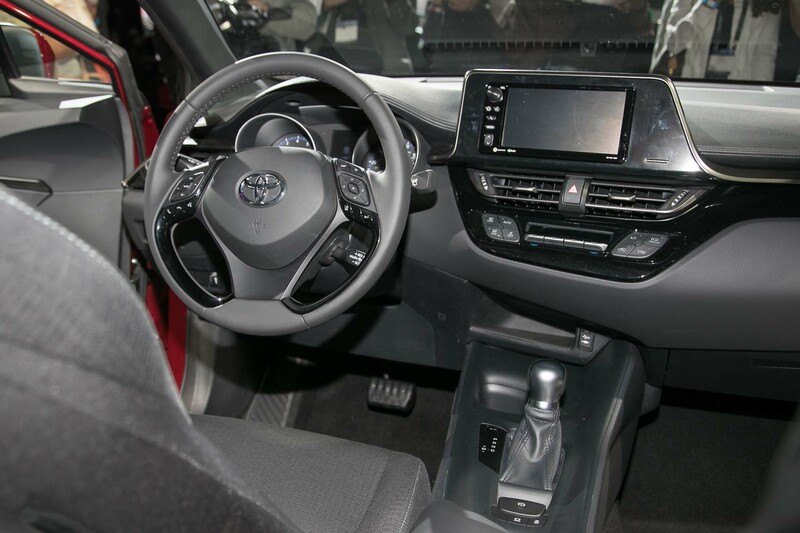 Both arrive with 18-inch alloy wheels, dual-zone climate control, a 7-inch touchscreen infotainment display, and Toyota Safety Sense P (TSS-P) as standard equipment. 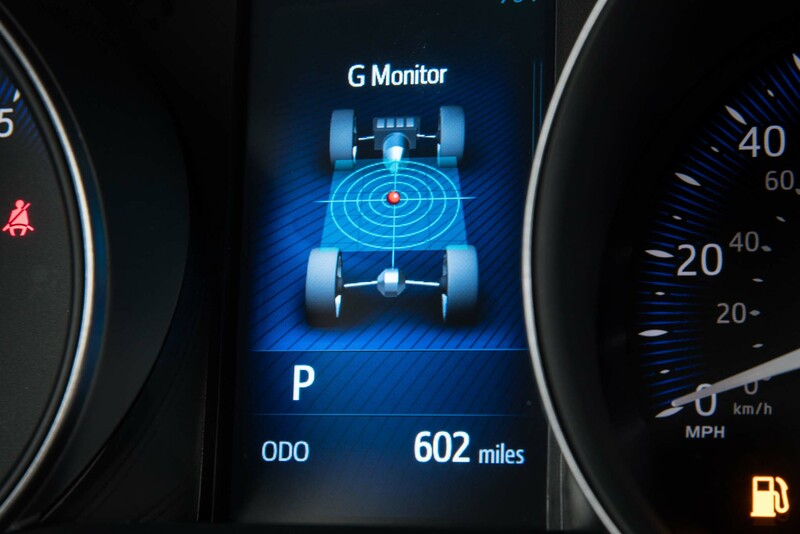 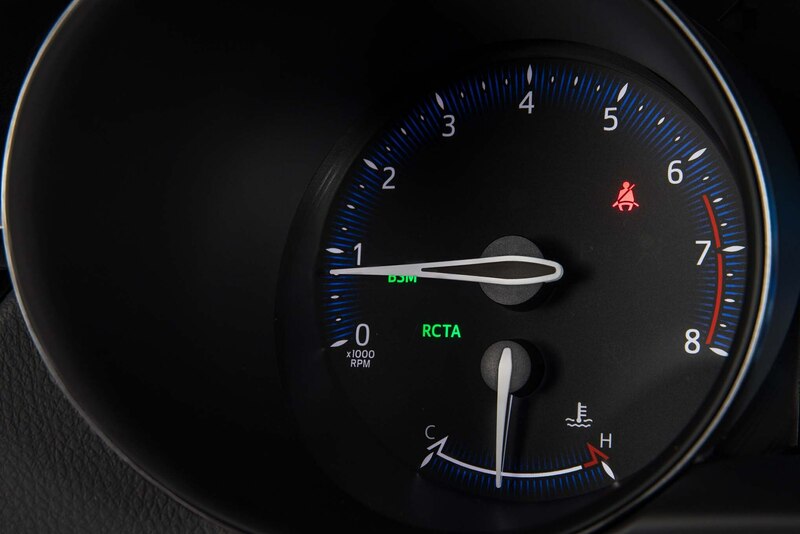 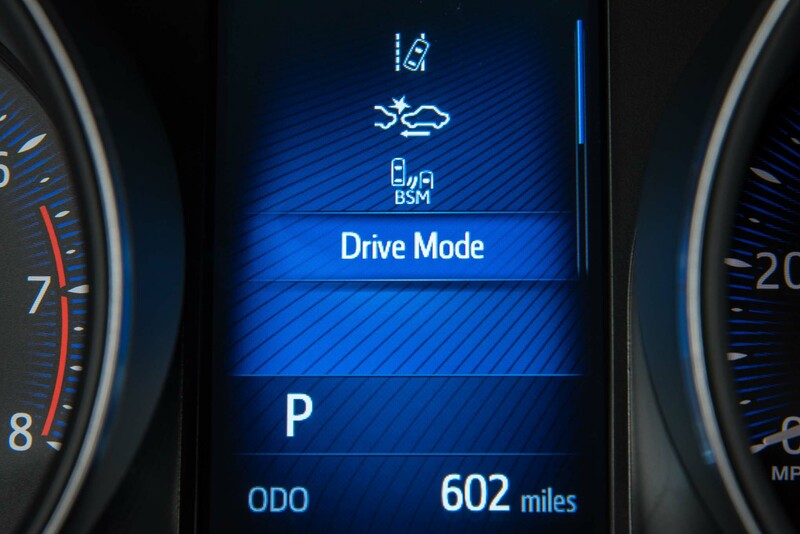 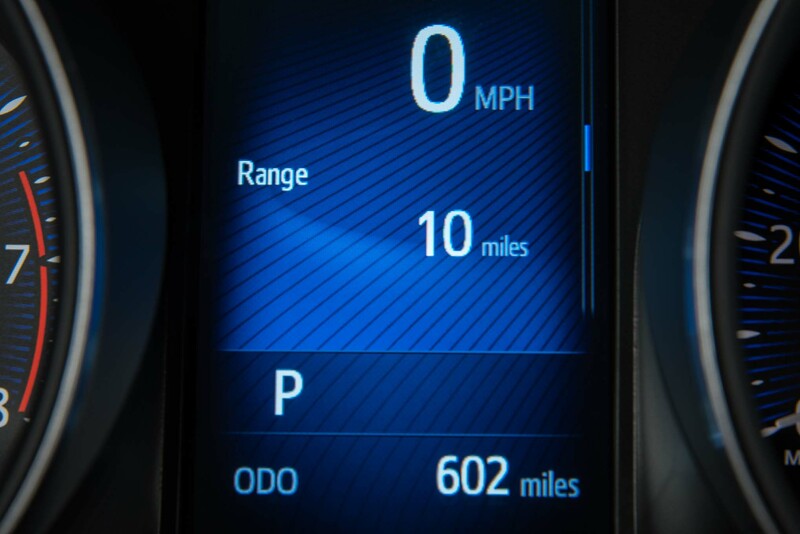 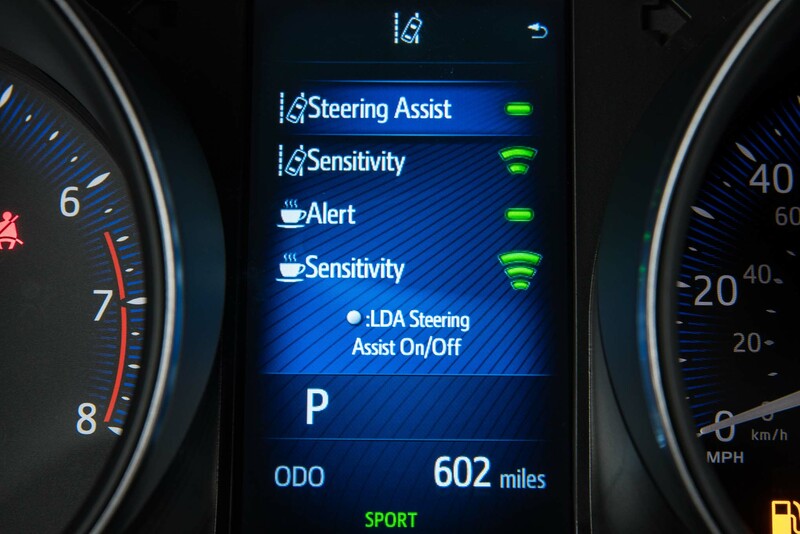 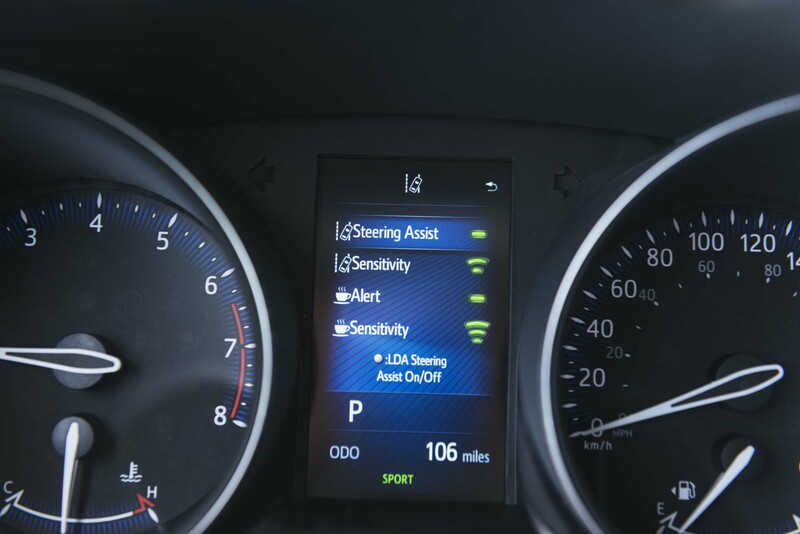 TSS-P is a bundle of safety technologies that include pre-collision and pedestrian detection functions, which automatically apply emergency braking if the driver fails to, along with lane departure alerting, assisted steering, automatic high beans, and dynamic radar cruise control. 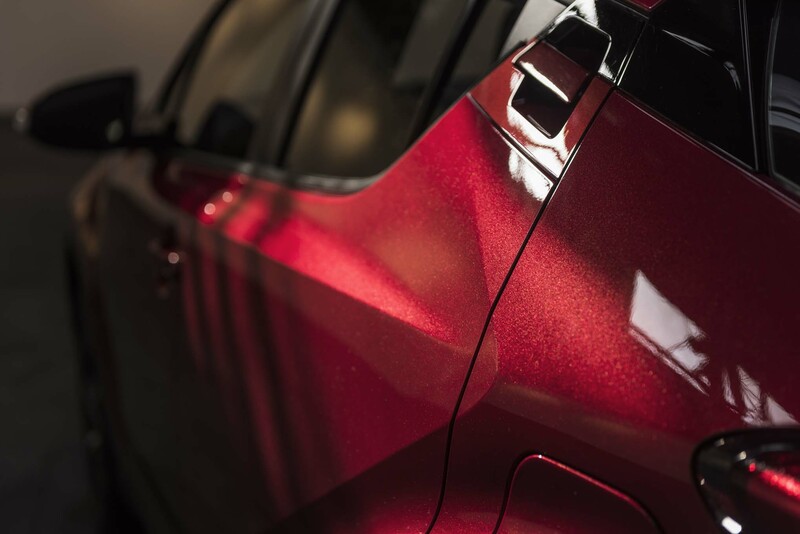 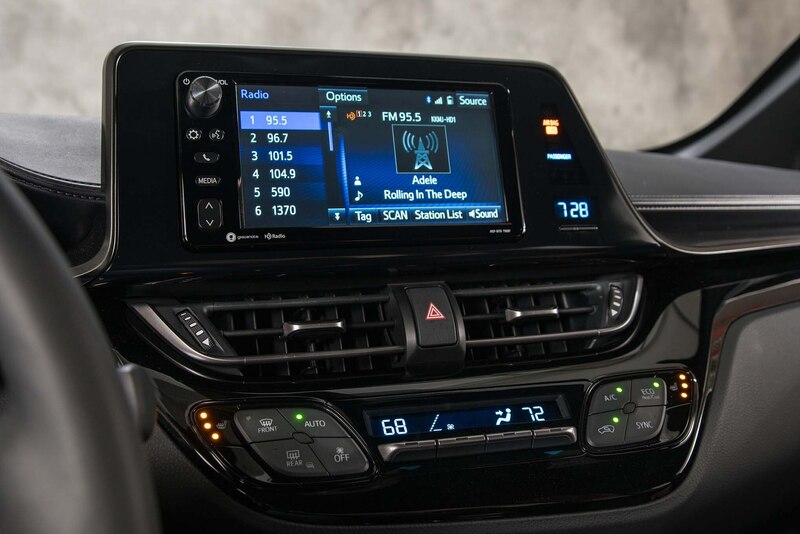 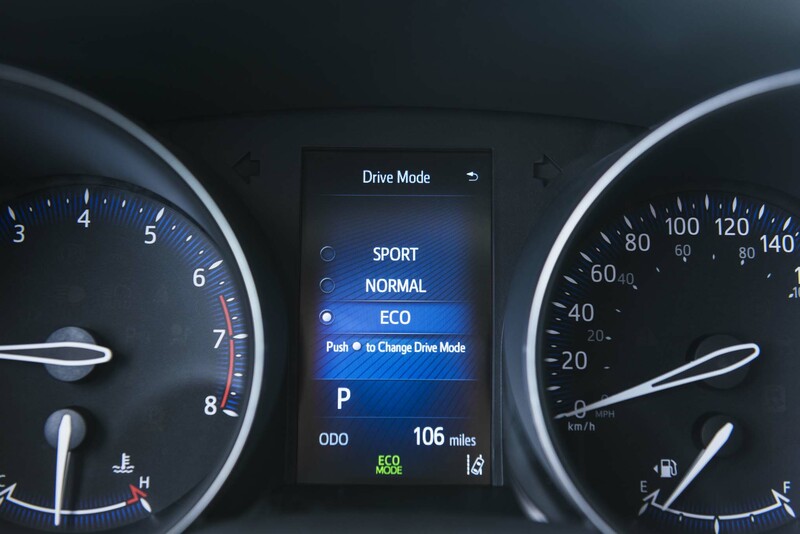 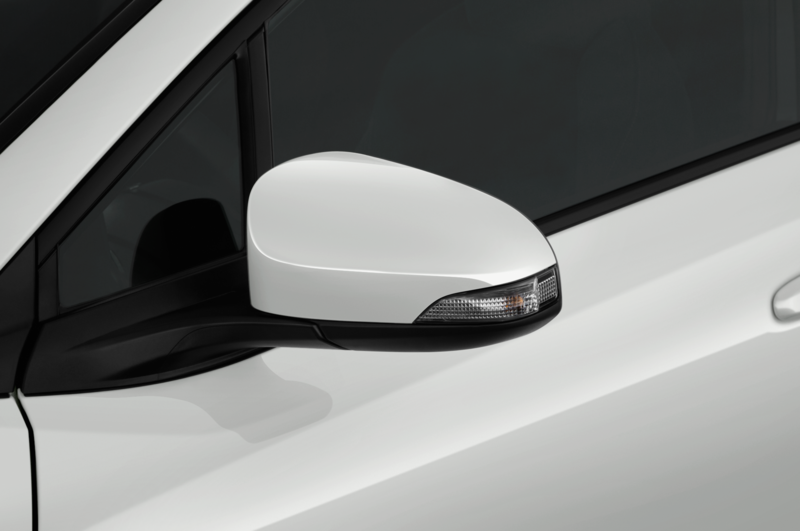 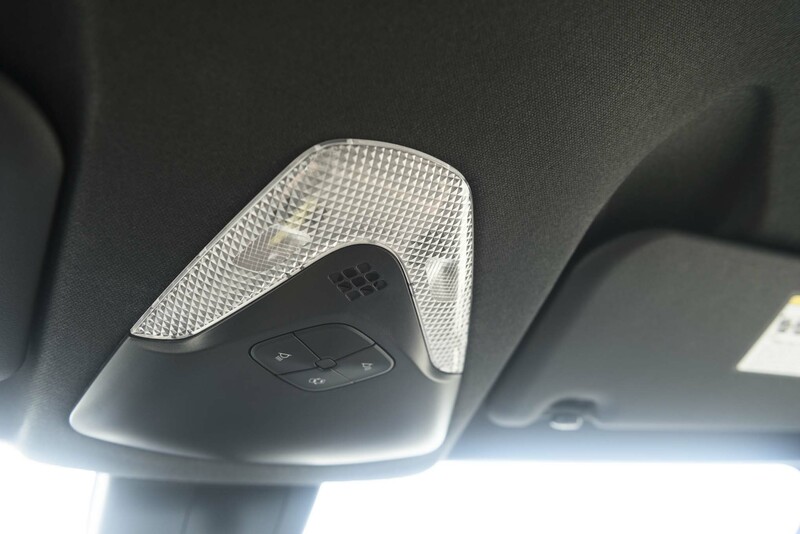 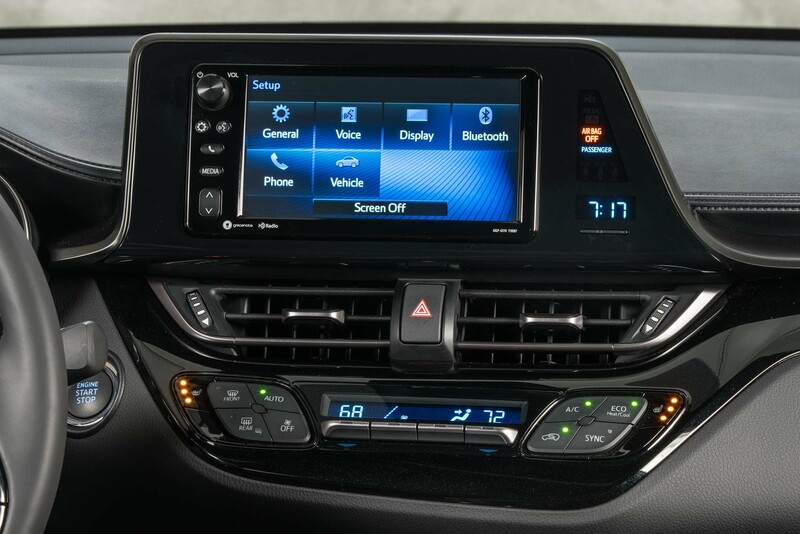 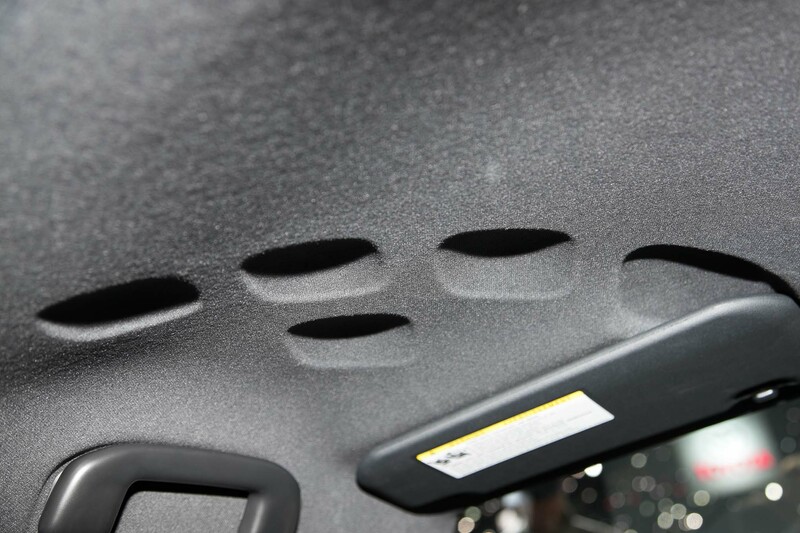 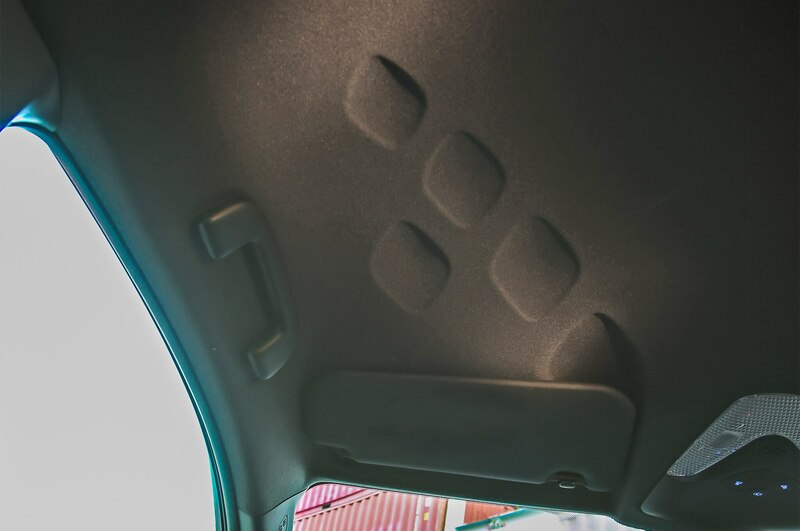 Coupled with a standard suite of 10 airbags, hill-start assist, and a rear backup camera, the only safety equipment offered outside of that is blind spot monitoring system with rear cross traffic alerts, an option that’s exclusive to the XLE Premium. 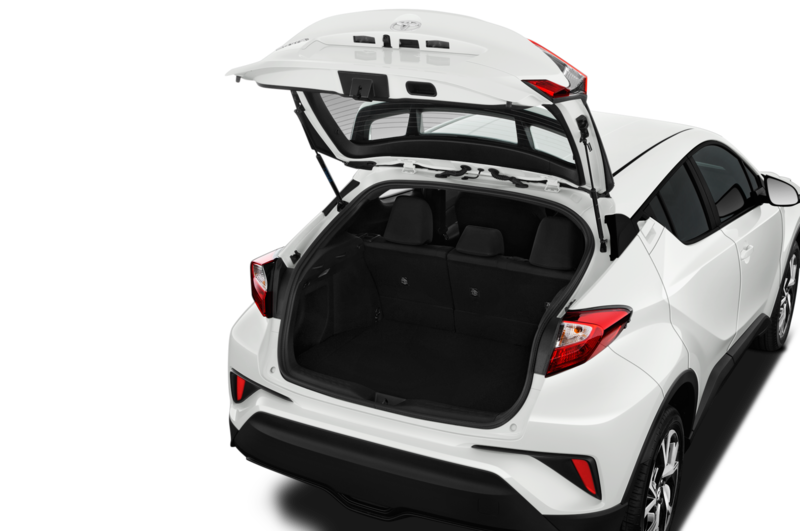 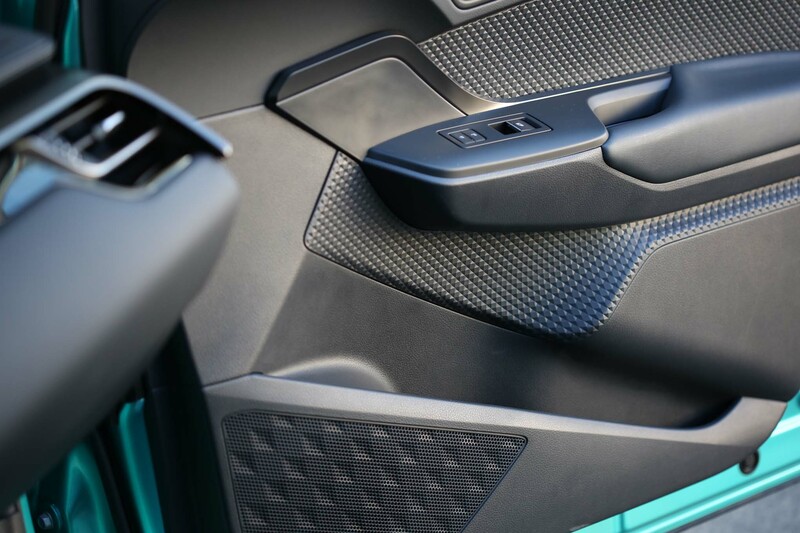 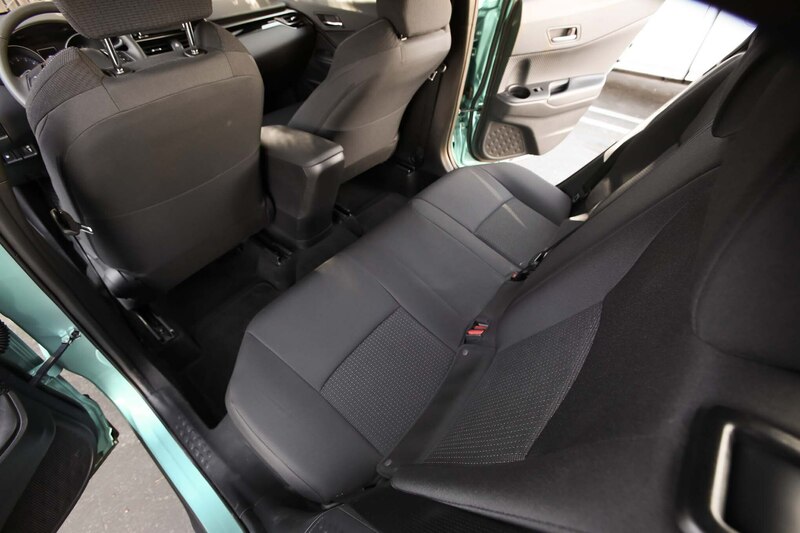 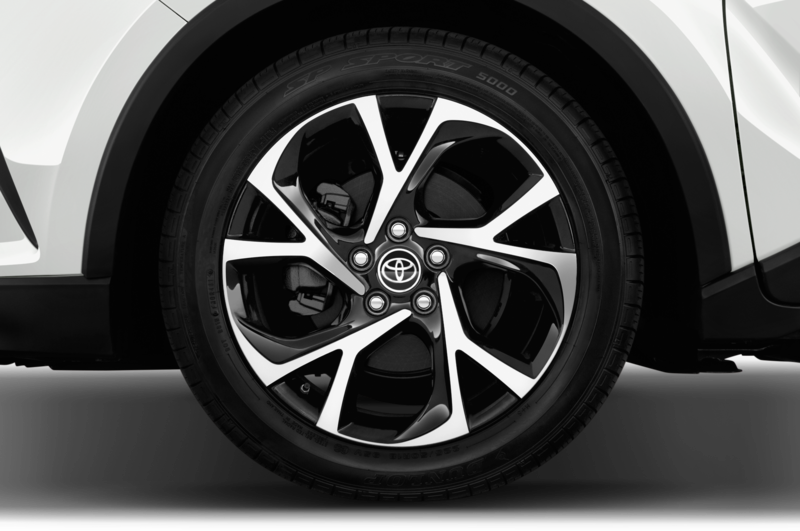 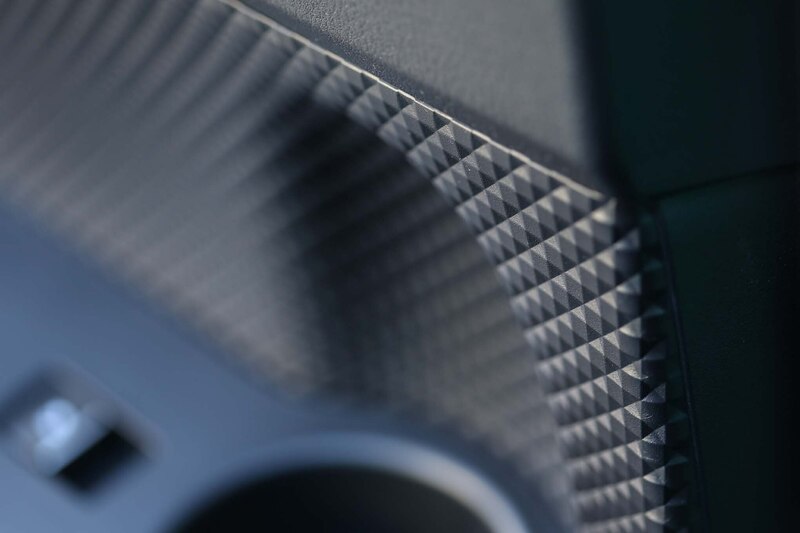 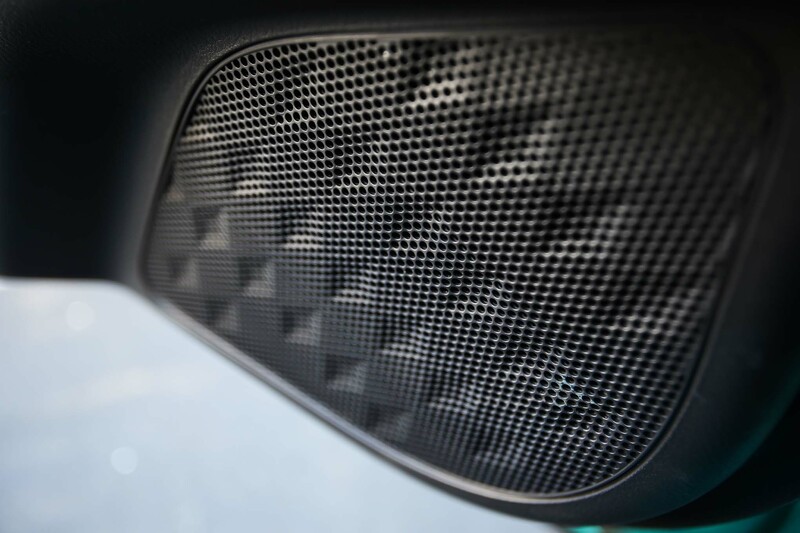 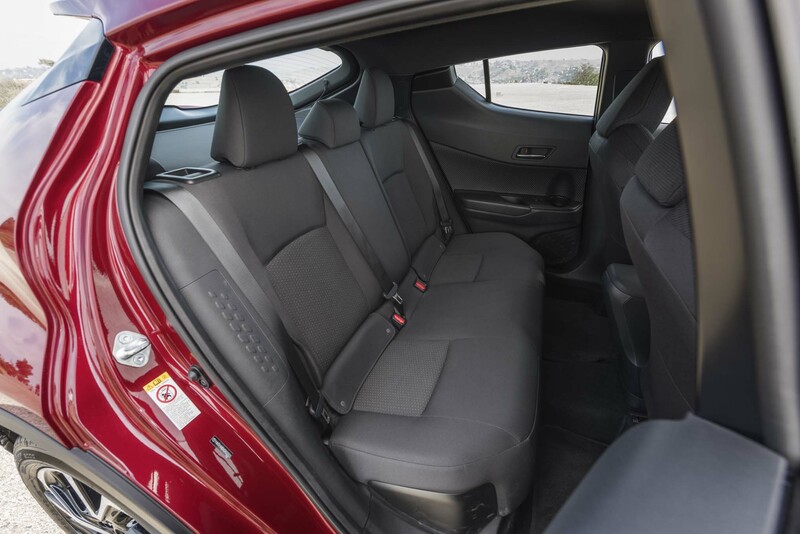 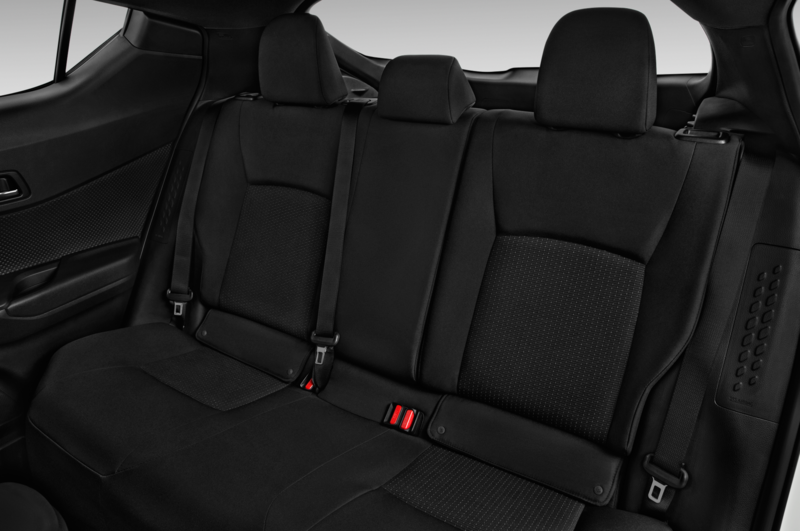 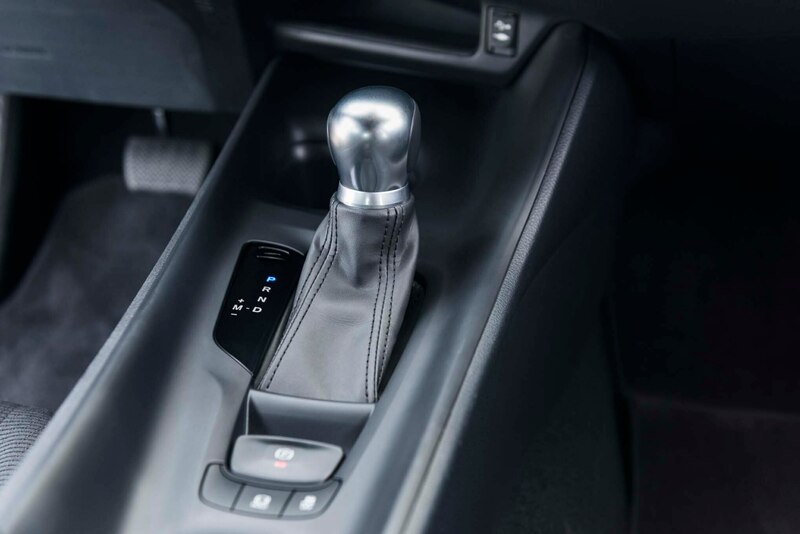 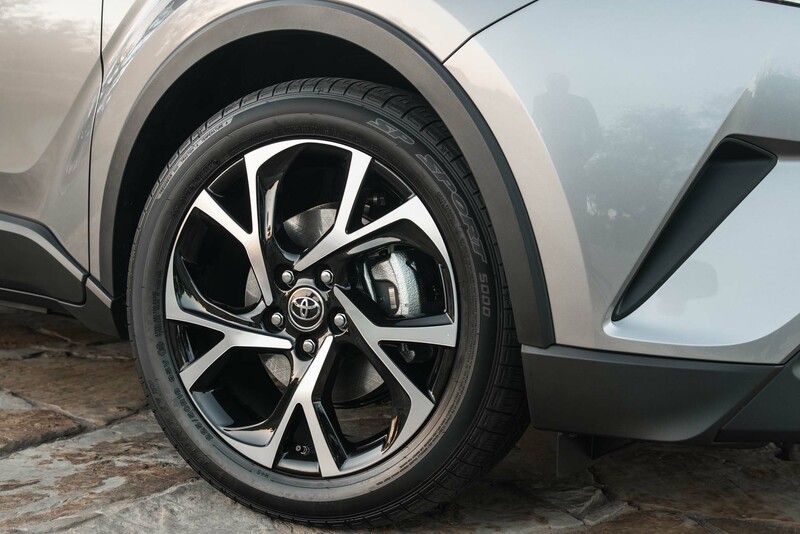 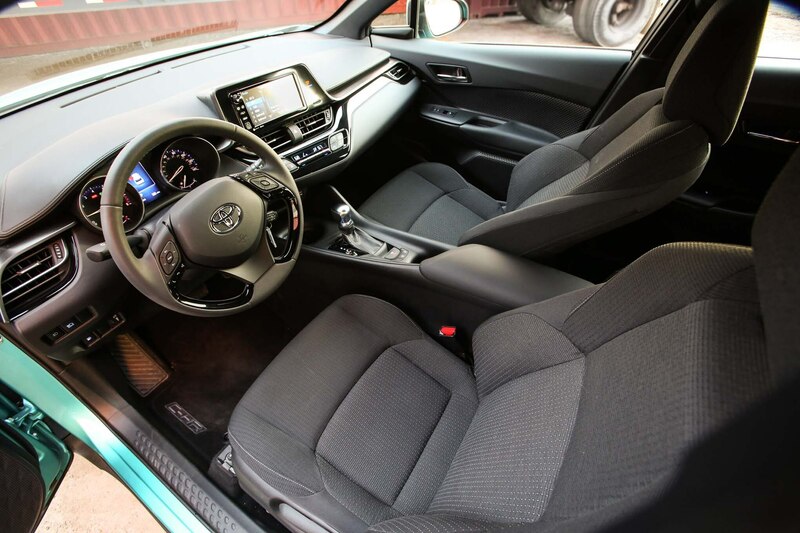 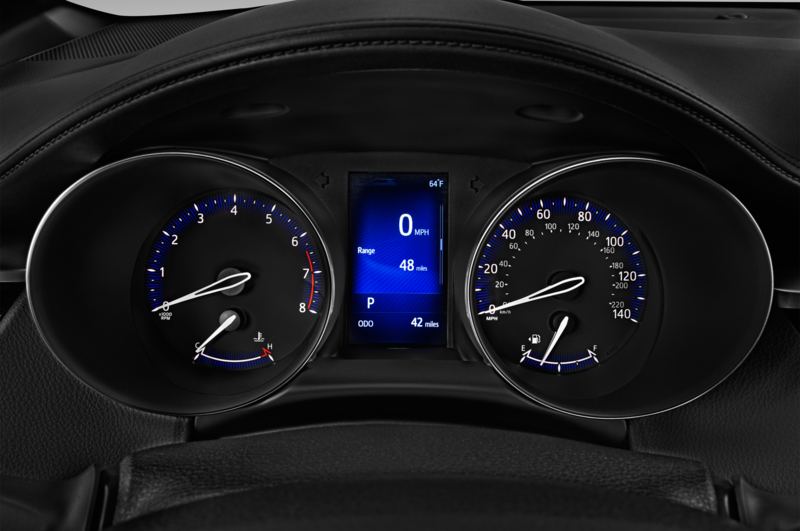 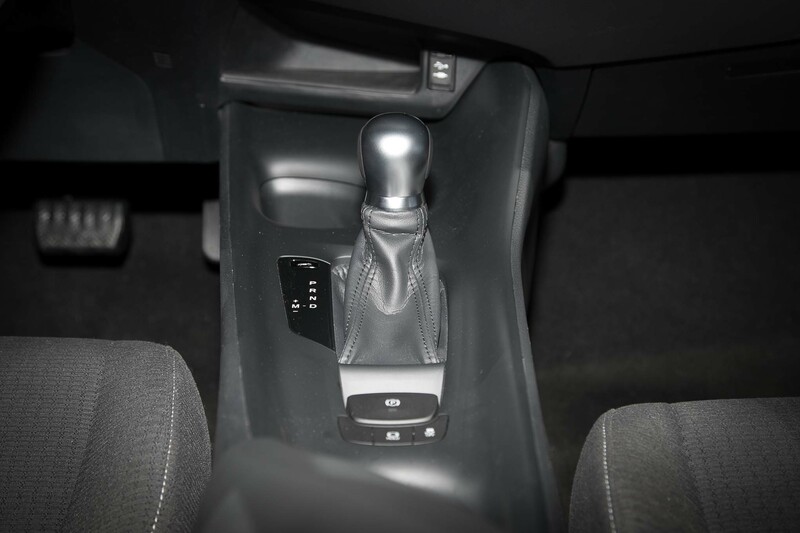 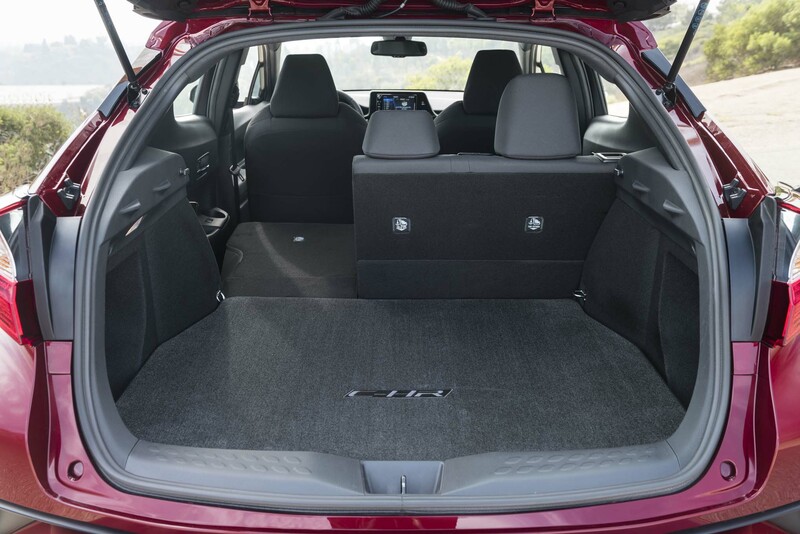 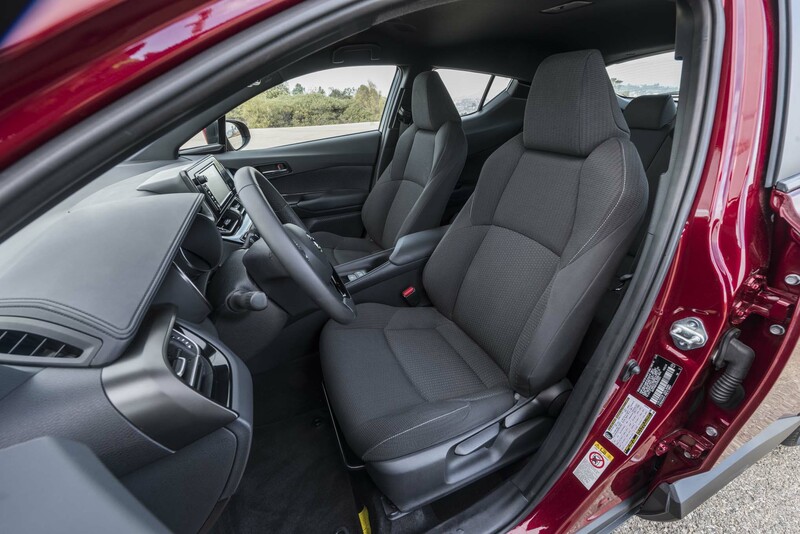 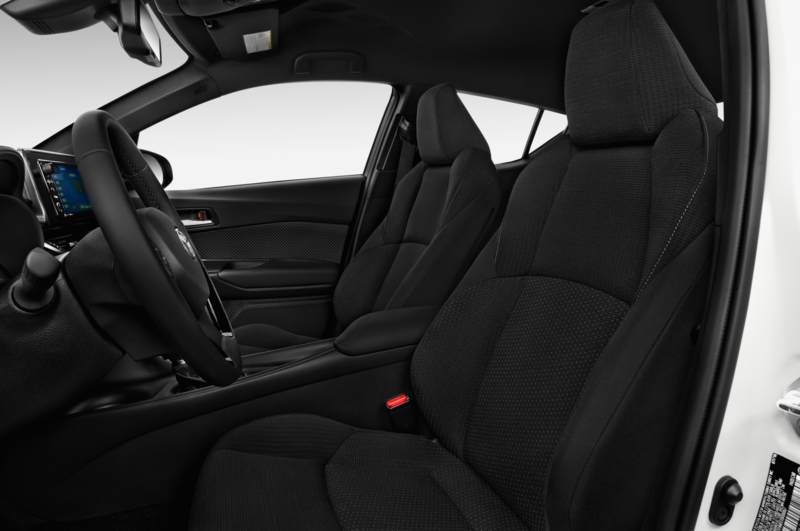 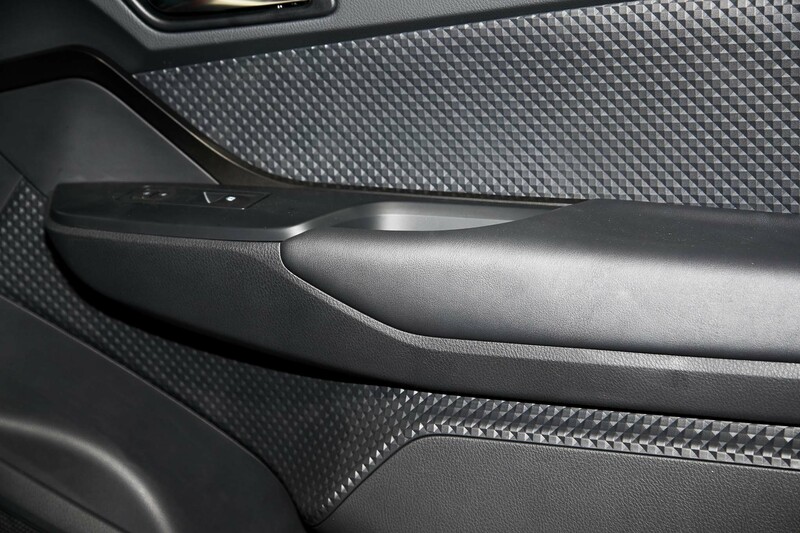 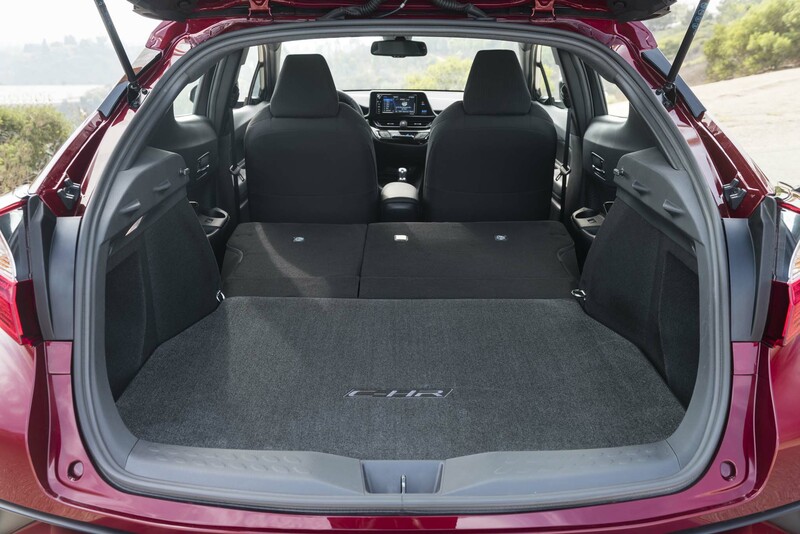 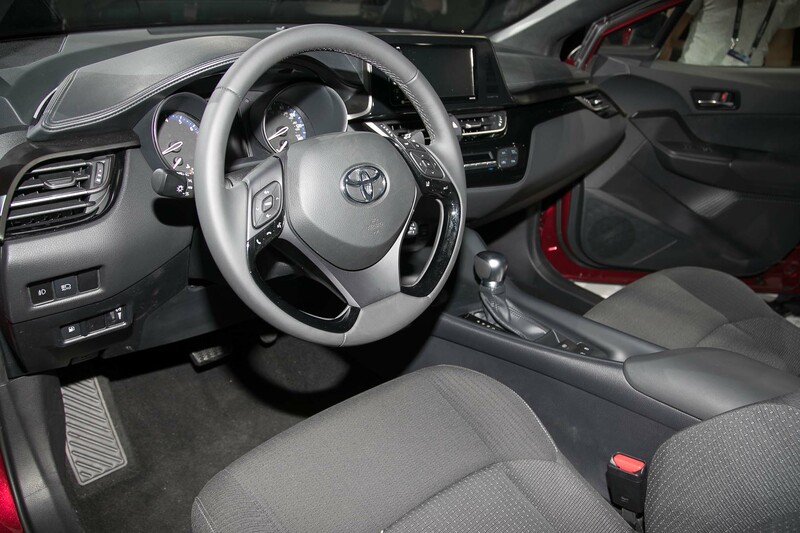 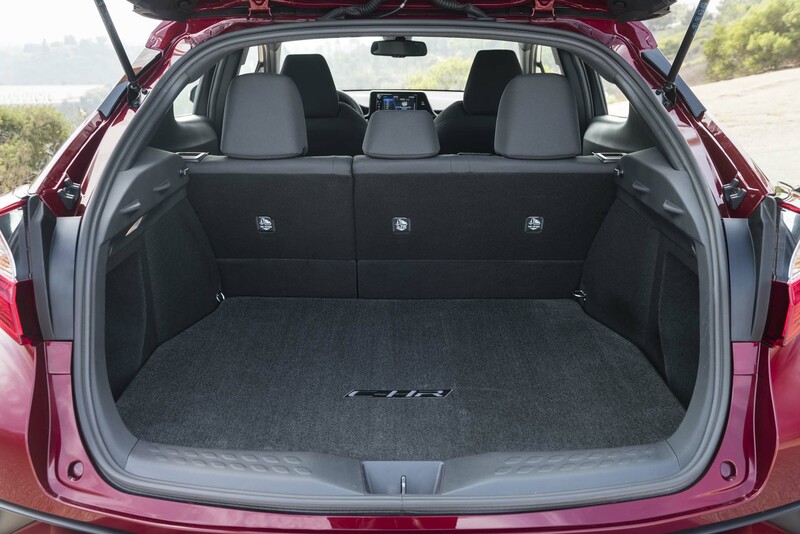 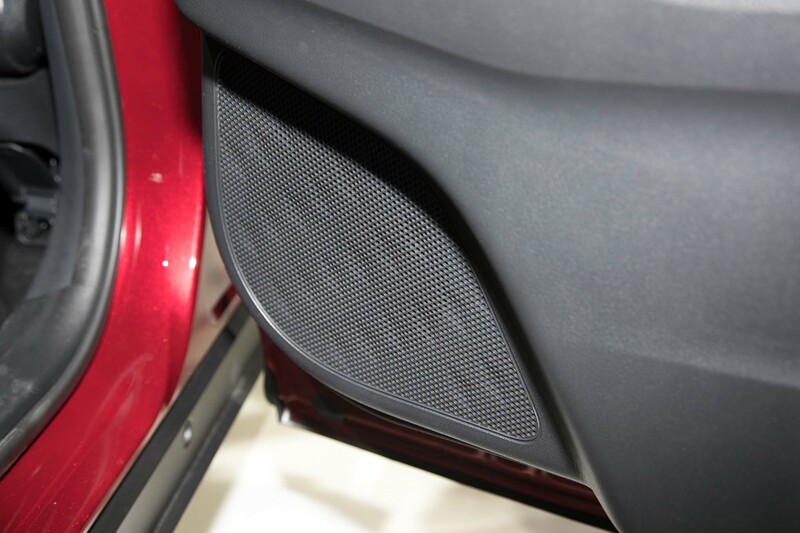 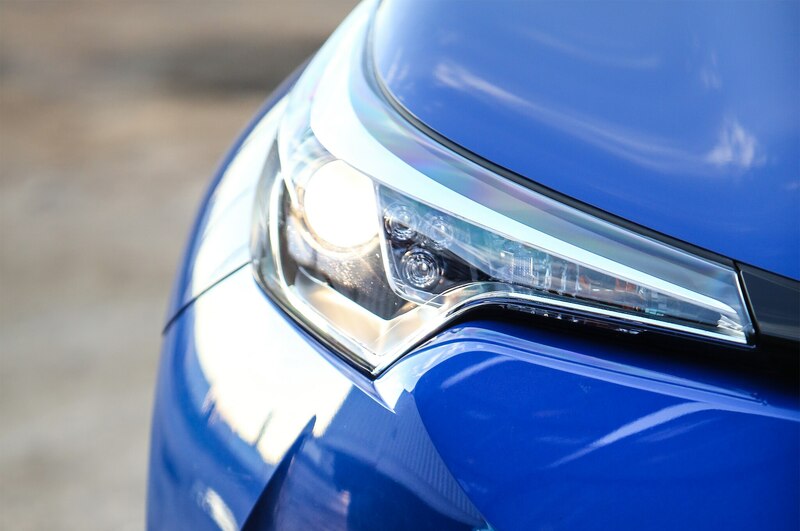 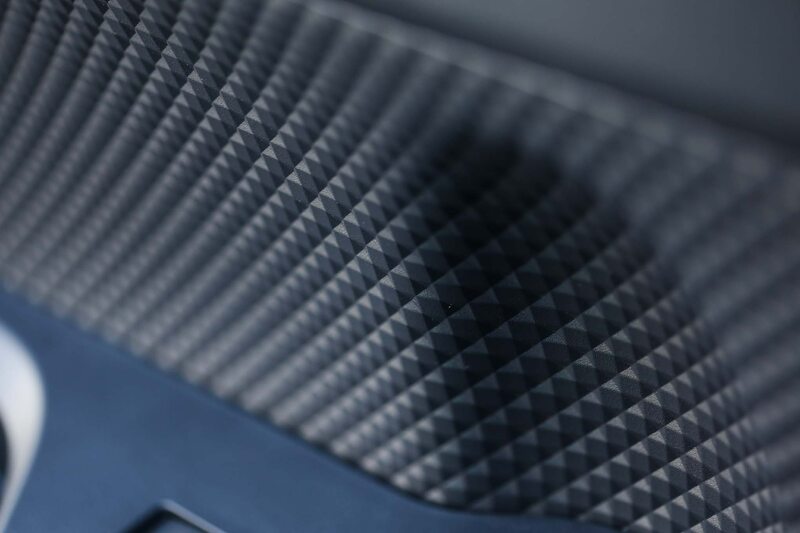 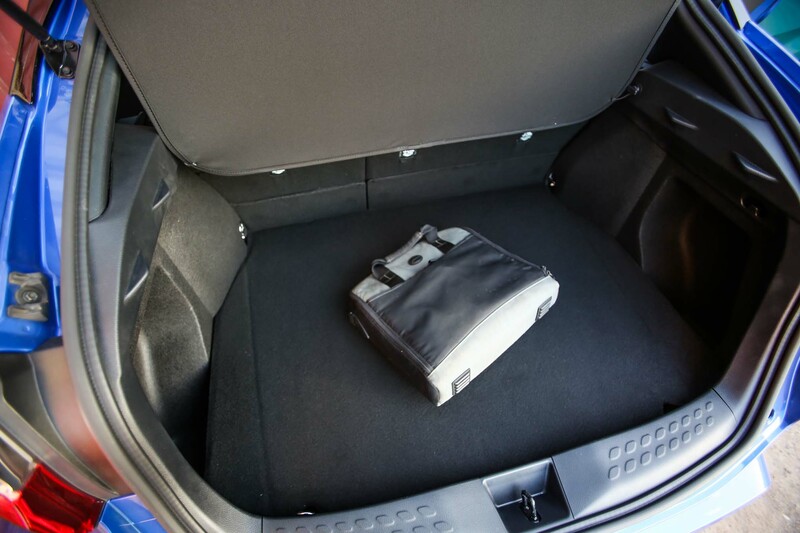 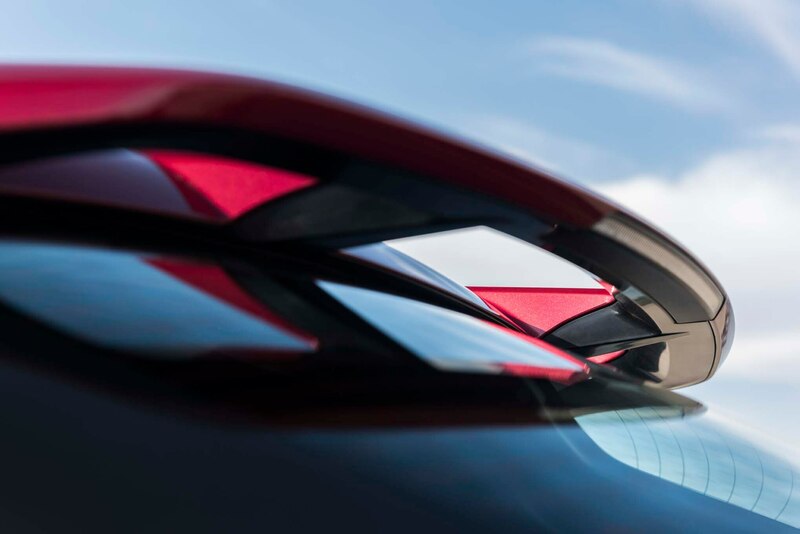 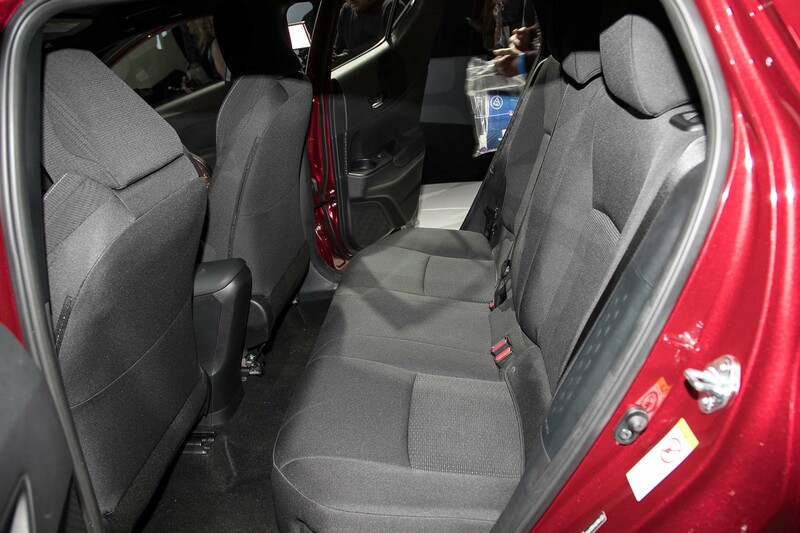 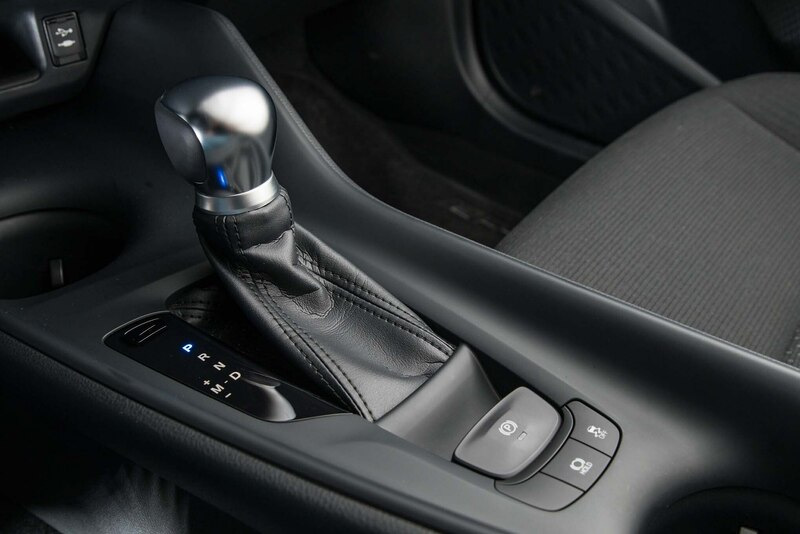 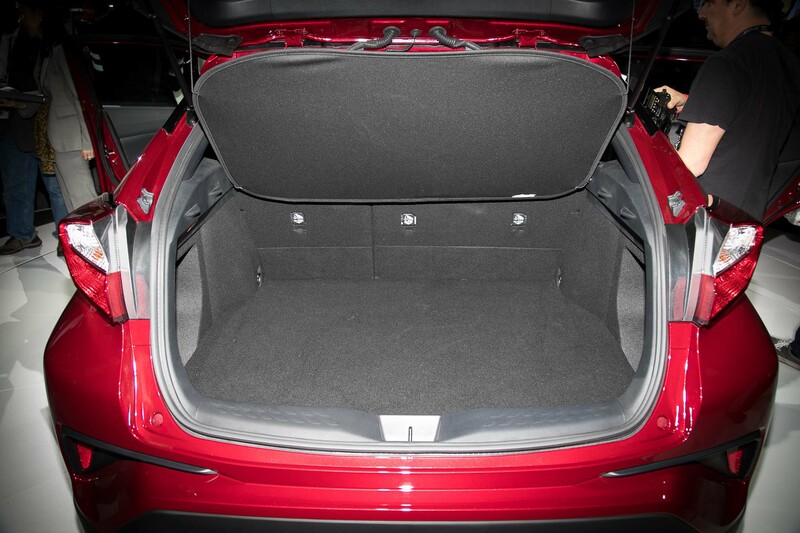 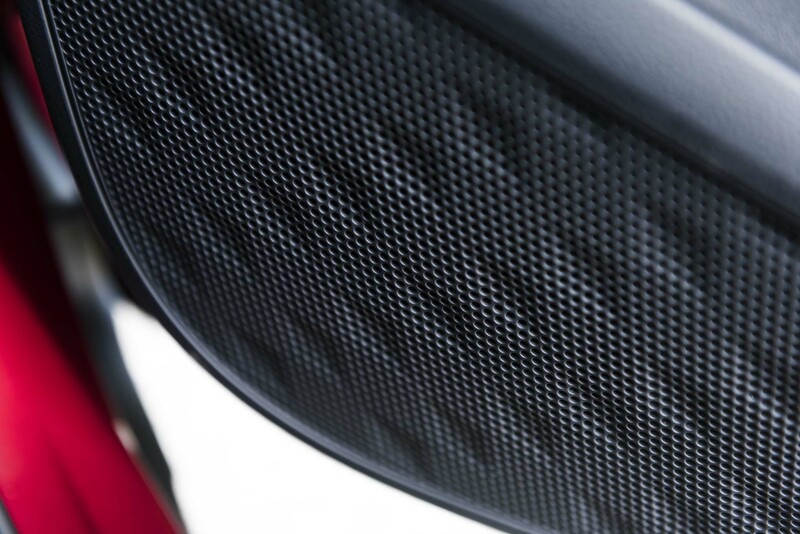 Additional niceties included in the XLE Premium are heated front seats with power lumbar for the driver and auto folding, heated side mirrors, which include puddle lamps that project a “Toyota C-HR” logo onto the ground. 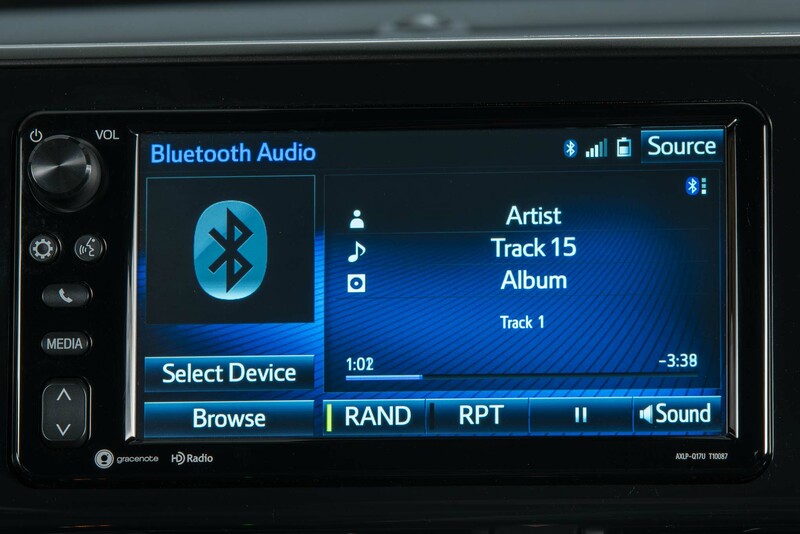 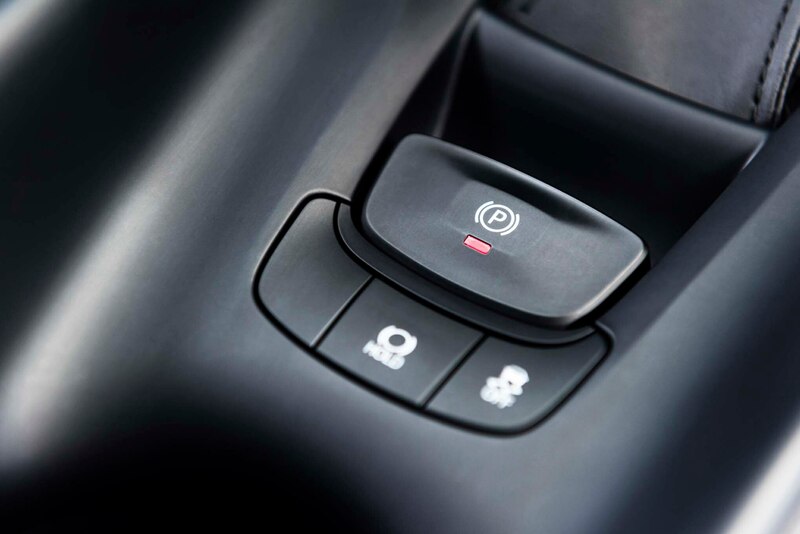 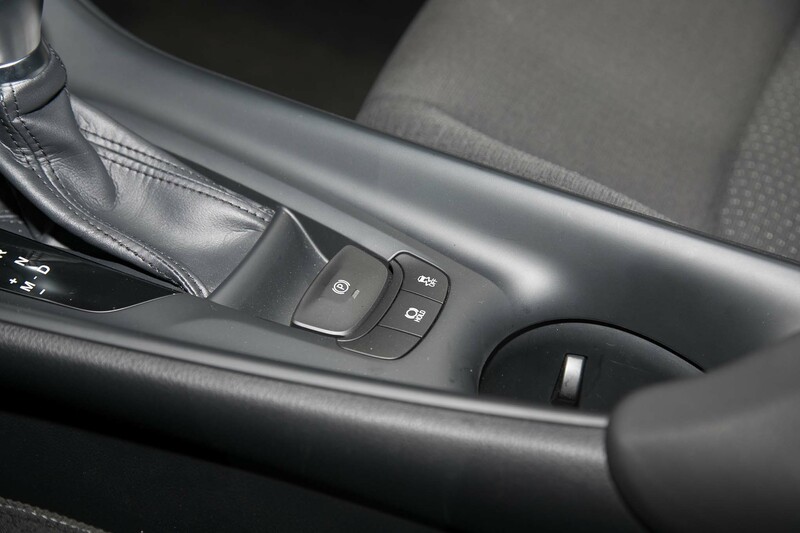 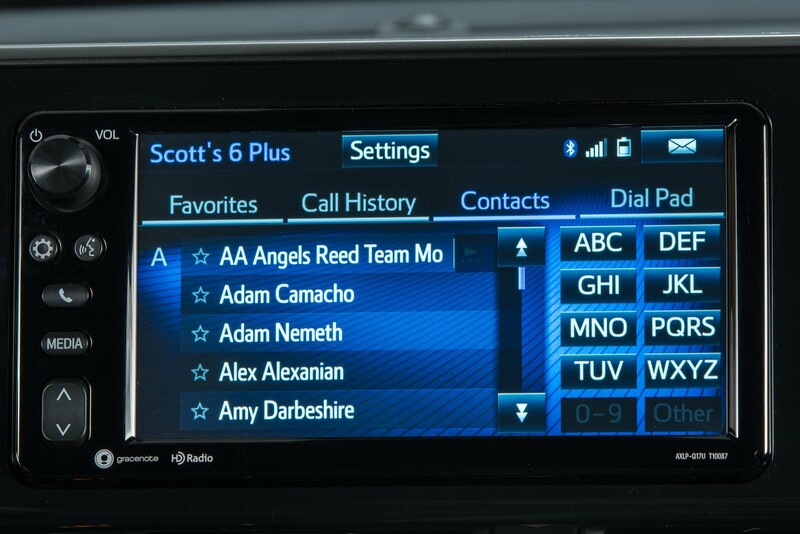 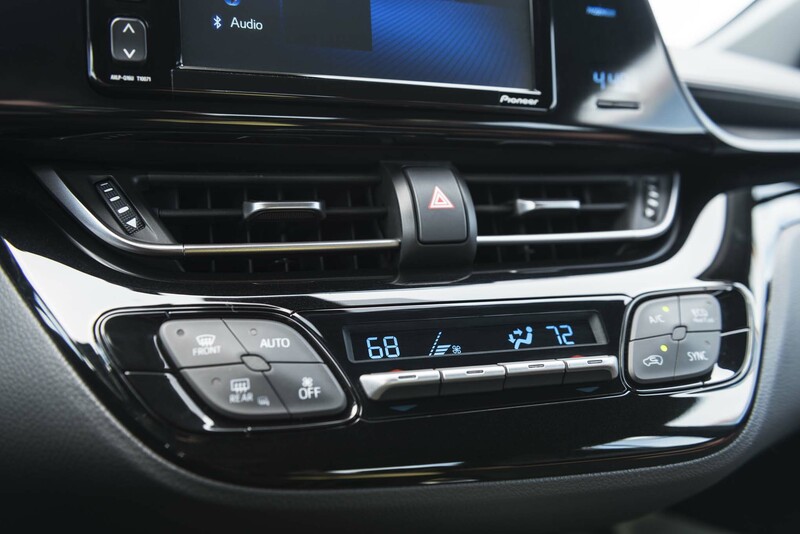 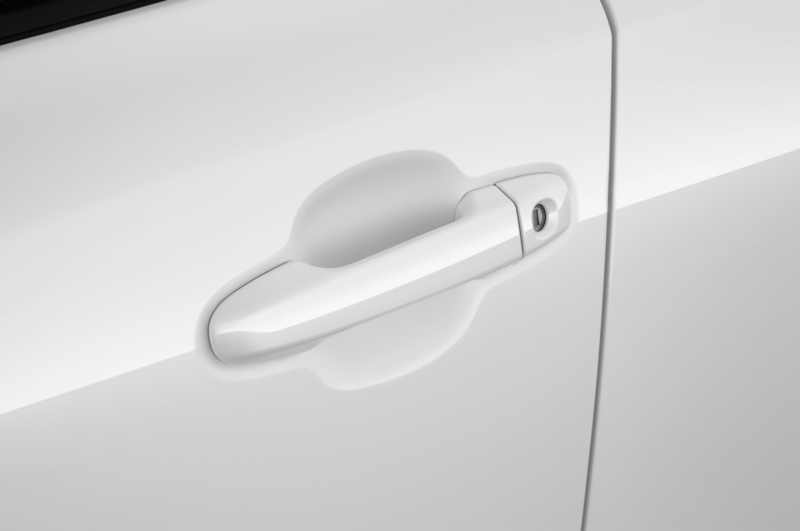 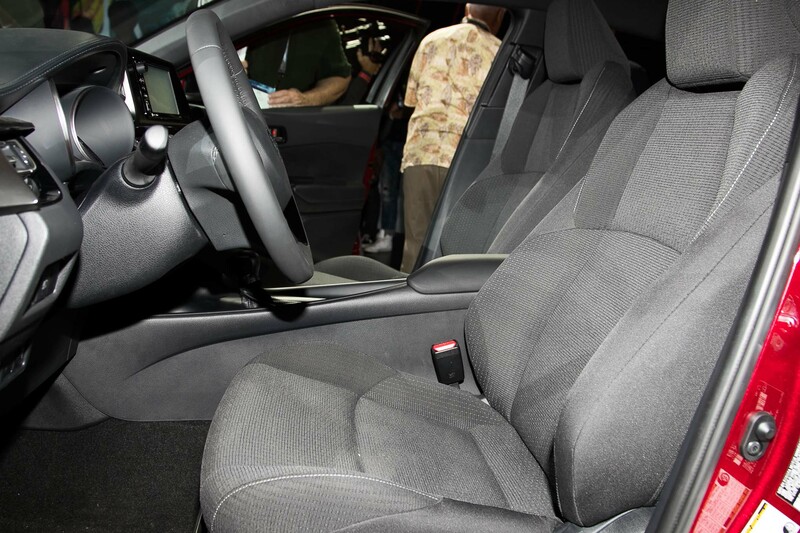 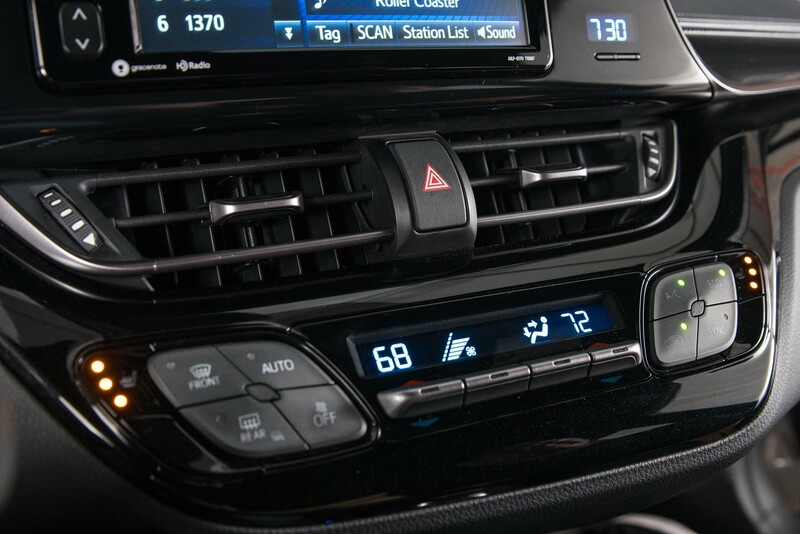 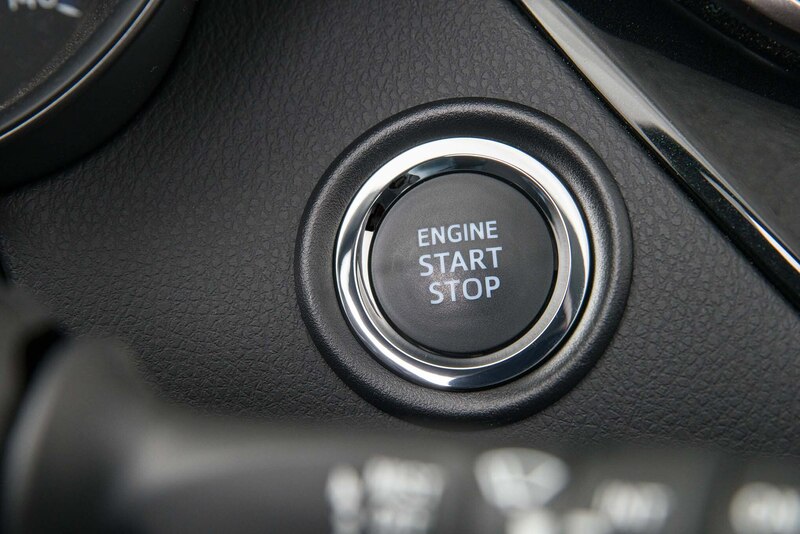 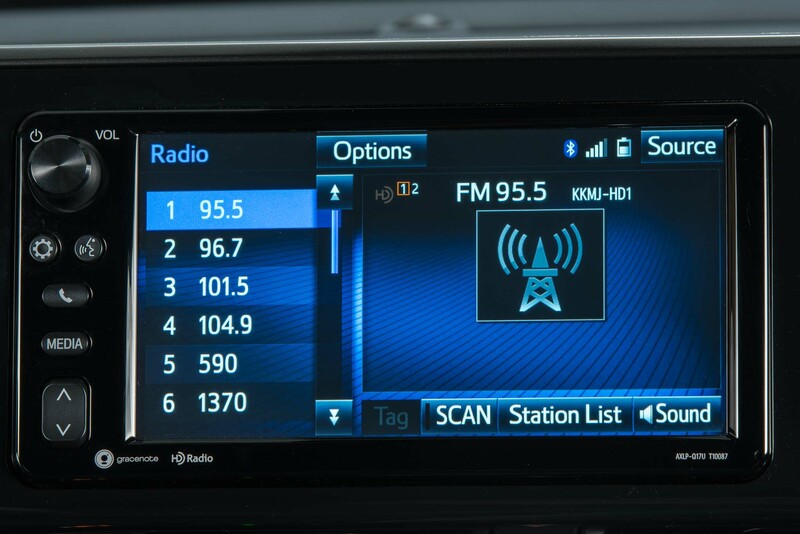 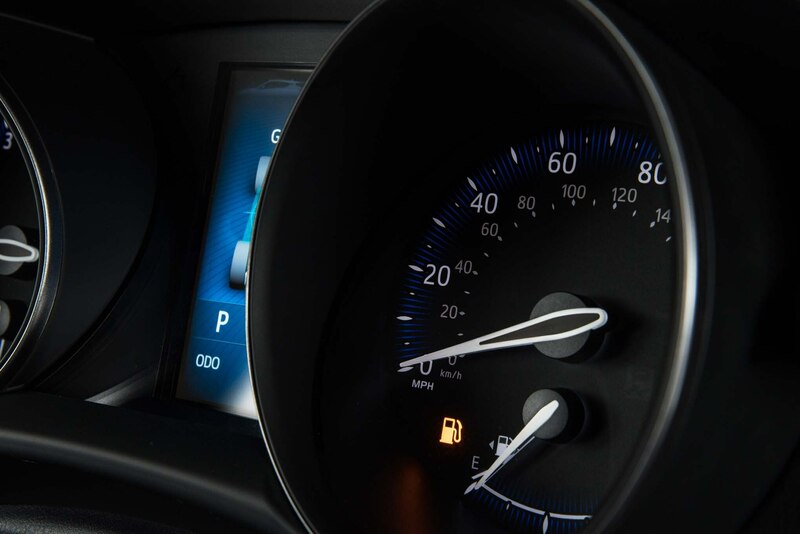 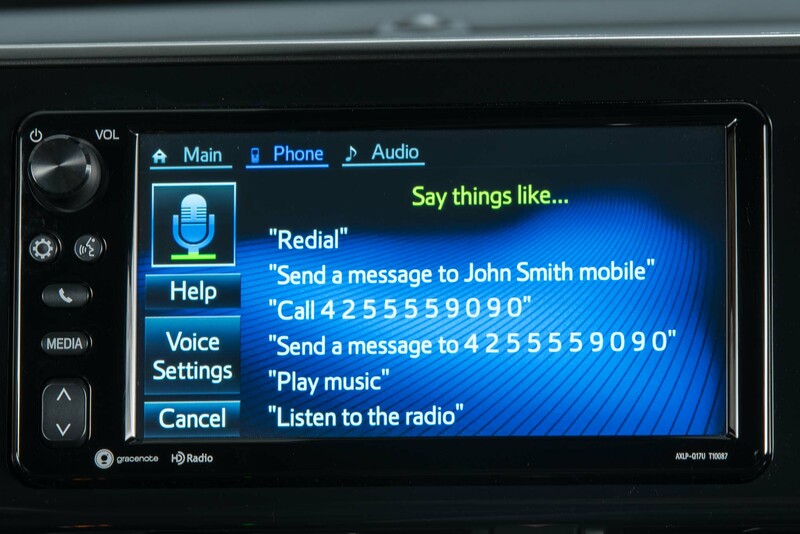 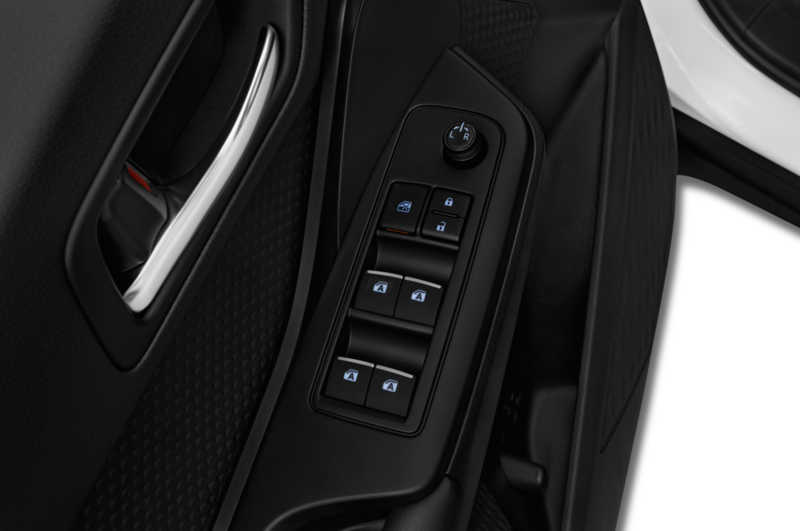 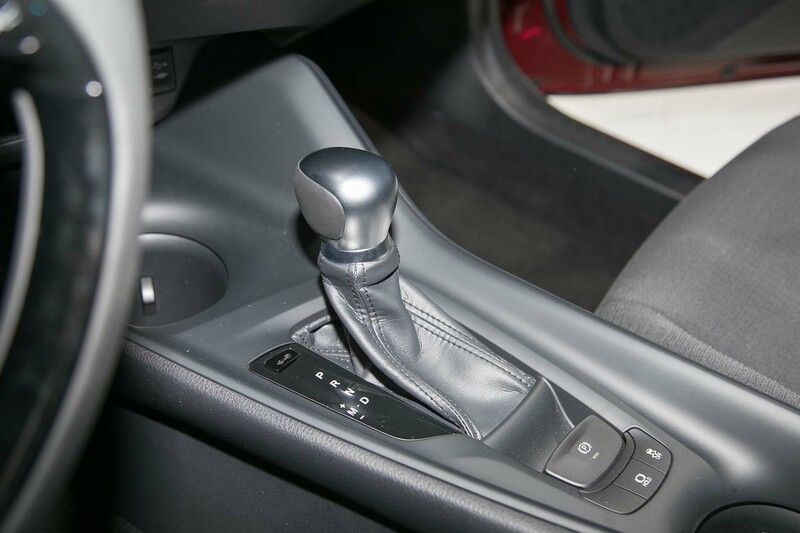 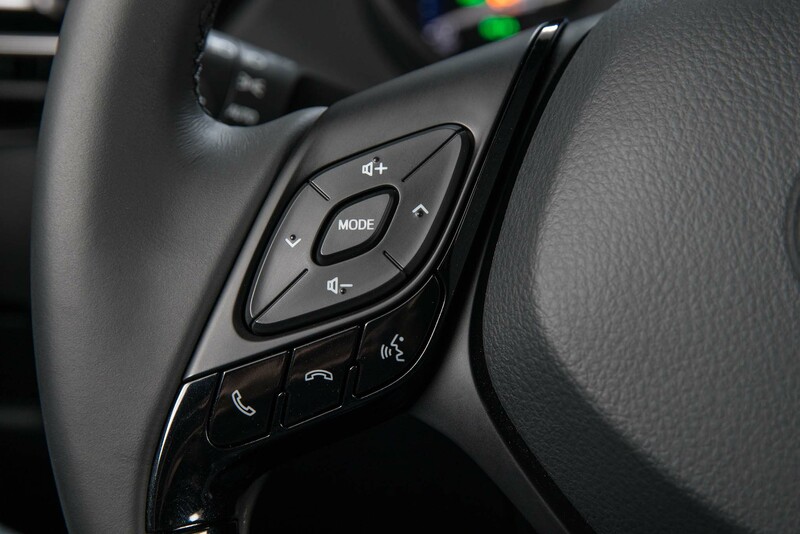 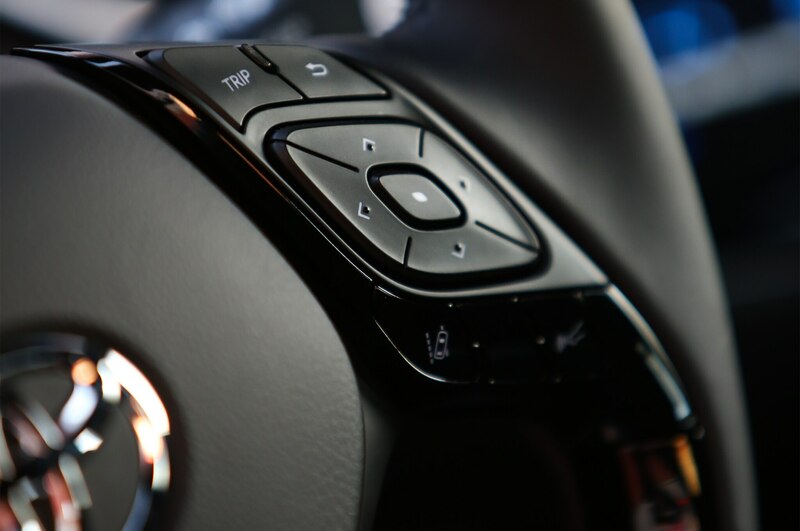 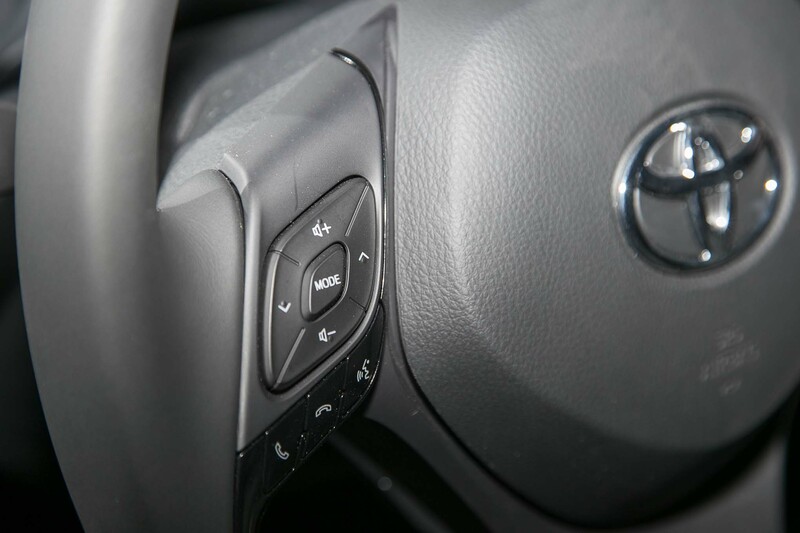 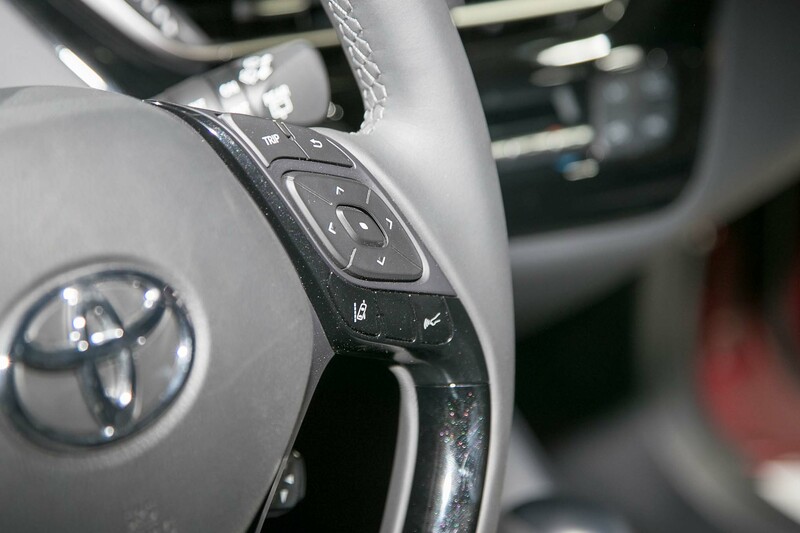 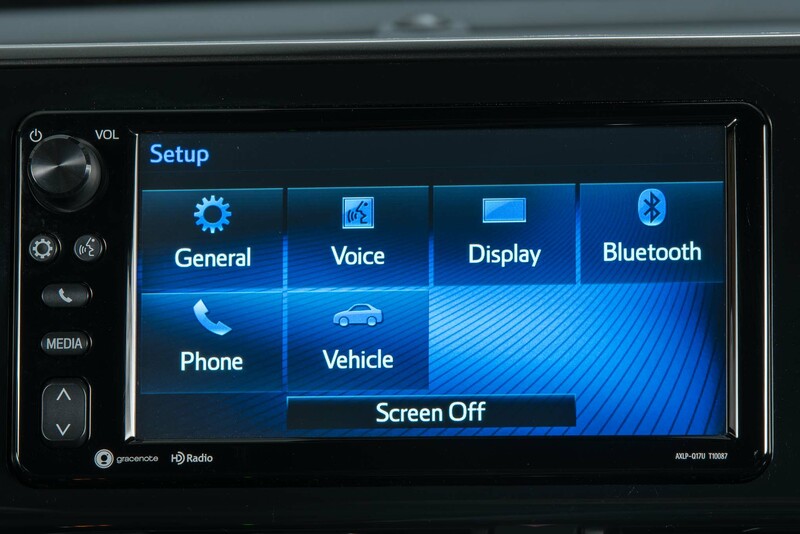 XLE Premium models also come with keyless entry and push button start. 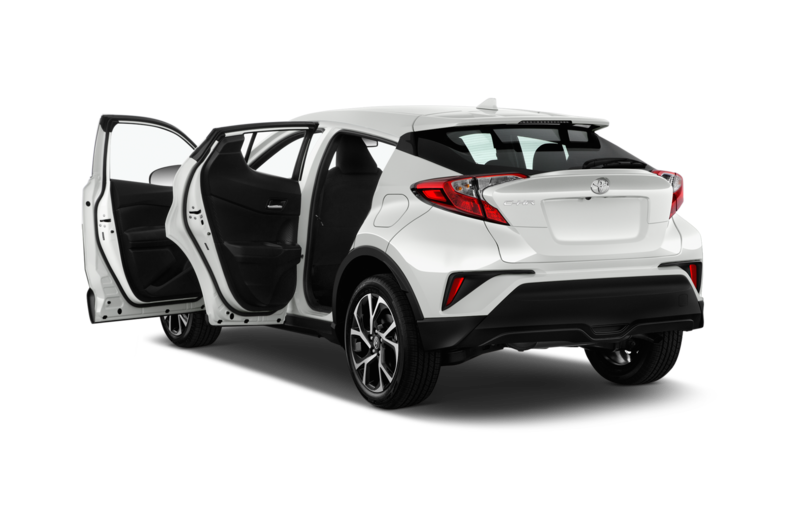 Pricing on the C-HR XLE and XLE Premium has not been announced, but we expect it to be competitively priced when it goes on sale Spring 2017, with the XLE starting around $19,500 and XLE Premium around $23,500.